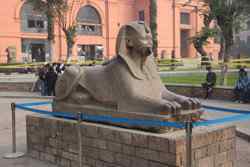 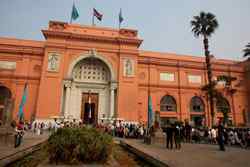 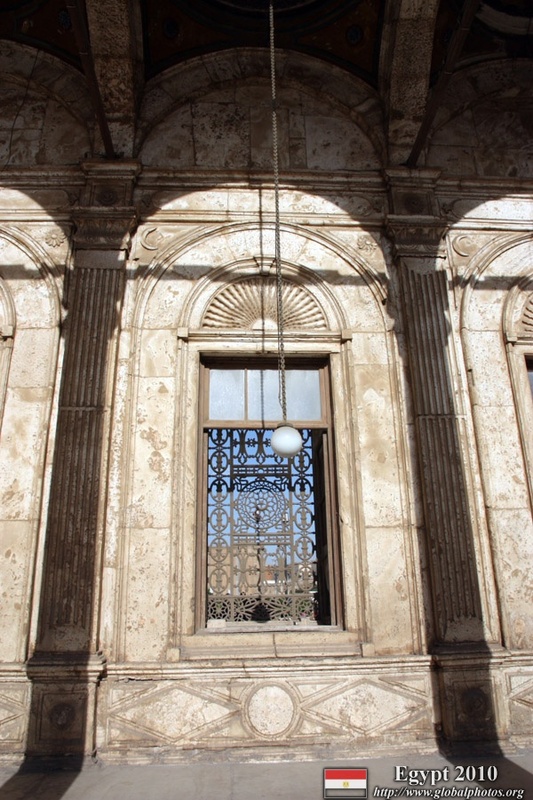 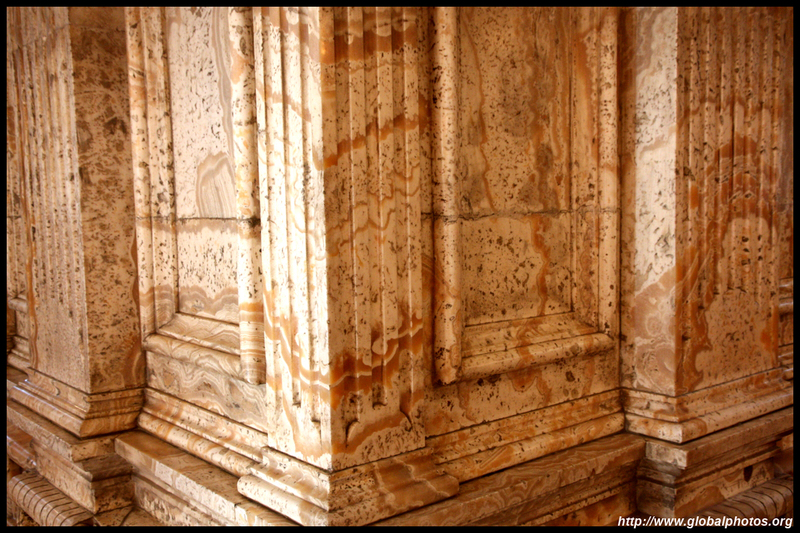 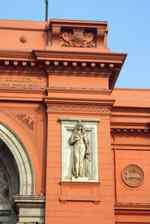 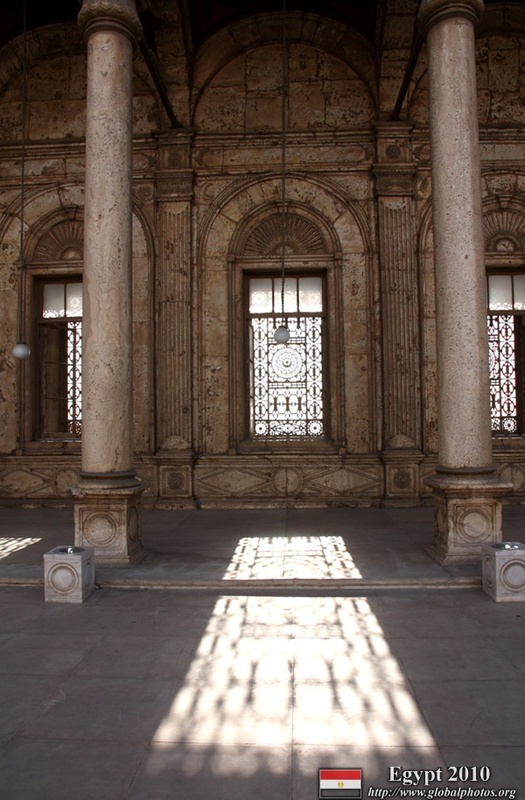 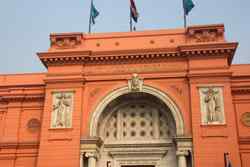 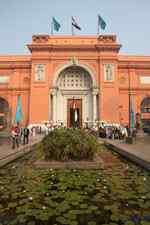 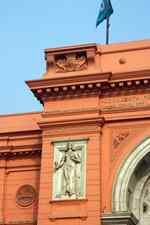 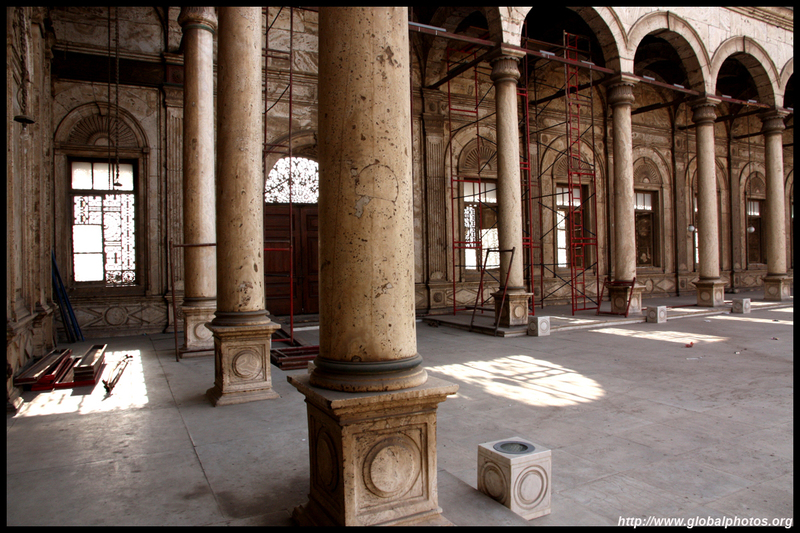 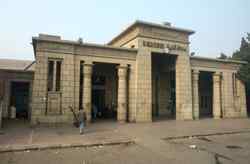 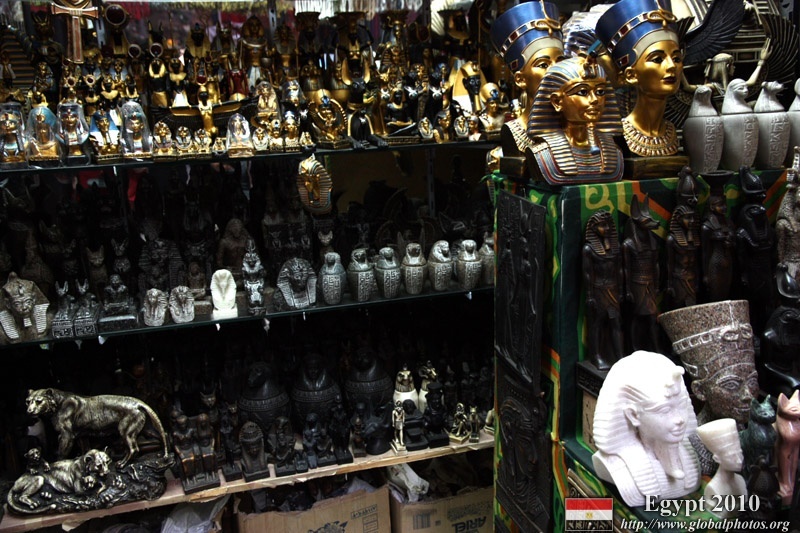 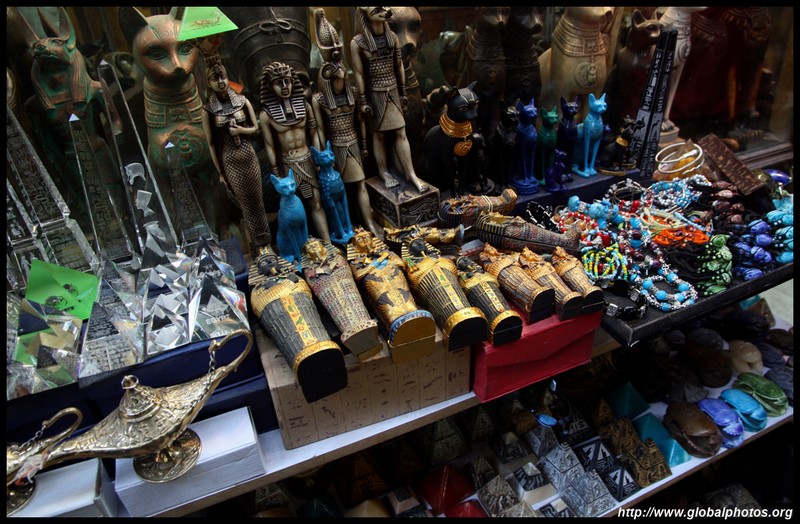 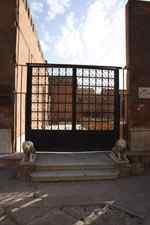 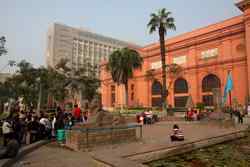 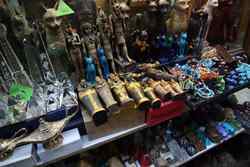 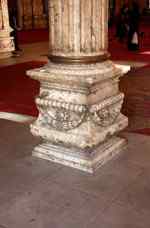 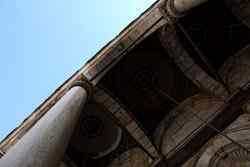 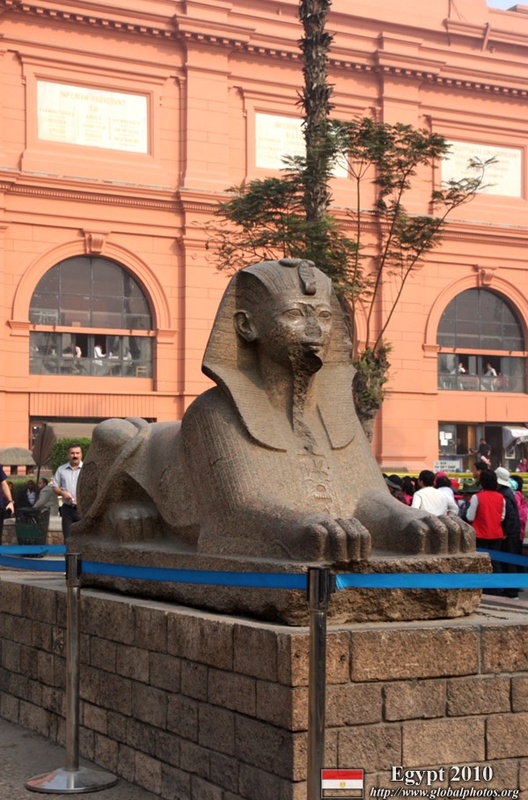 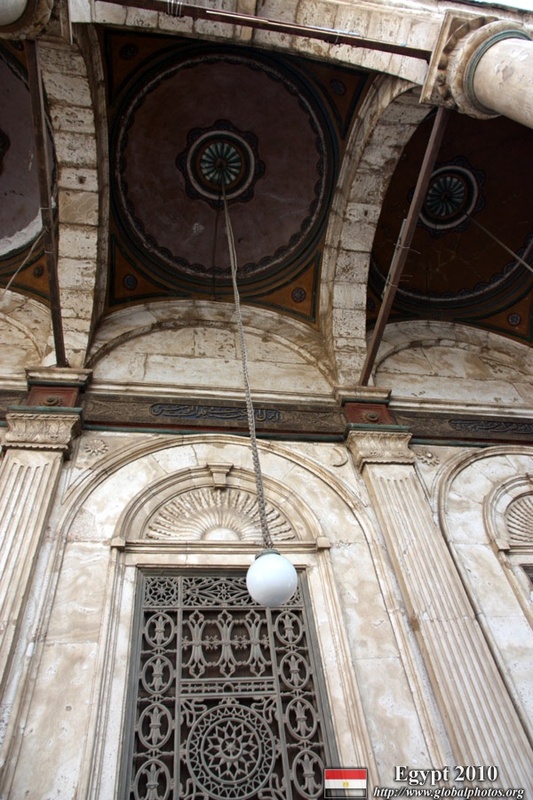 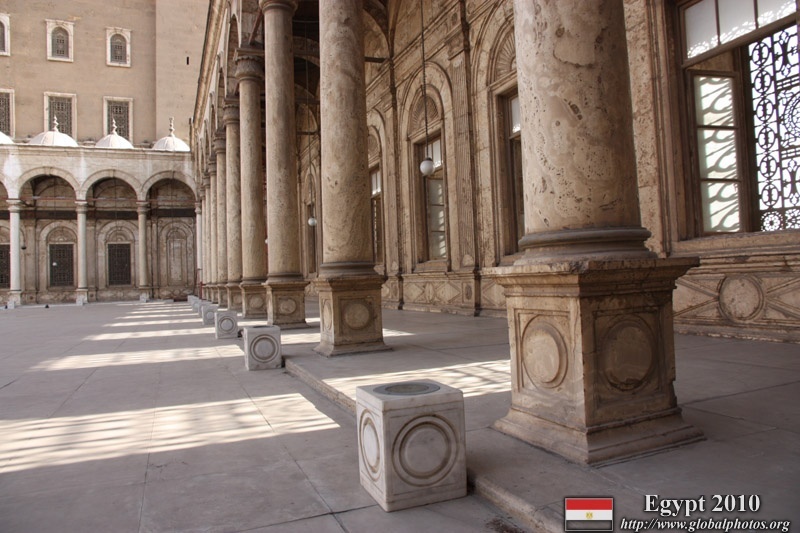 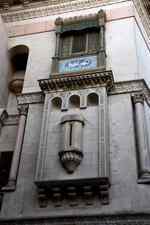 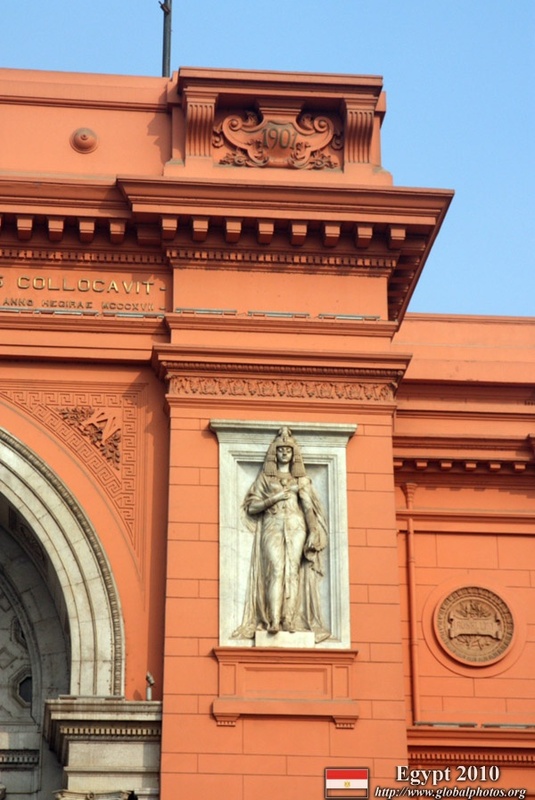 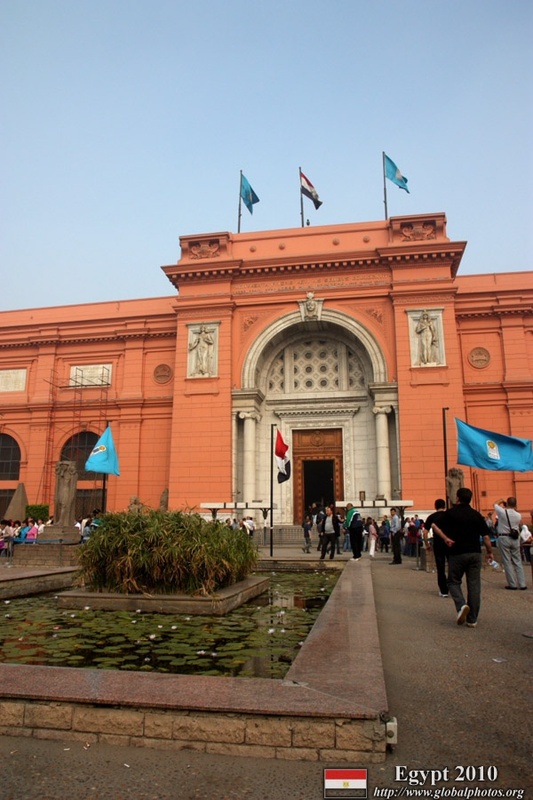 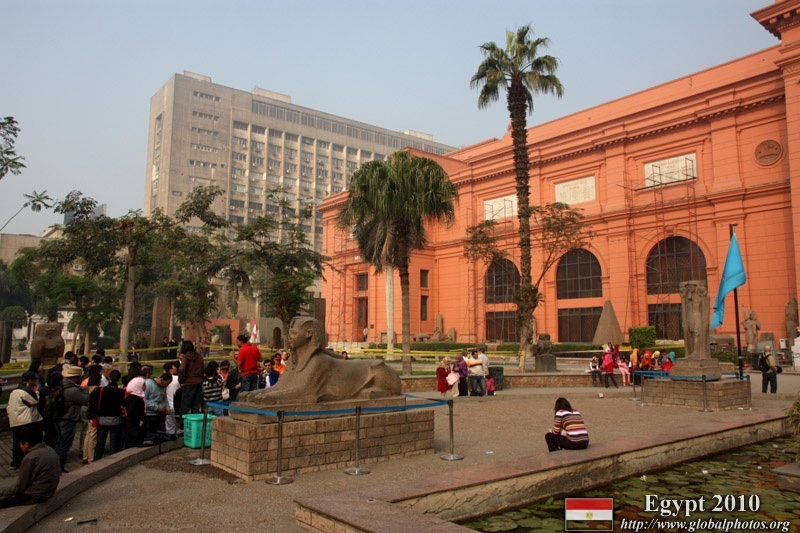 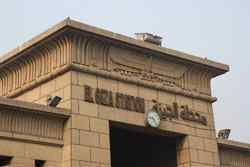 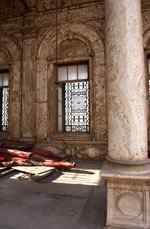 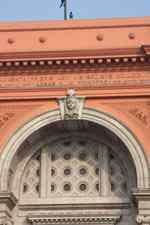 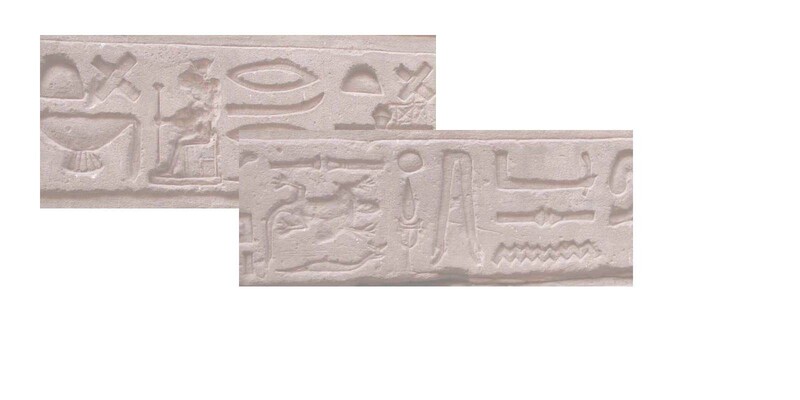 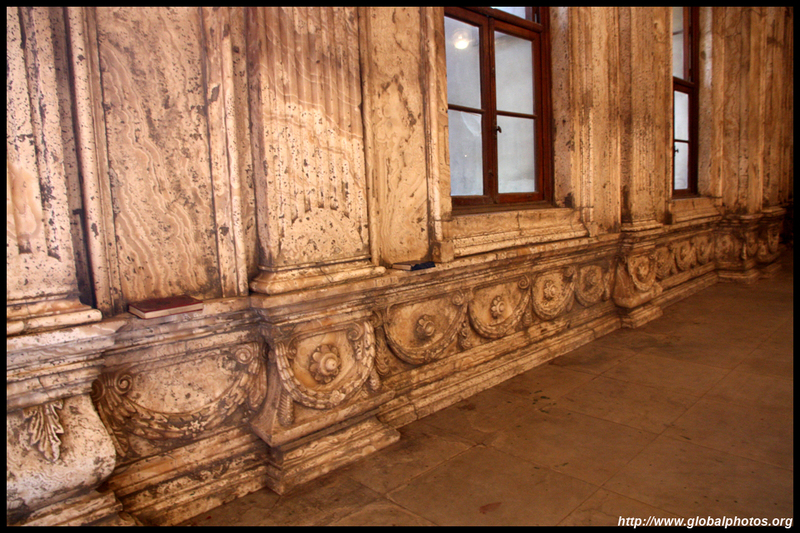 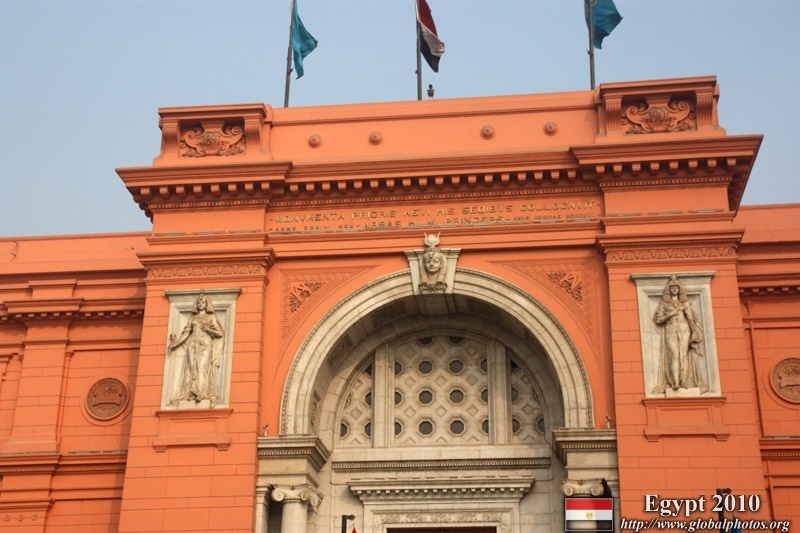 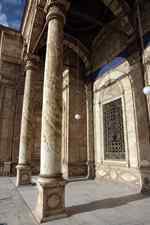 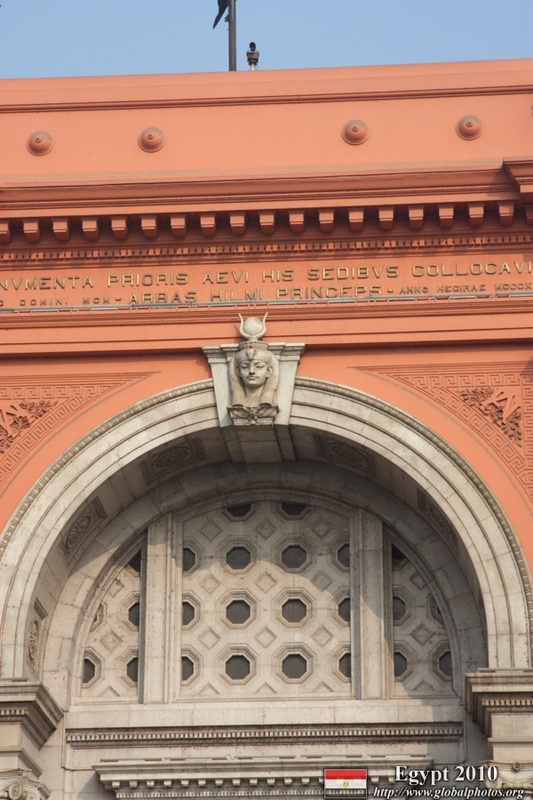 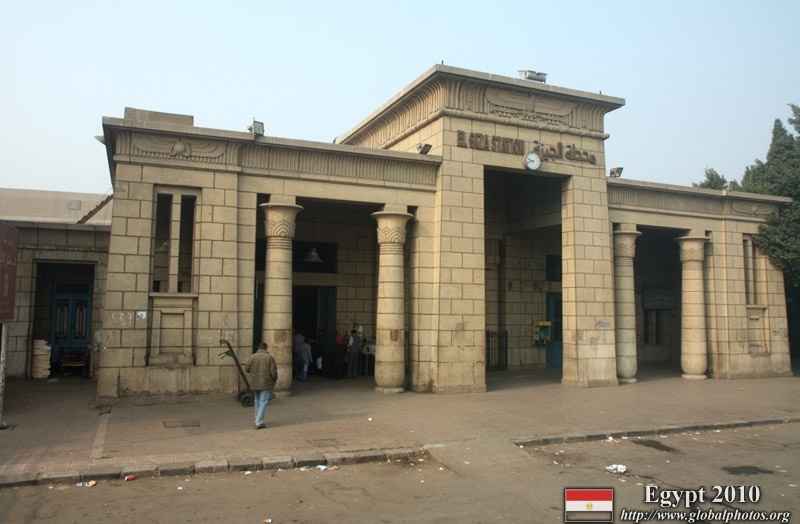 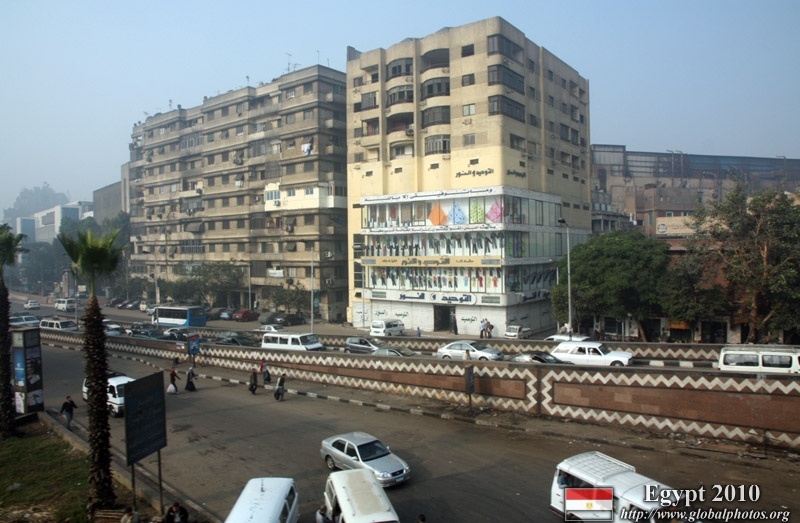 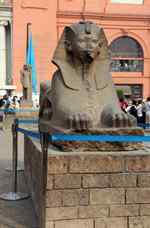 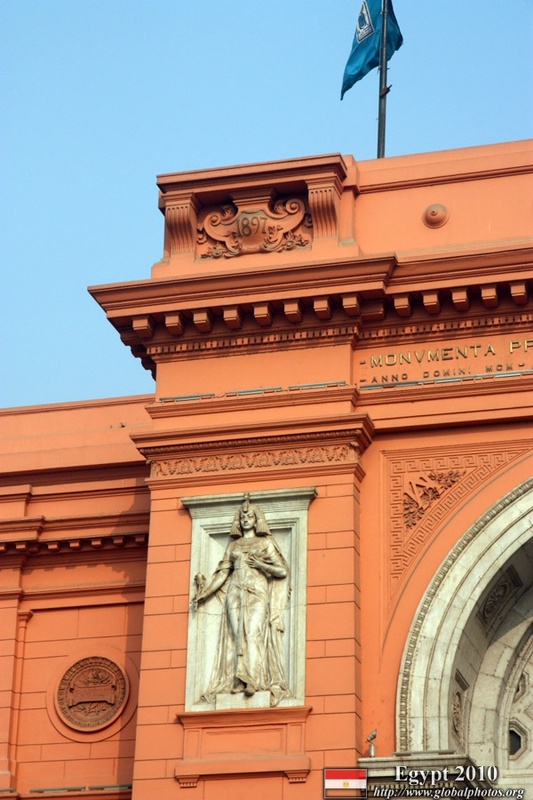 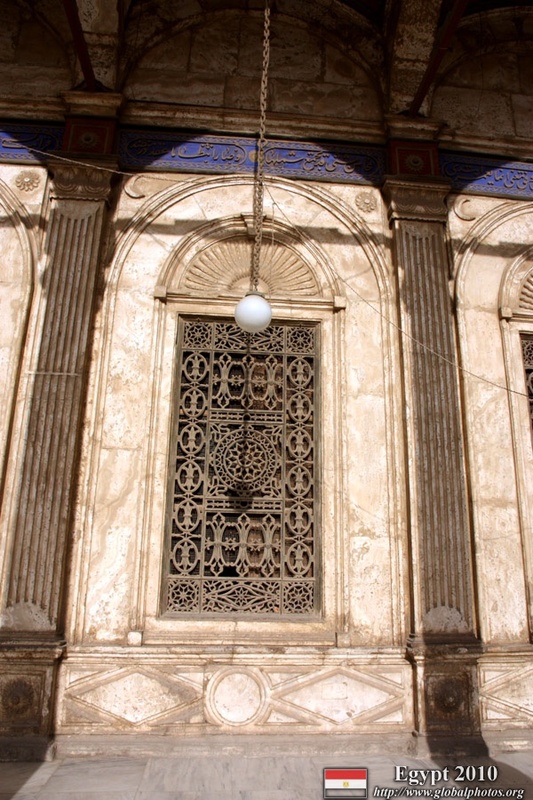 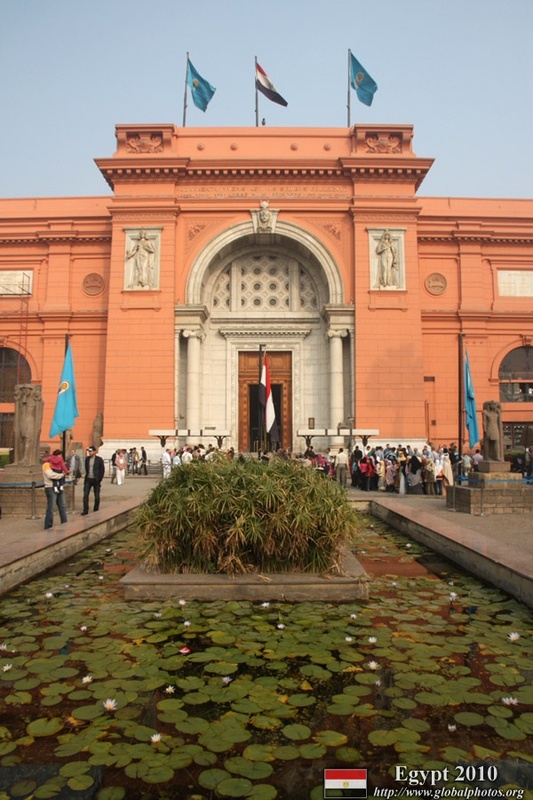 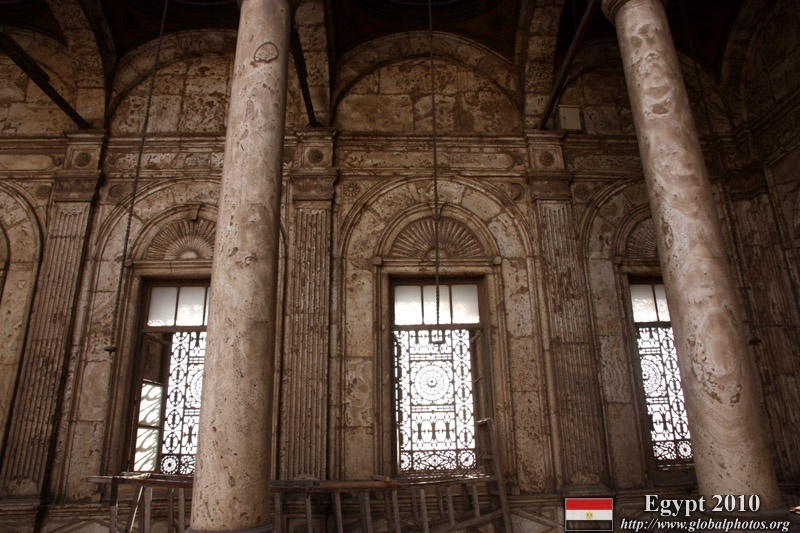 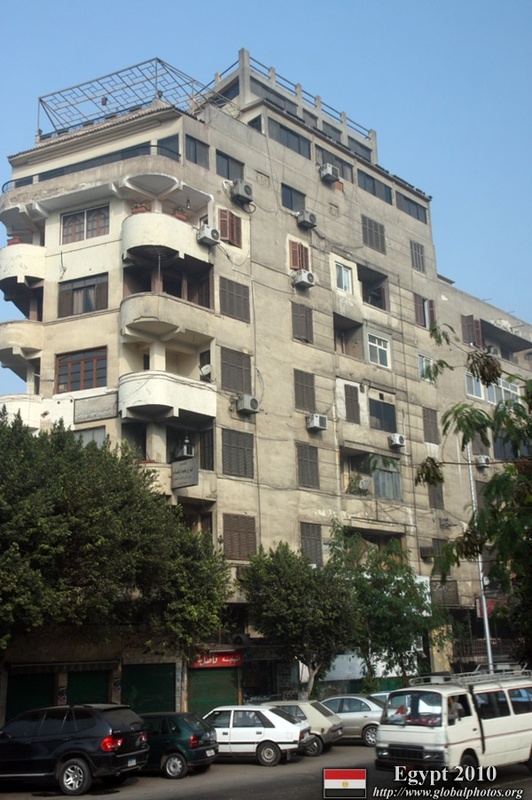 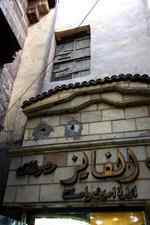 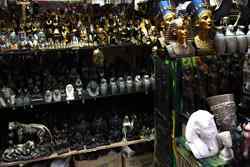 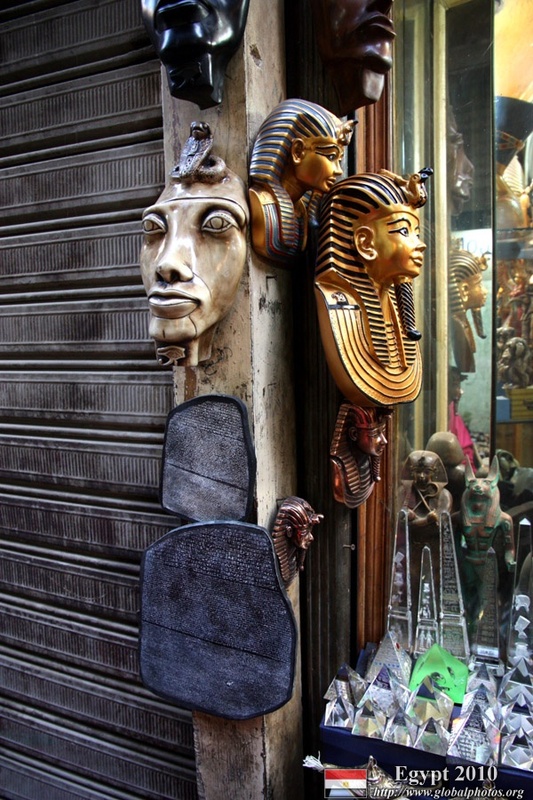 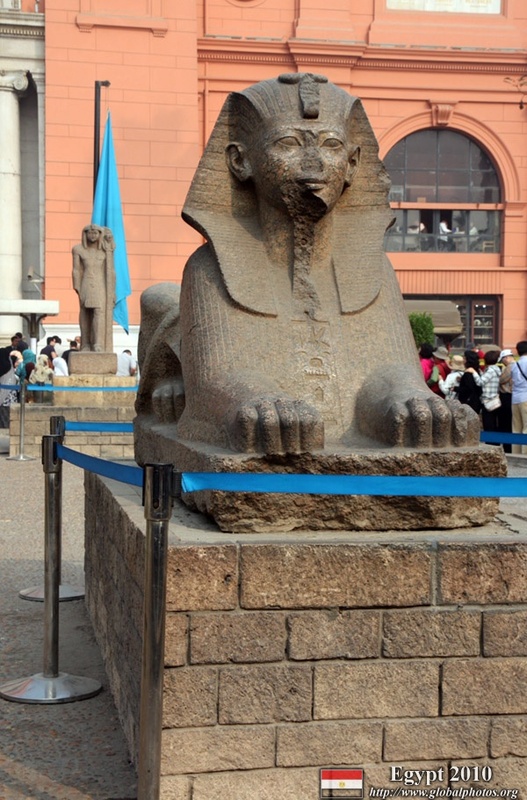 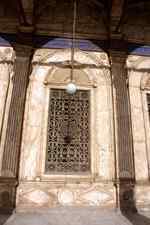 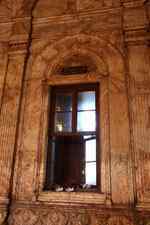 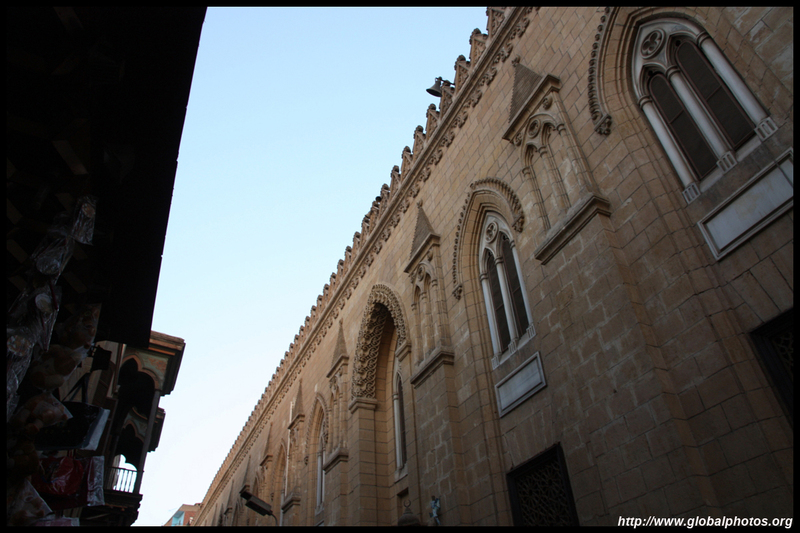 The Egyptian Museum features a treasure trove of archaeological objects. 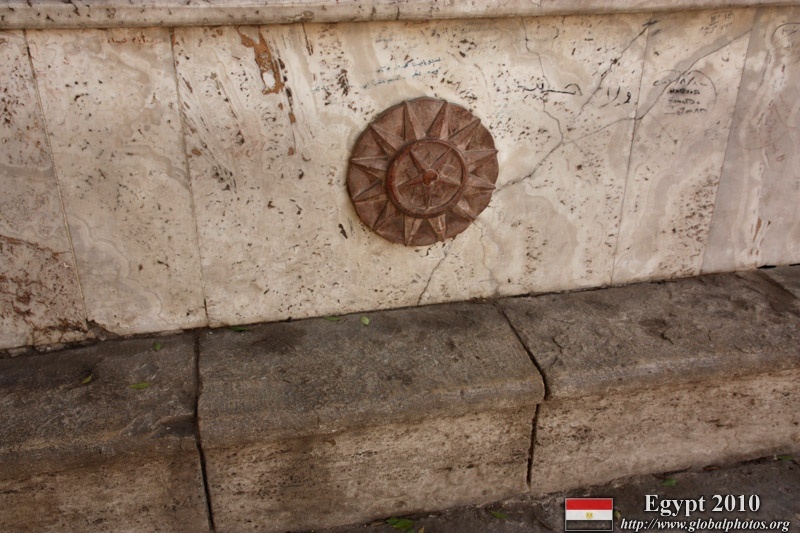 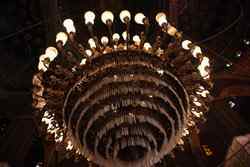 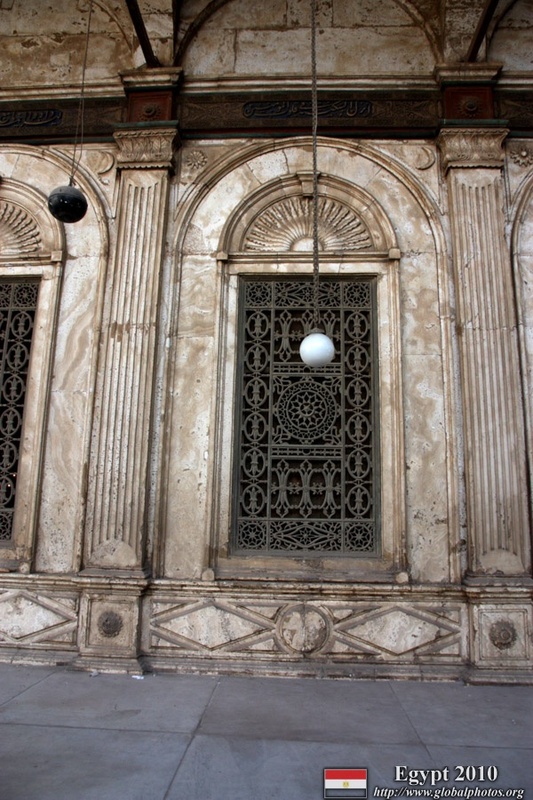 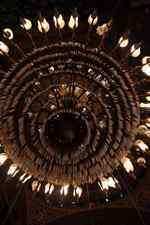 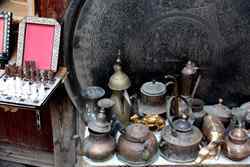 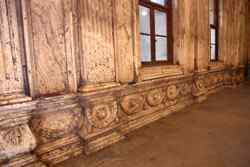 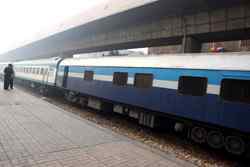 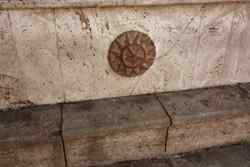 However, its design and decorations still echo life from a century ago. 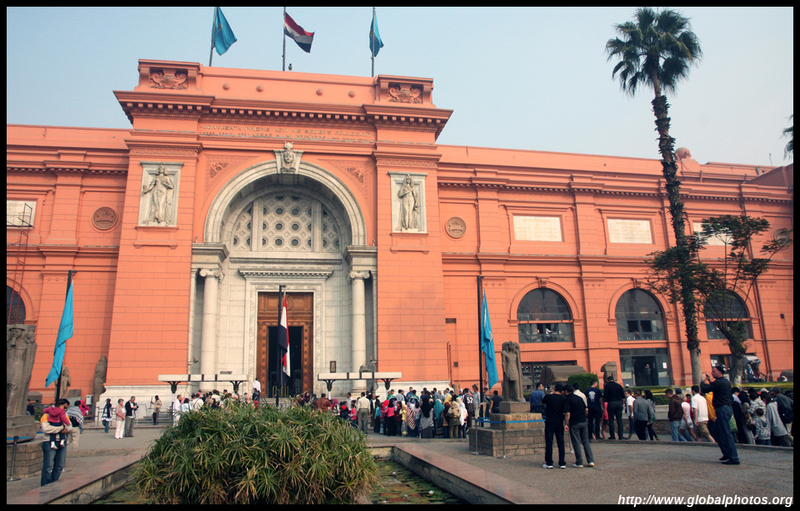 I really wonder whether most of the exhibits can survive in their current state of preservation for the next generations to come. 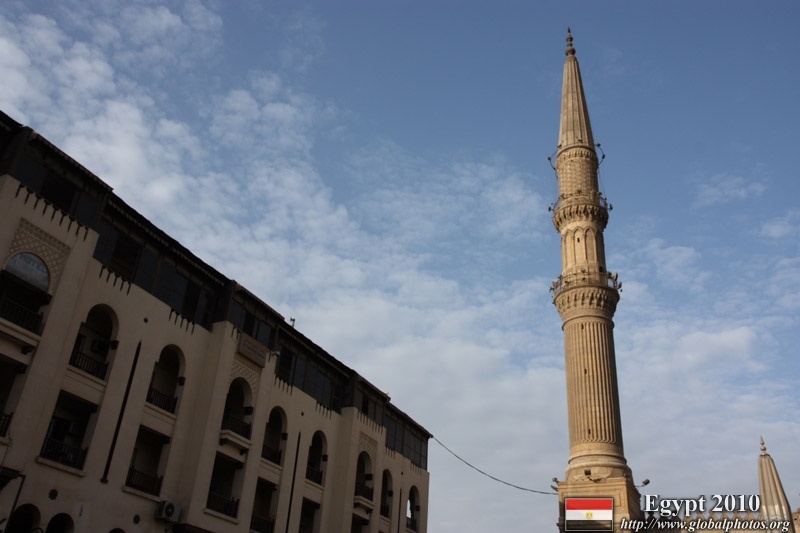 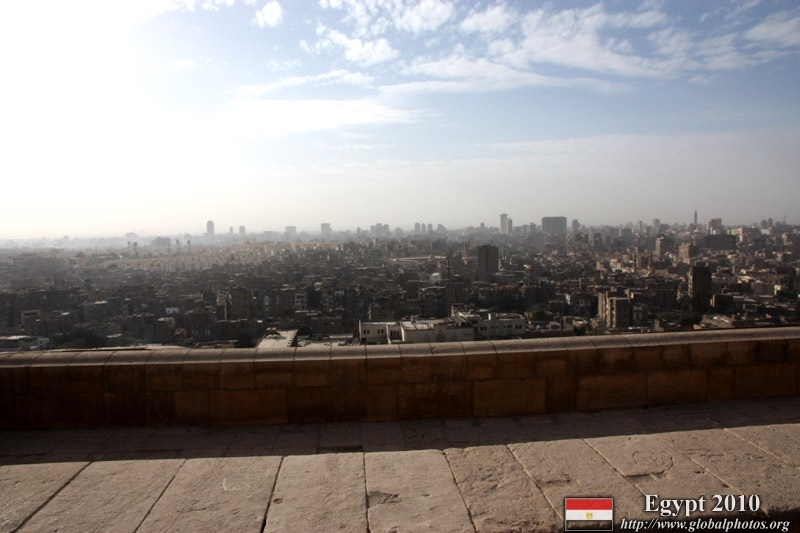 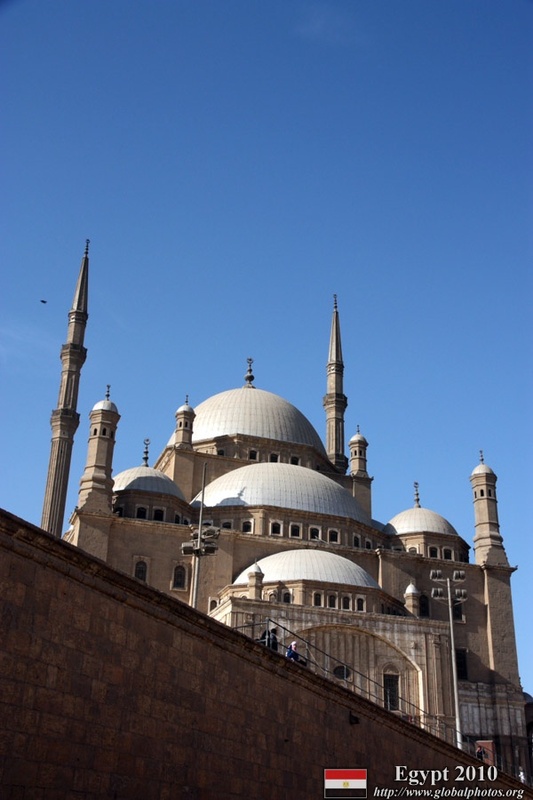 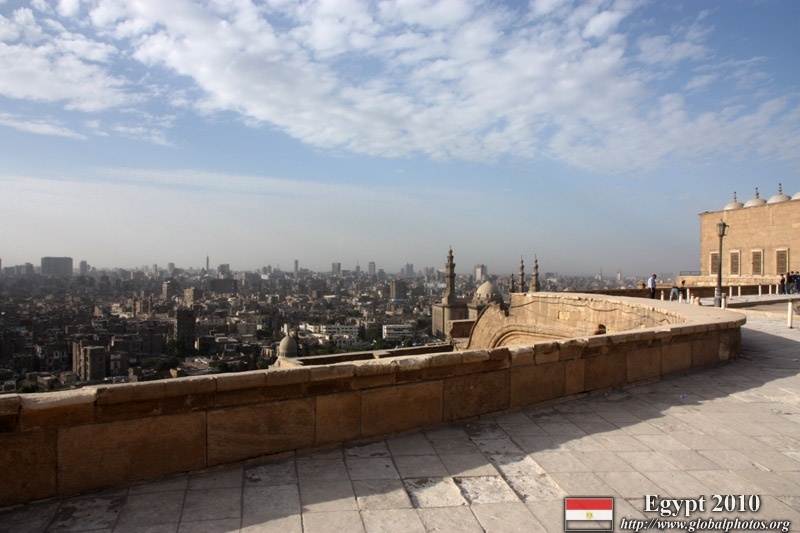 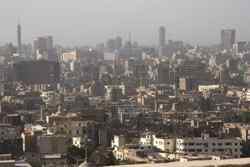 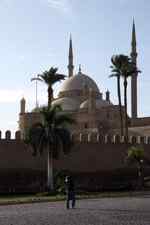 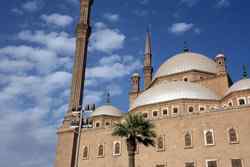 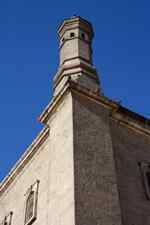 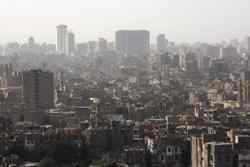 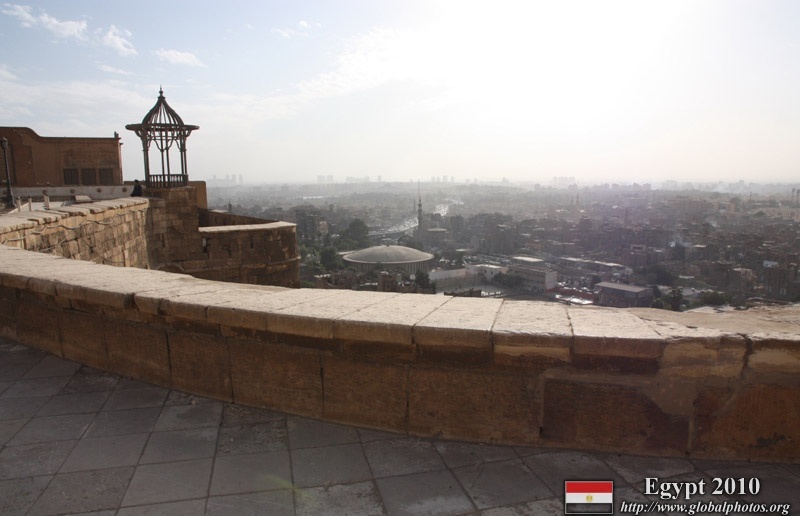 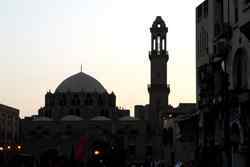 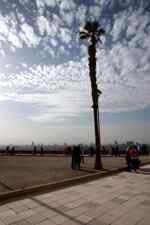 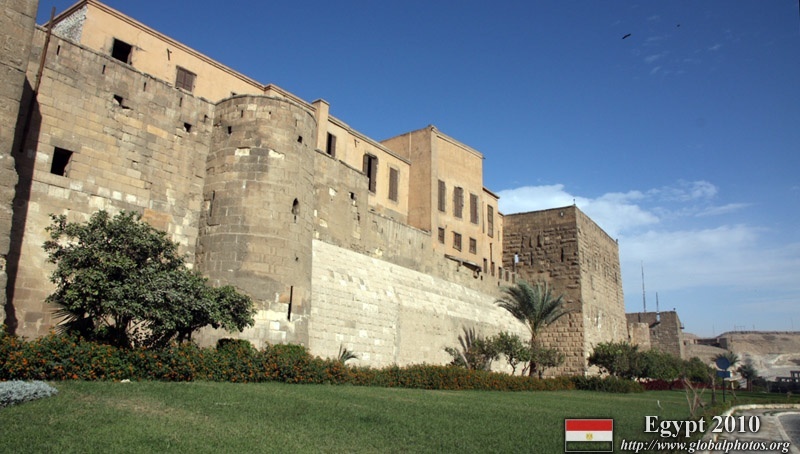 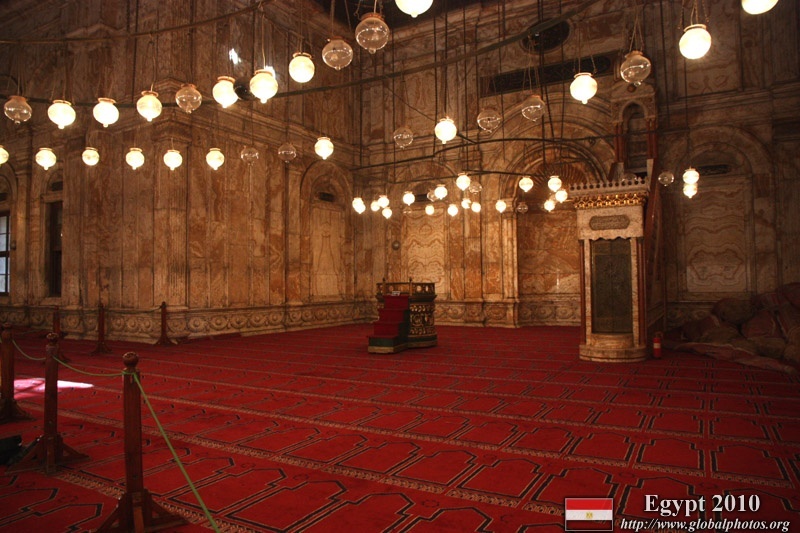 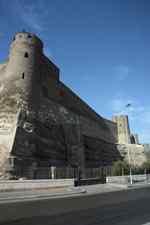 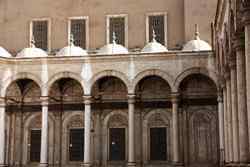 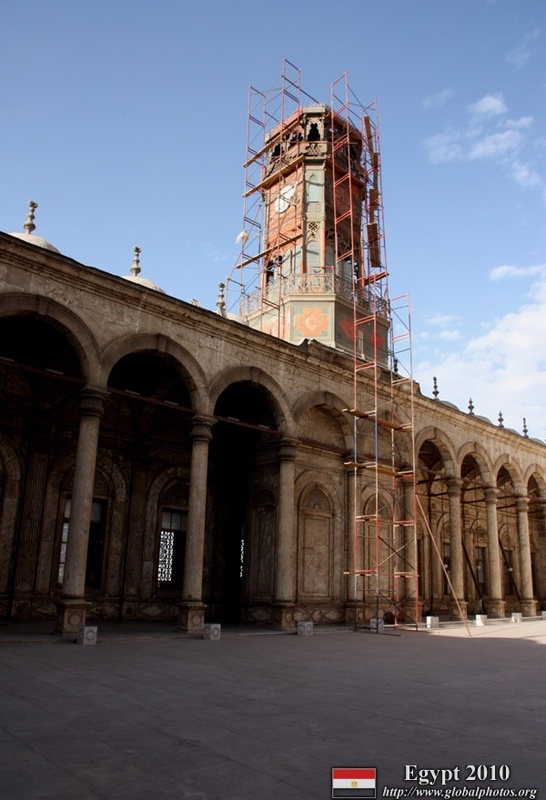 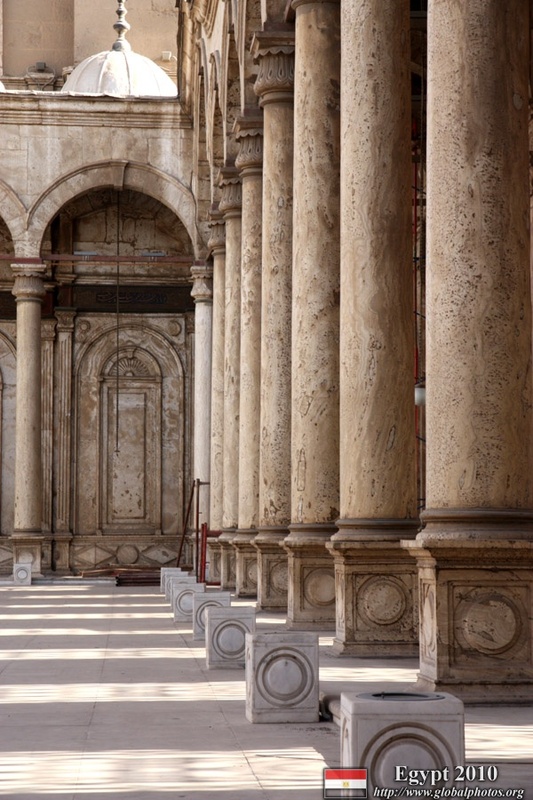 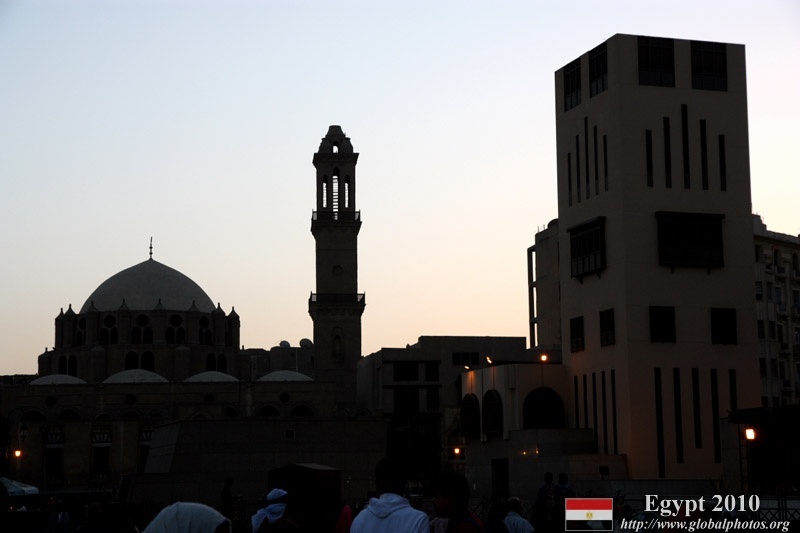 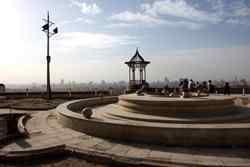 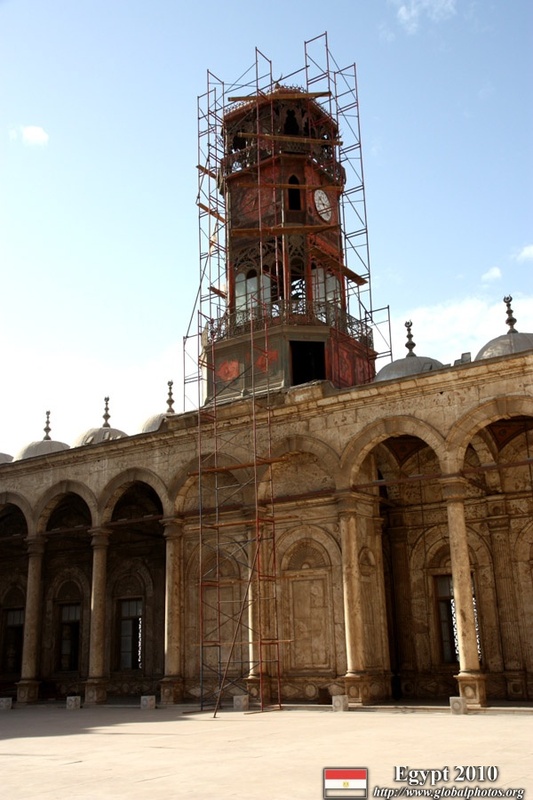 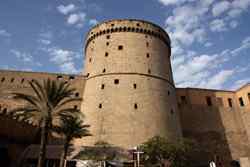 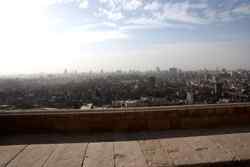 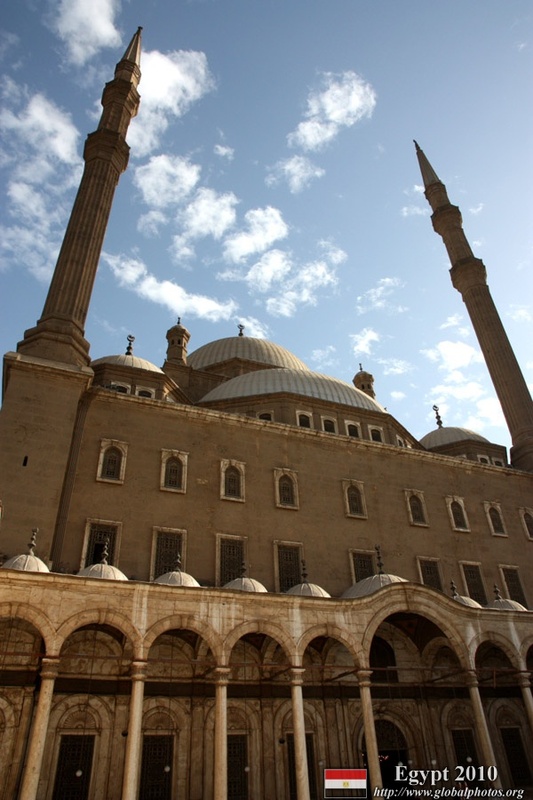 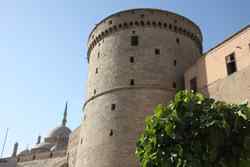 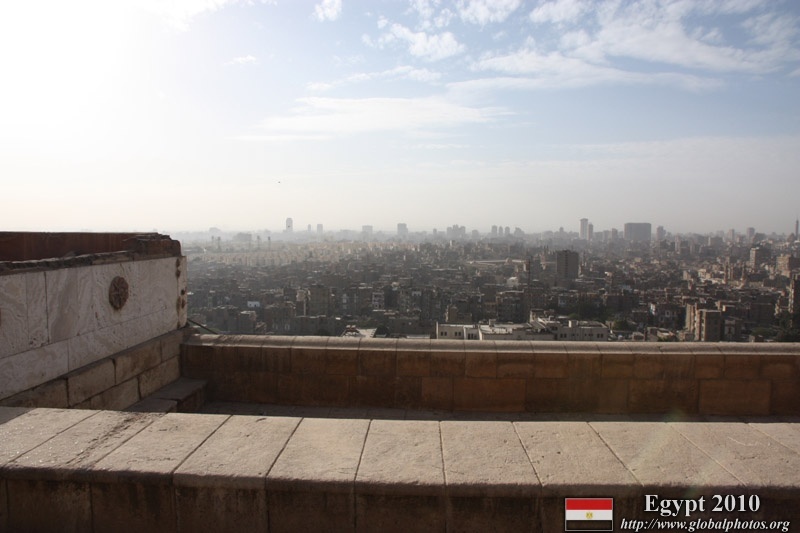 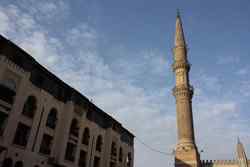 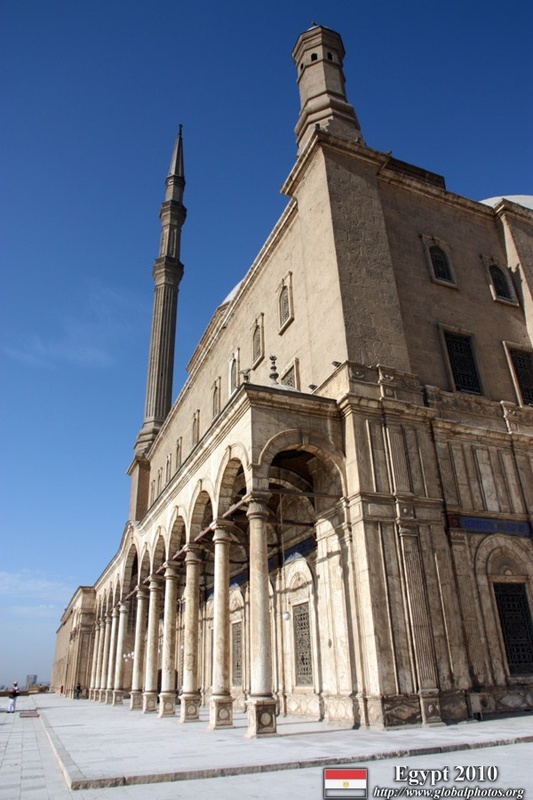 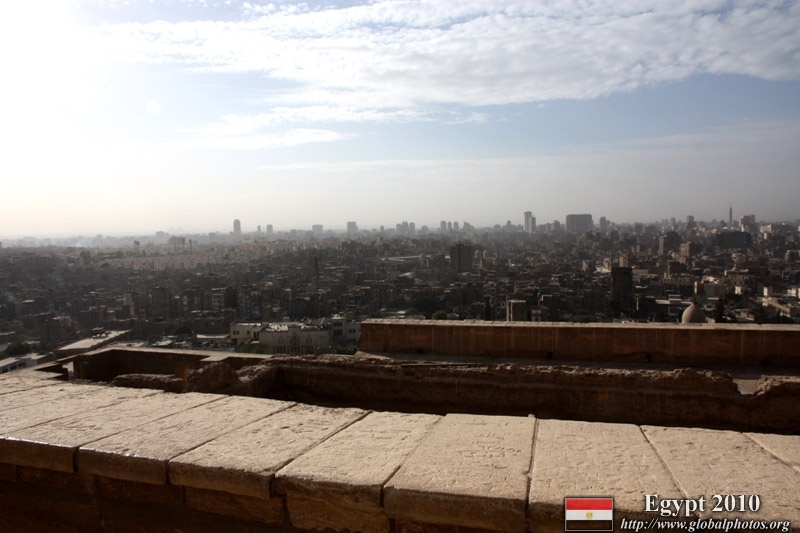 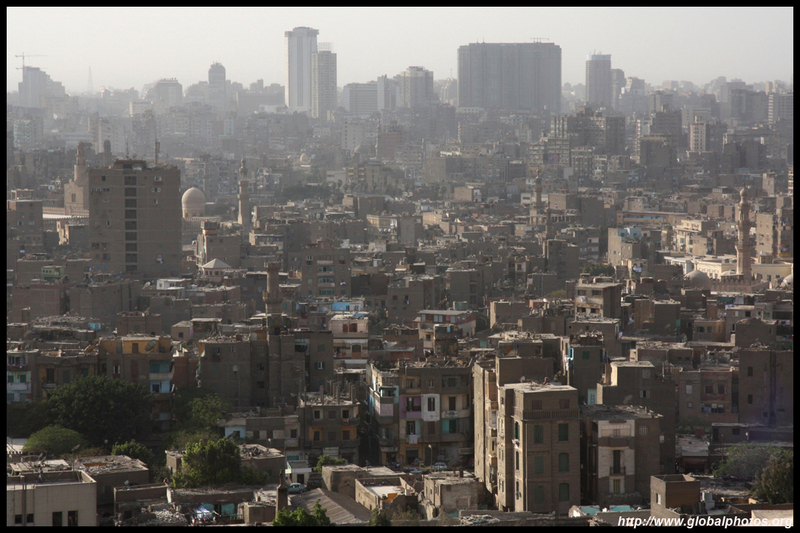 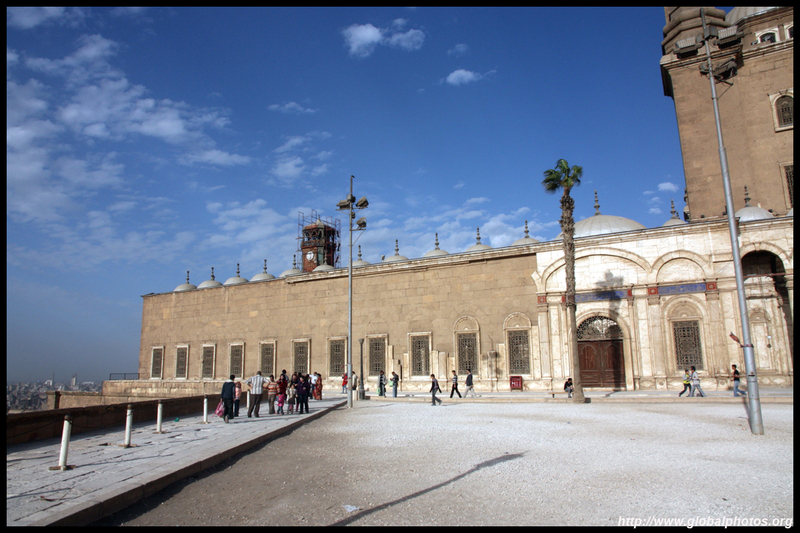 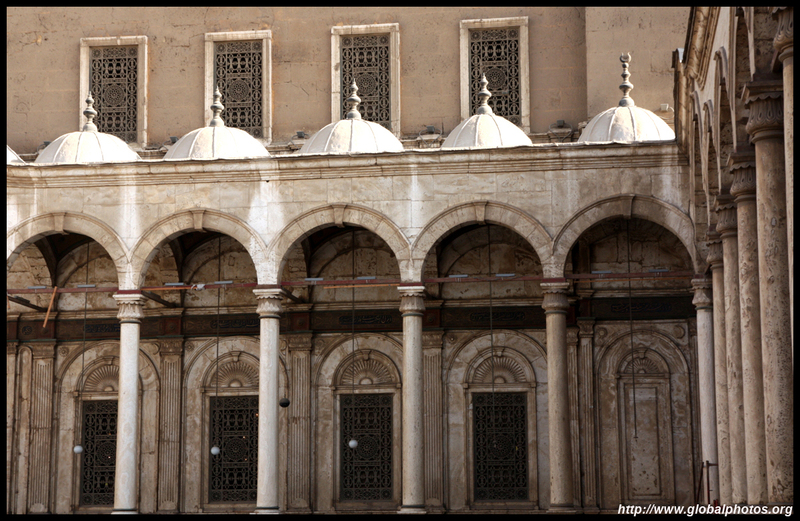 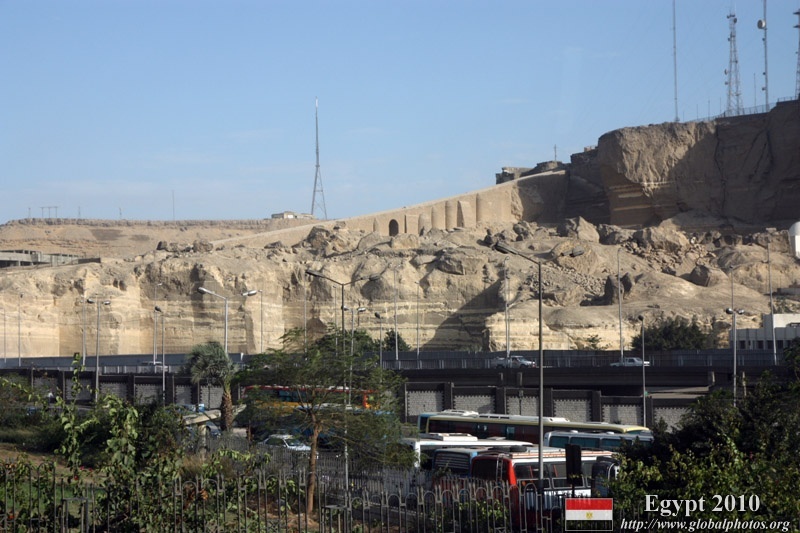 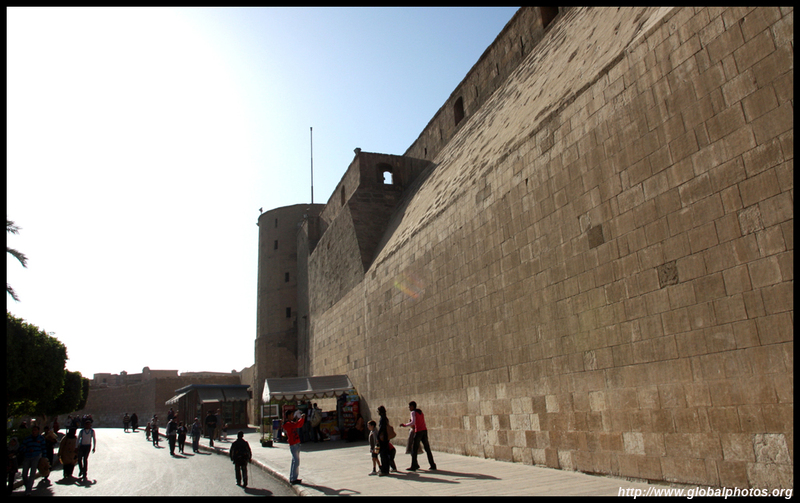 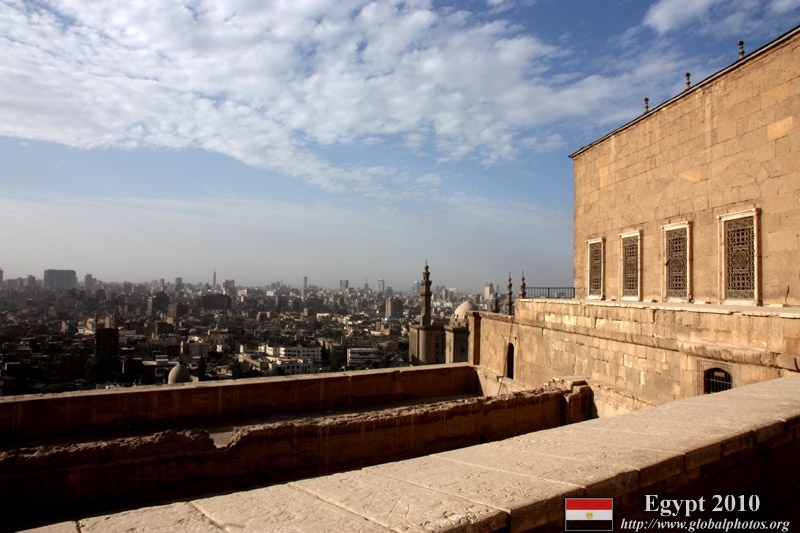 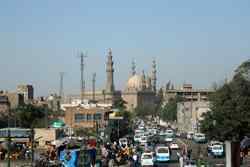 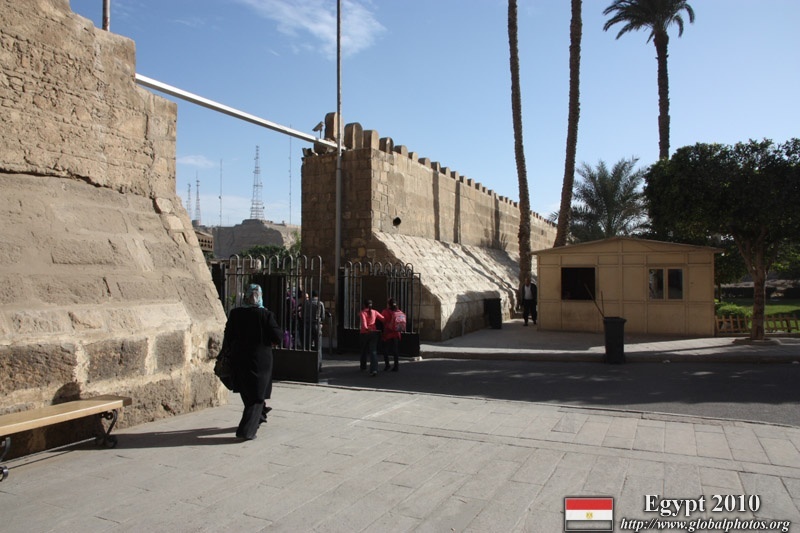 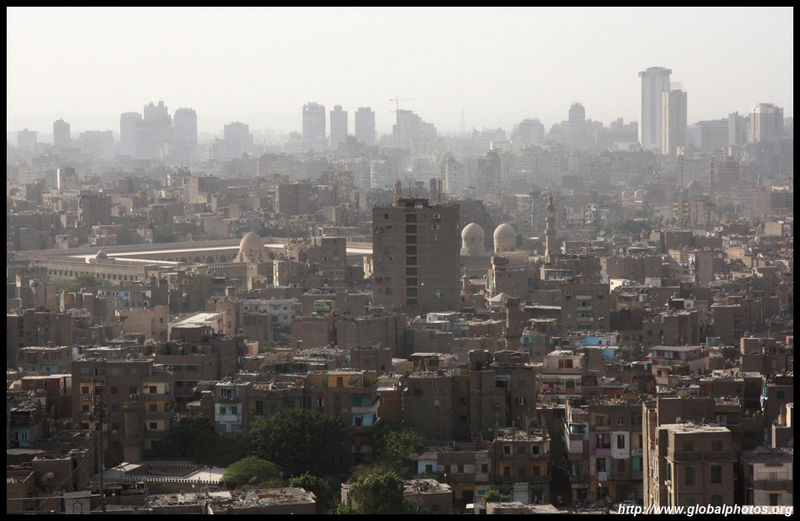 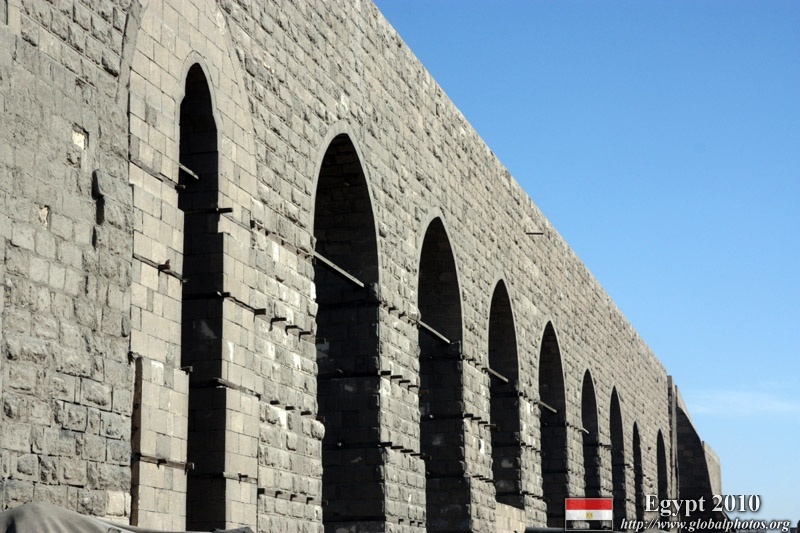 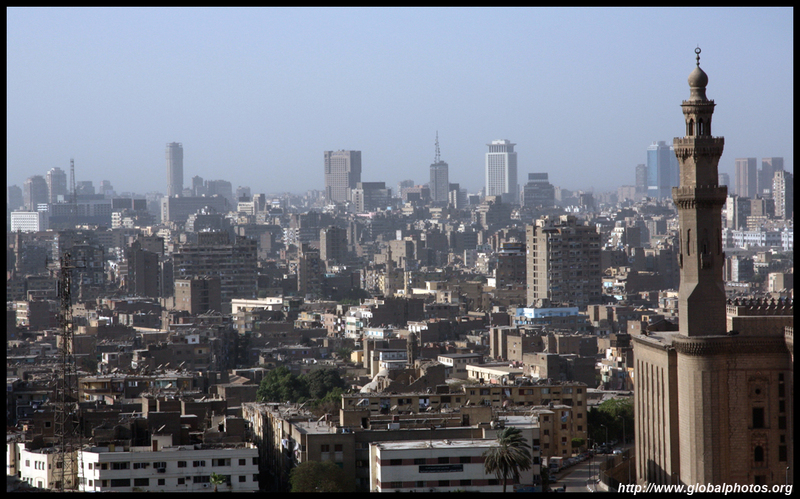 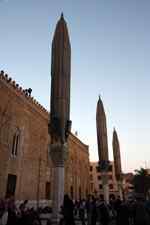 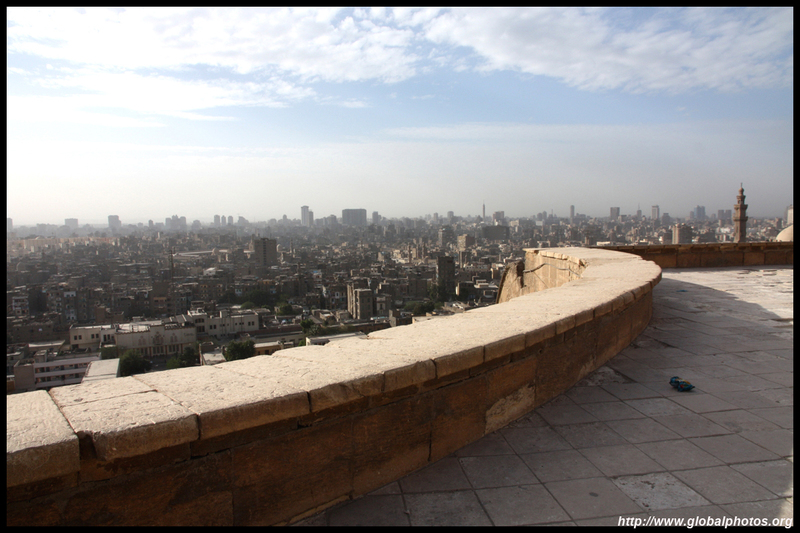 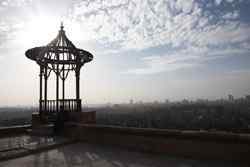 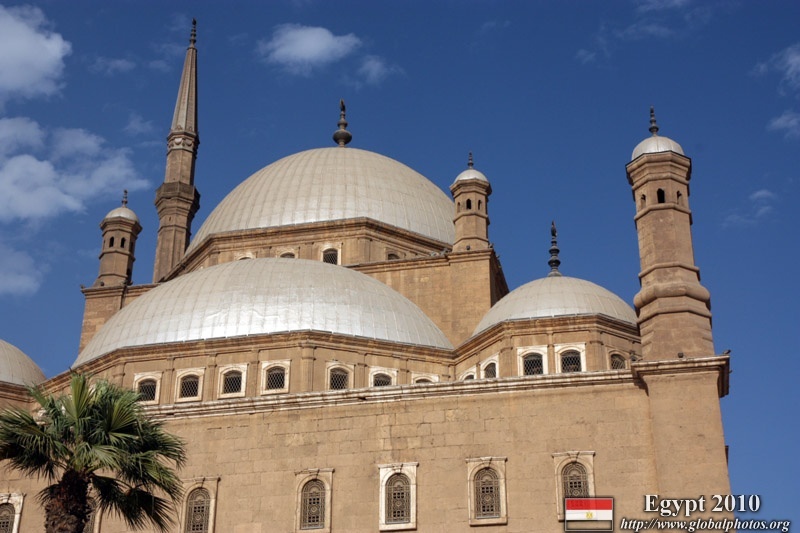 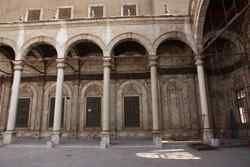 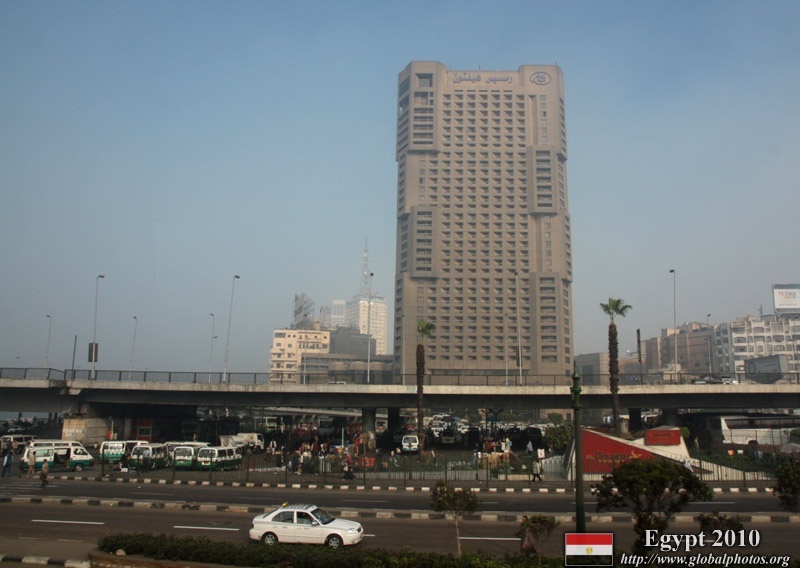 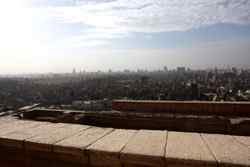 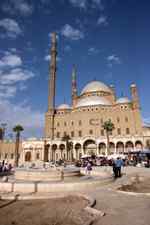 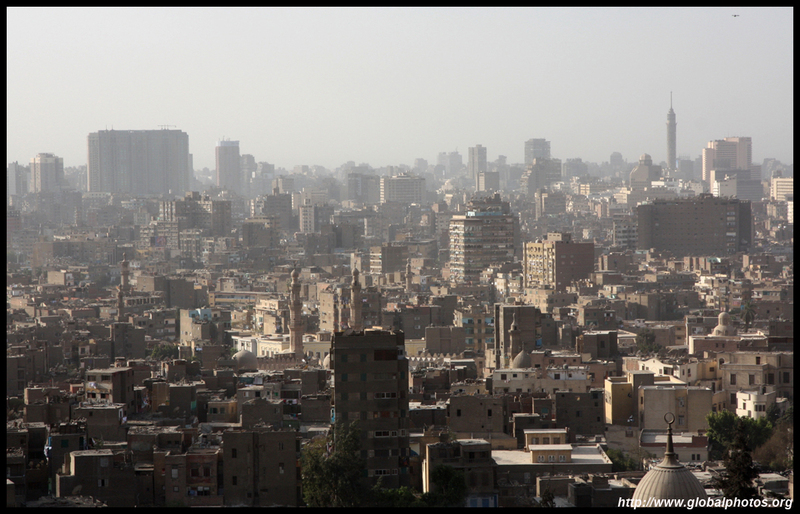 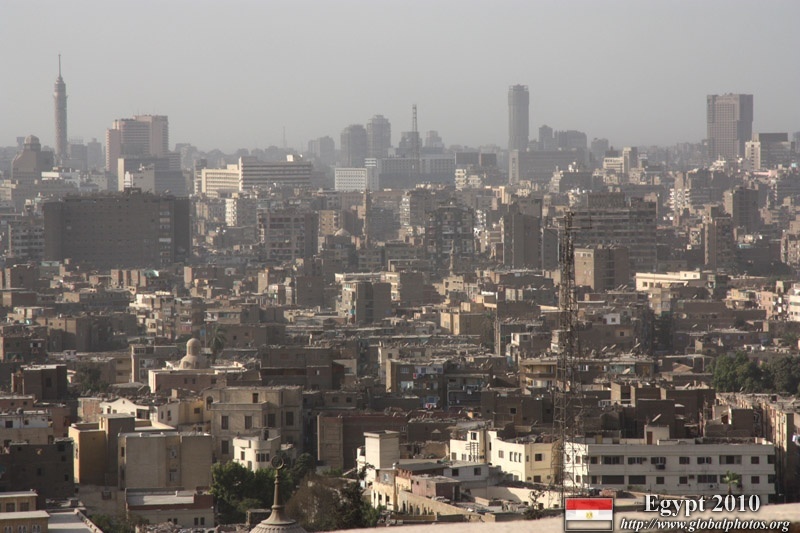 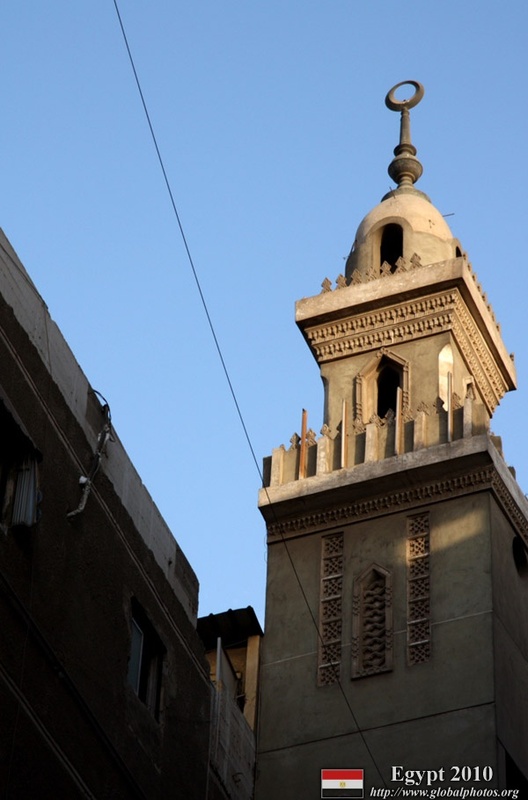 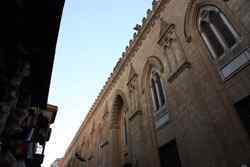 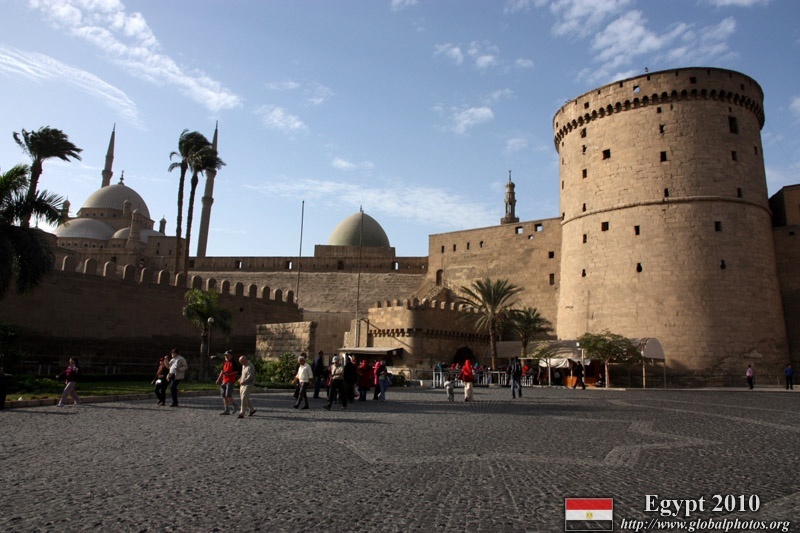 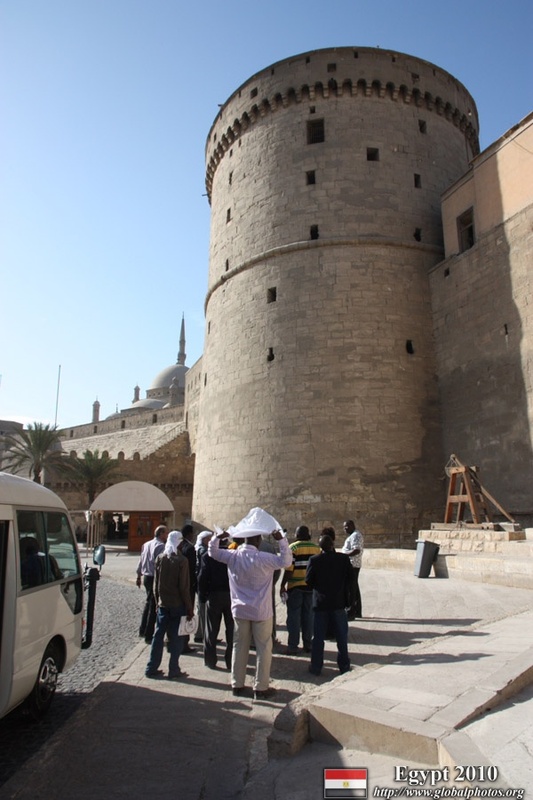 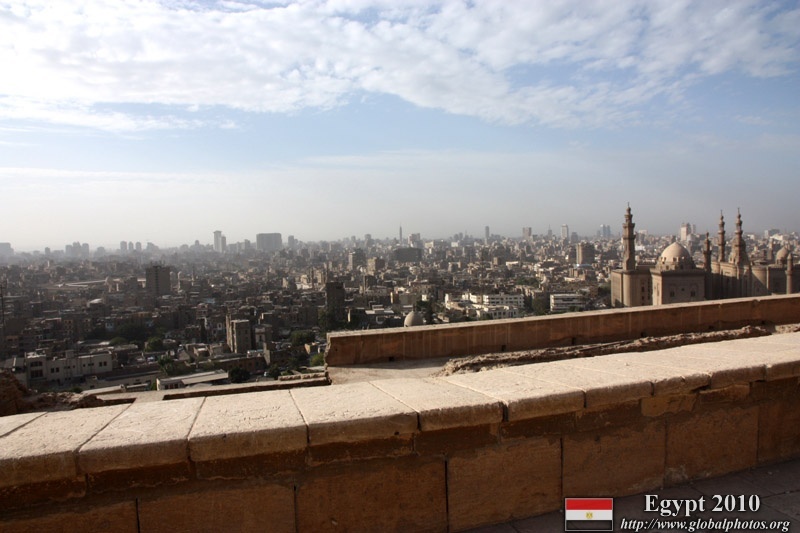 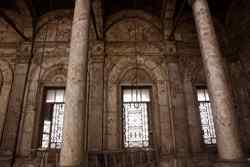 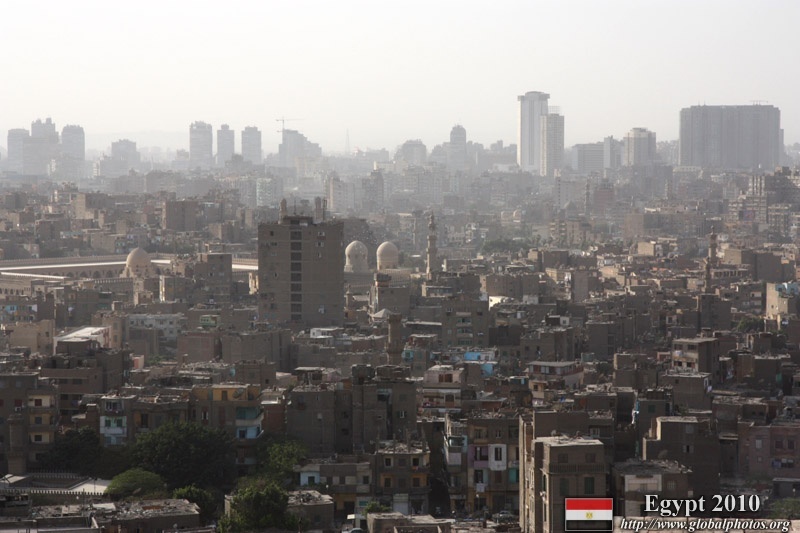 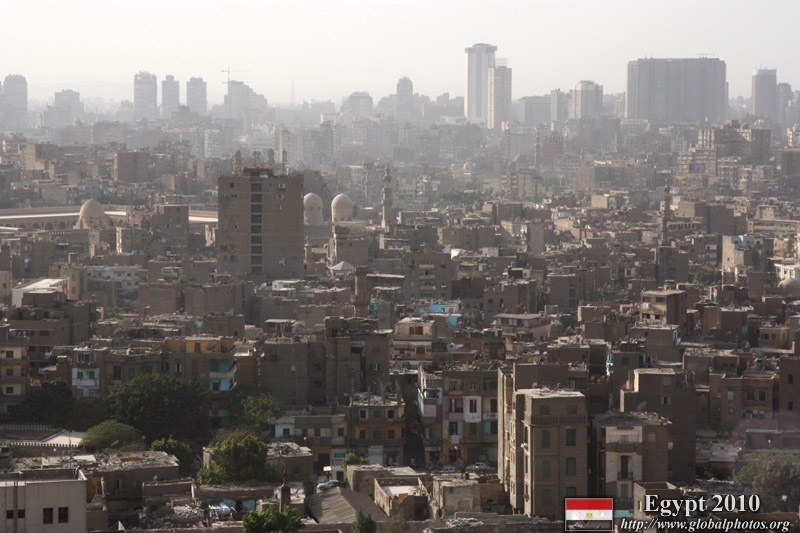 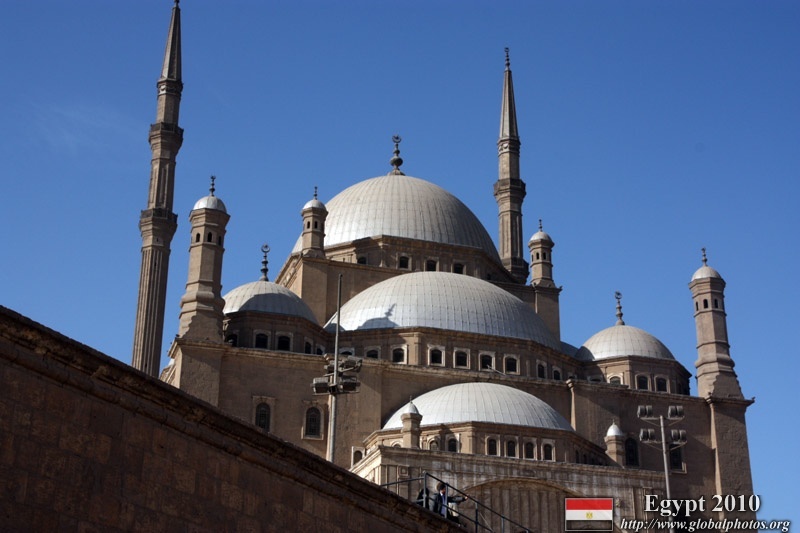 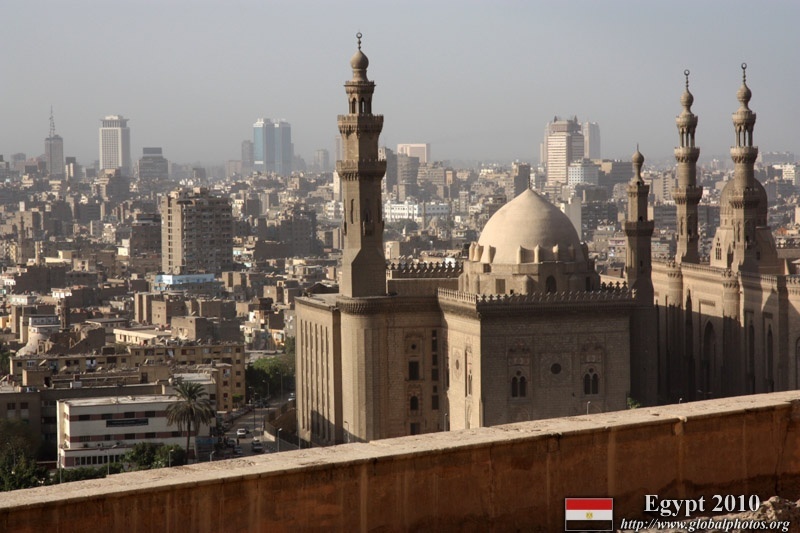 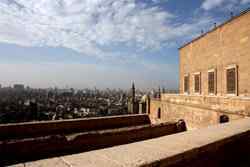 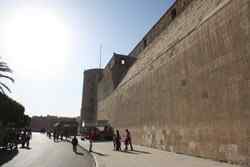 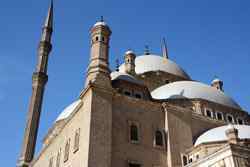 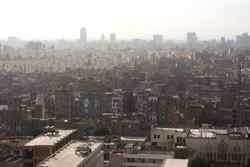 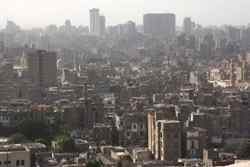 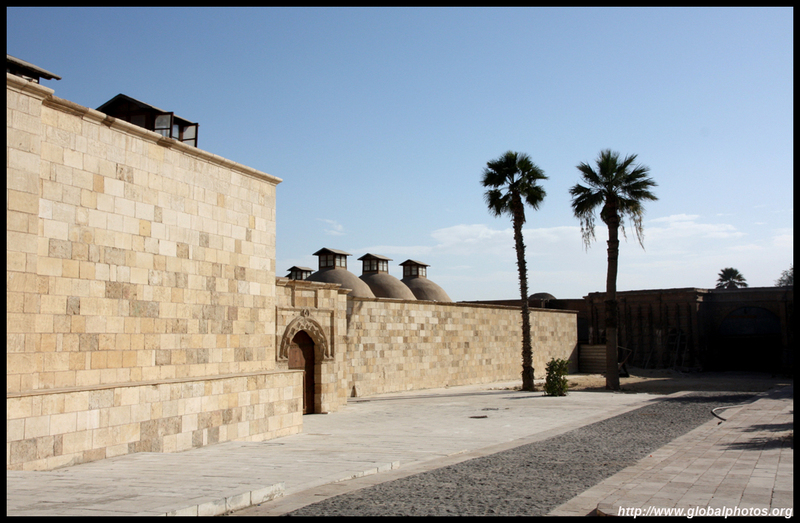 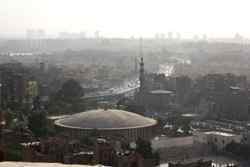 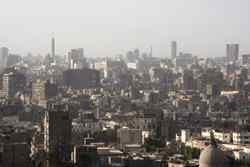 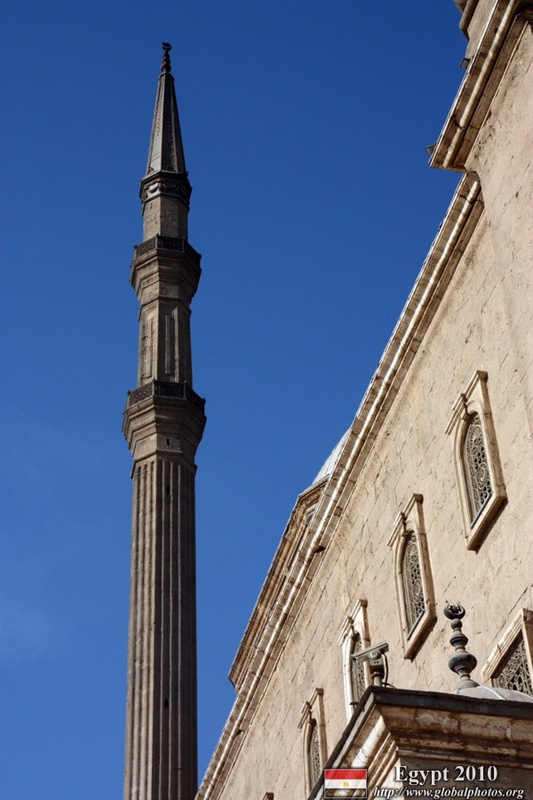 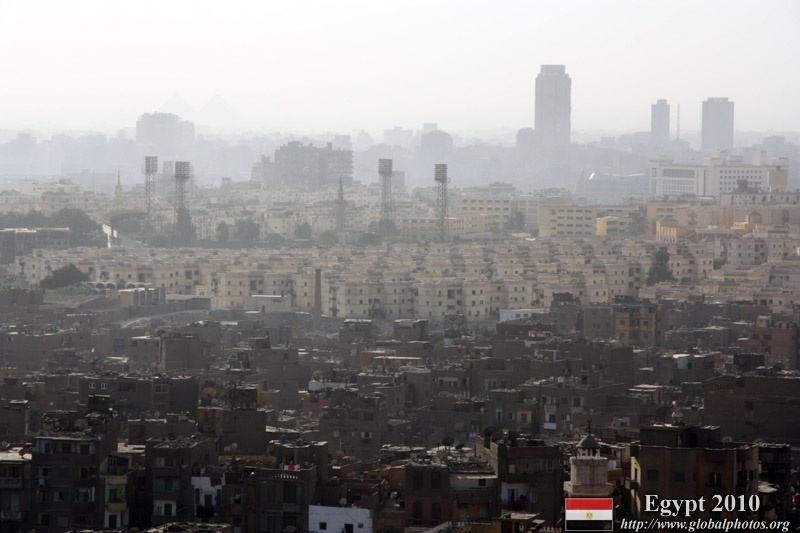 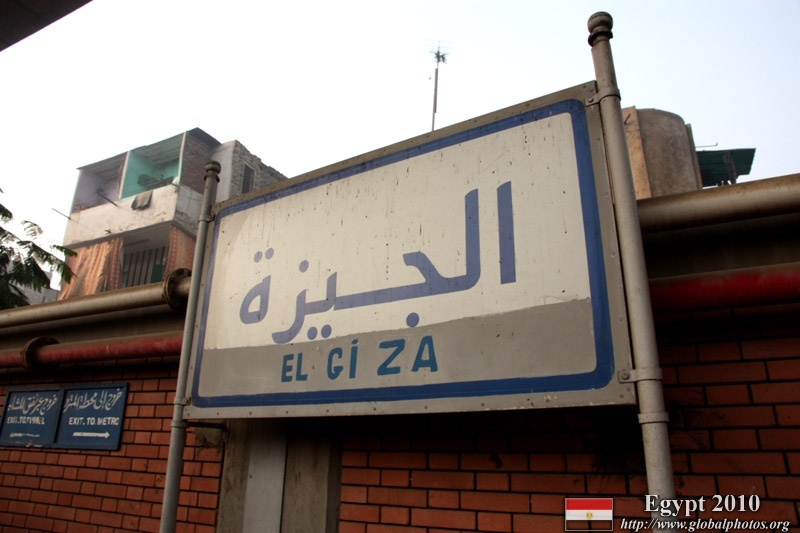 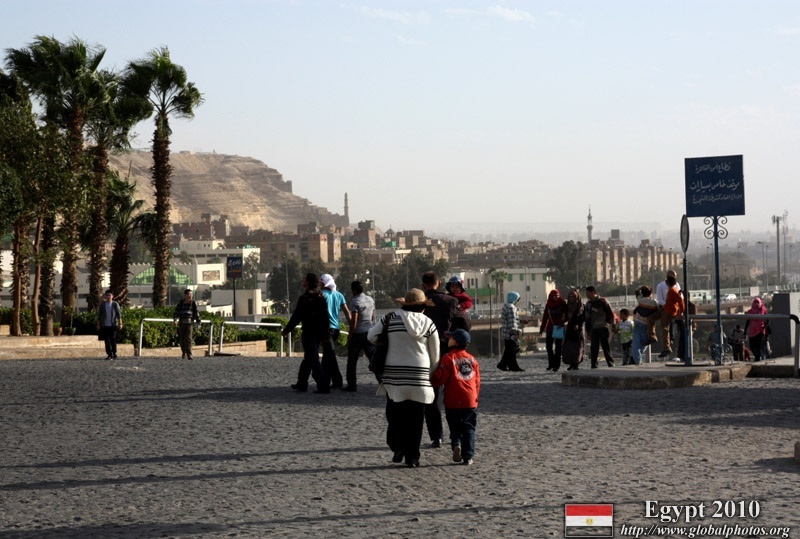 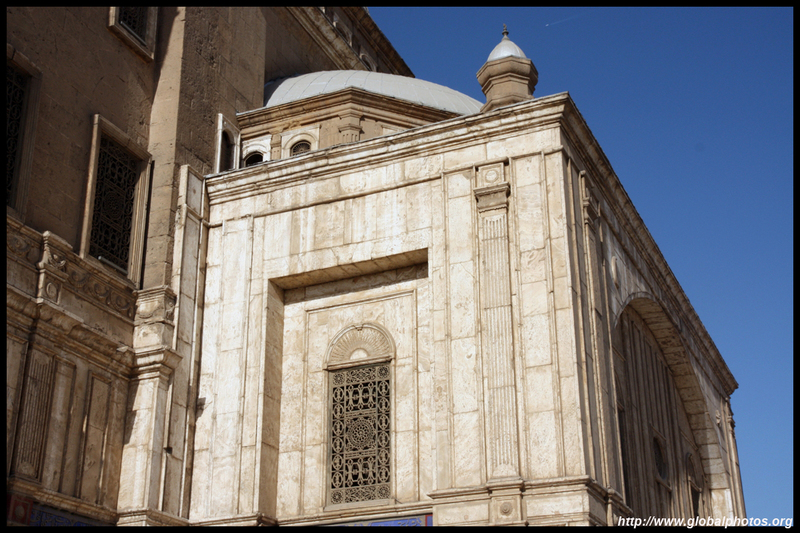 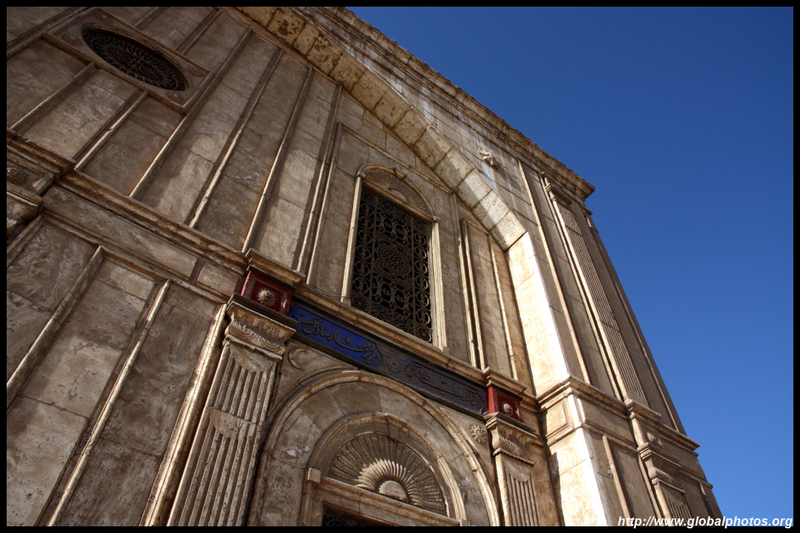 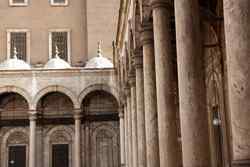 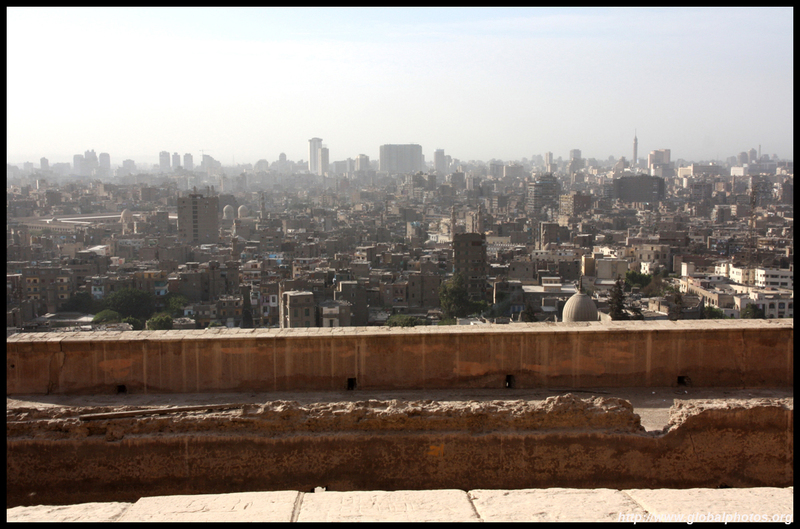 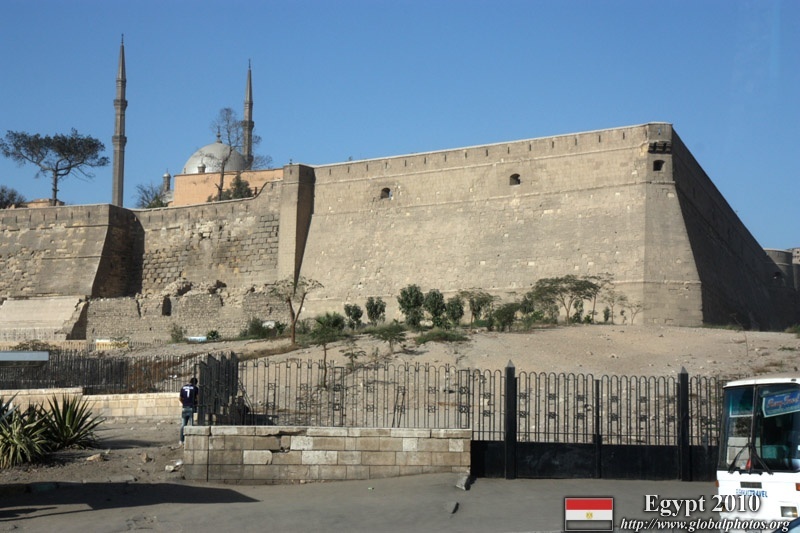 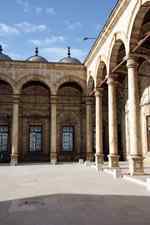 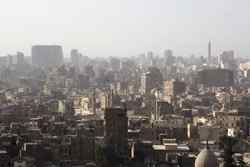 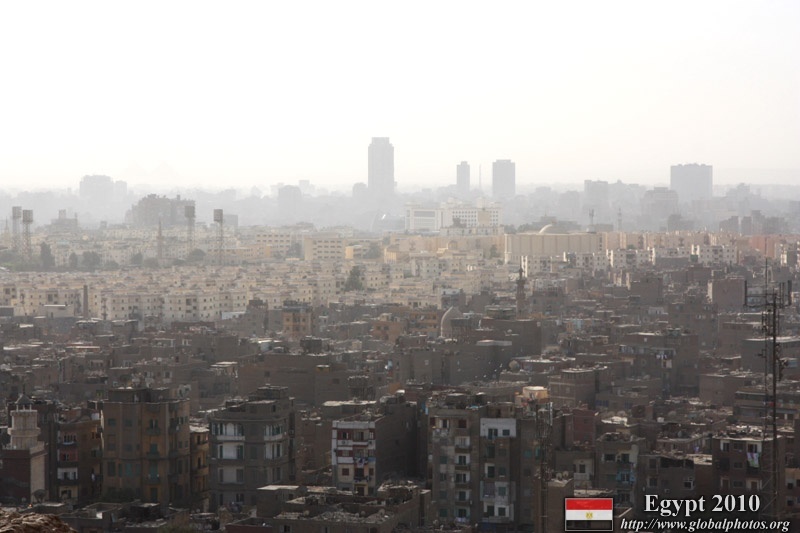 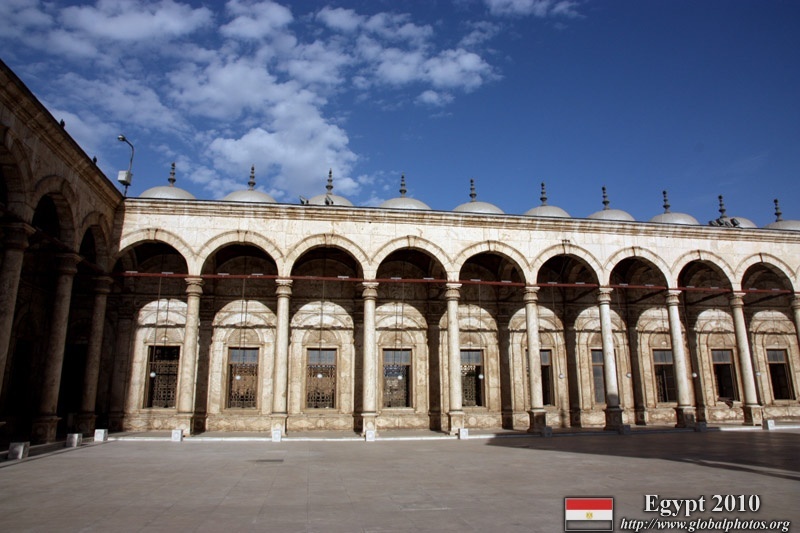 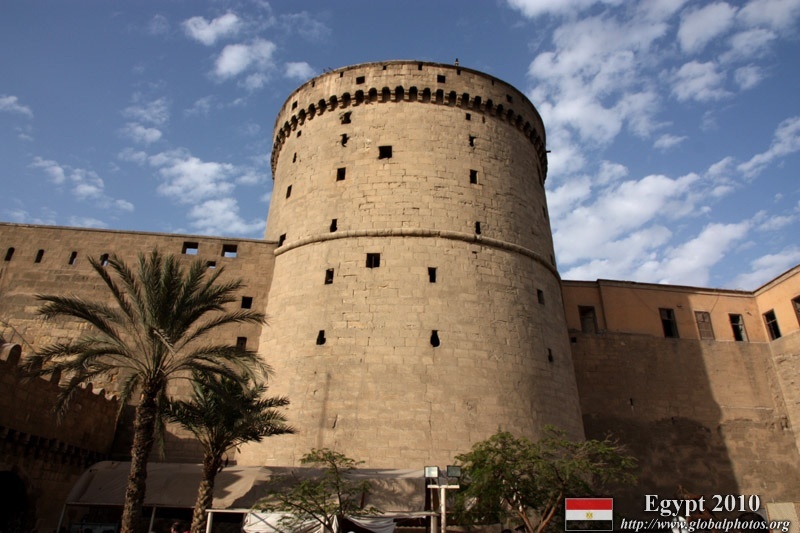 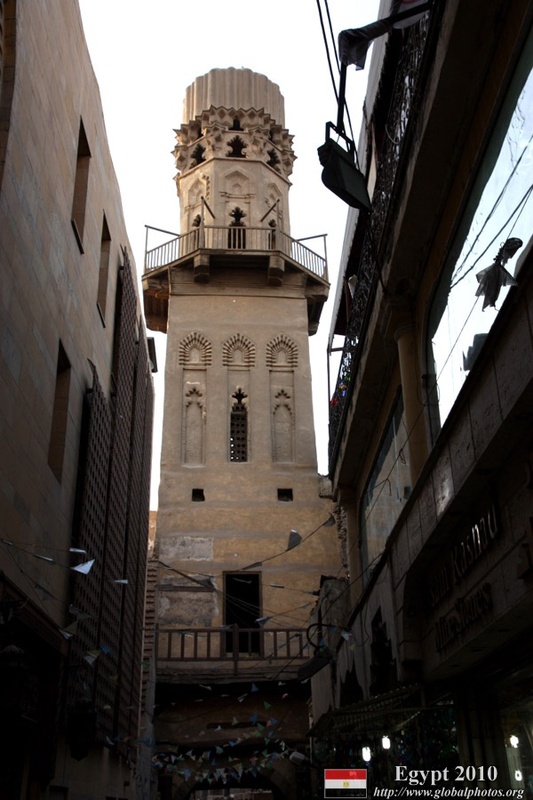 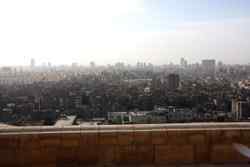 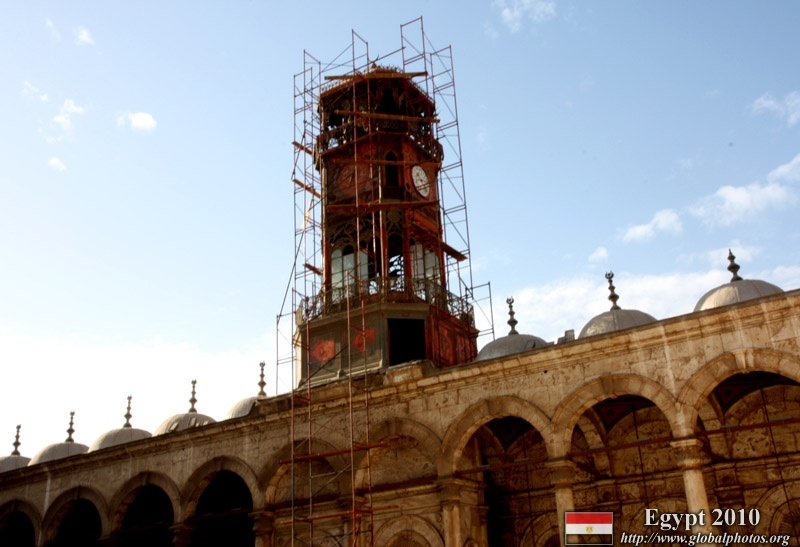 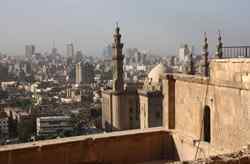 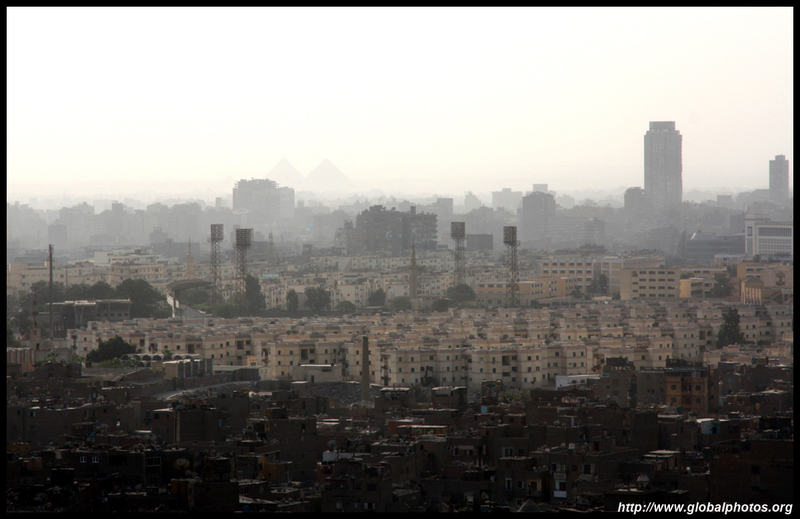 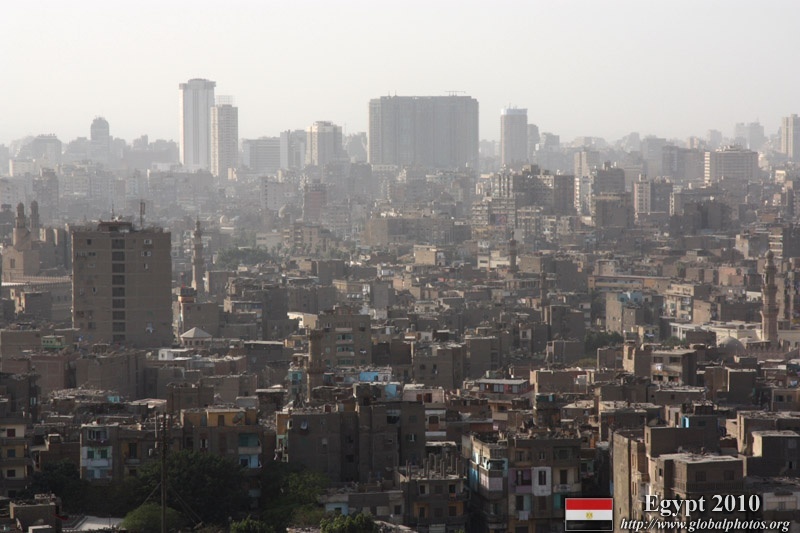 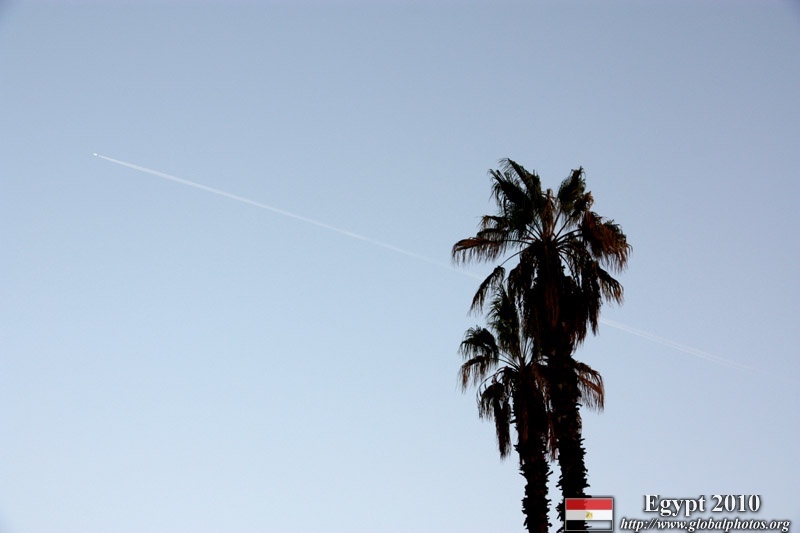 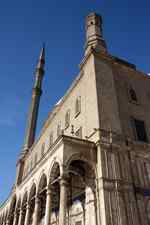 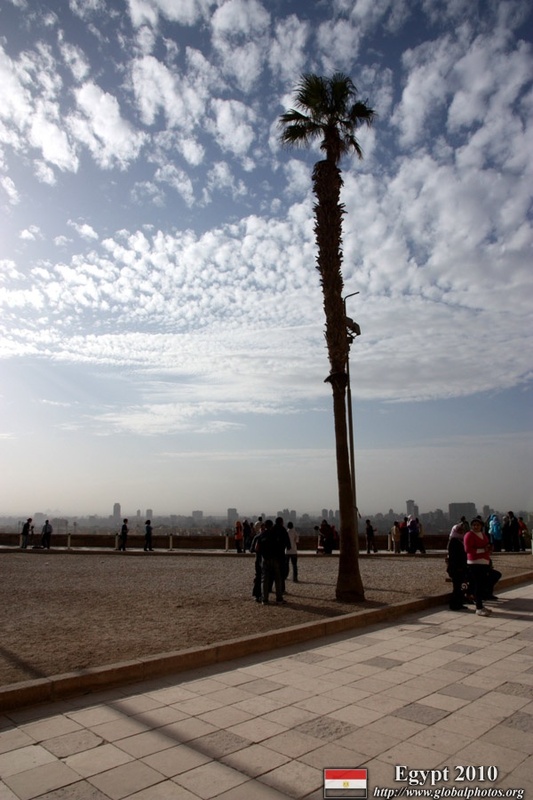 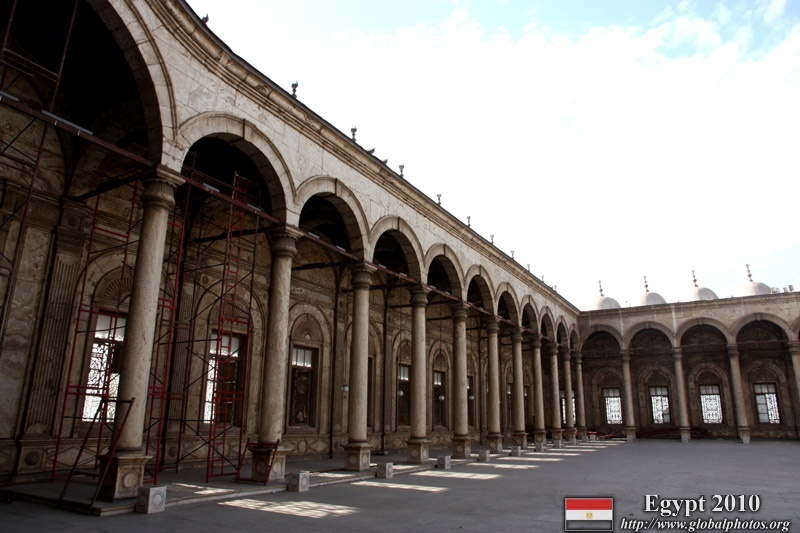 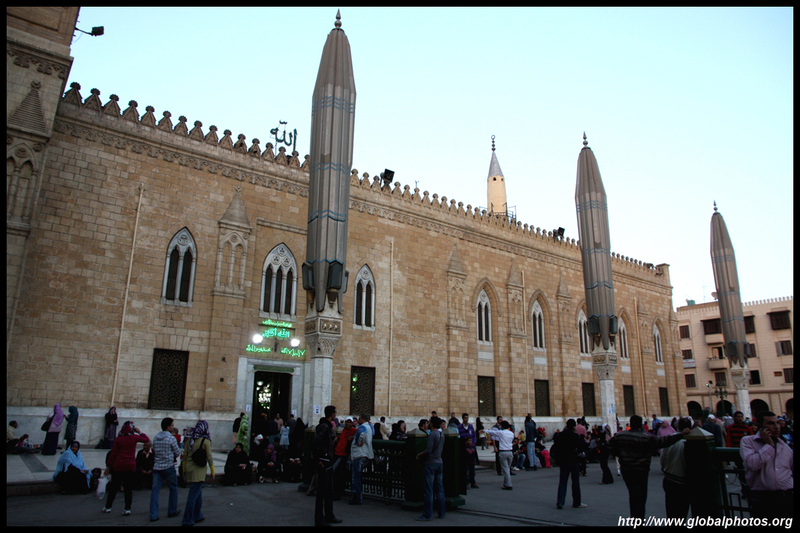 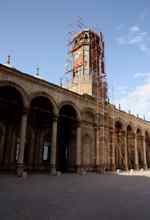 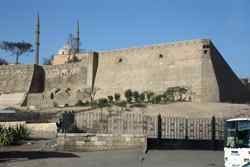 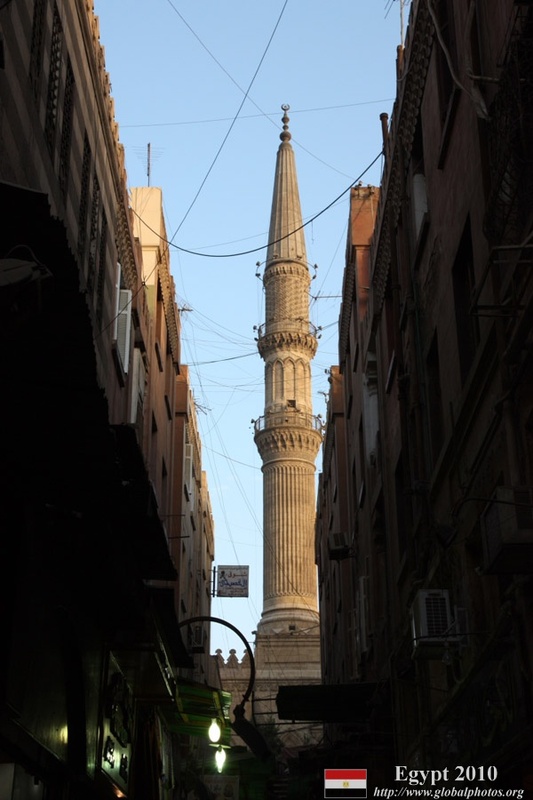 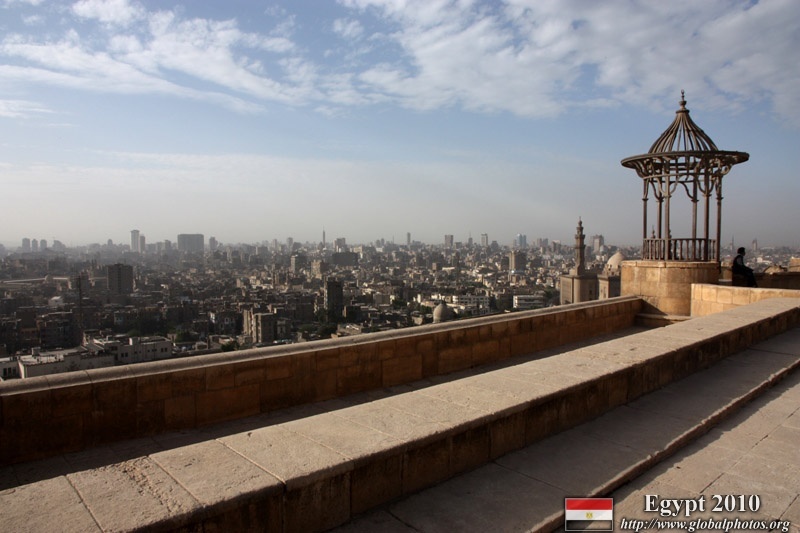 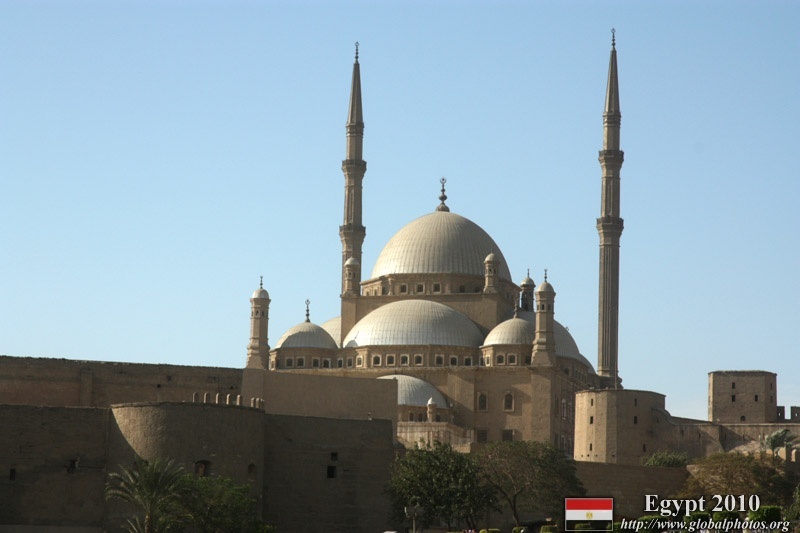 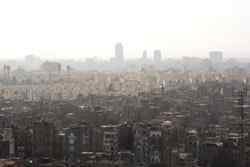 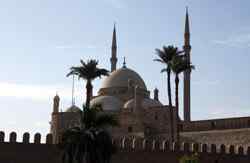 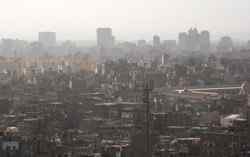 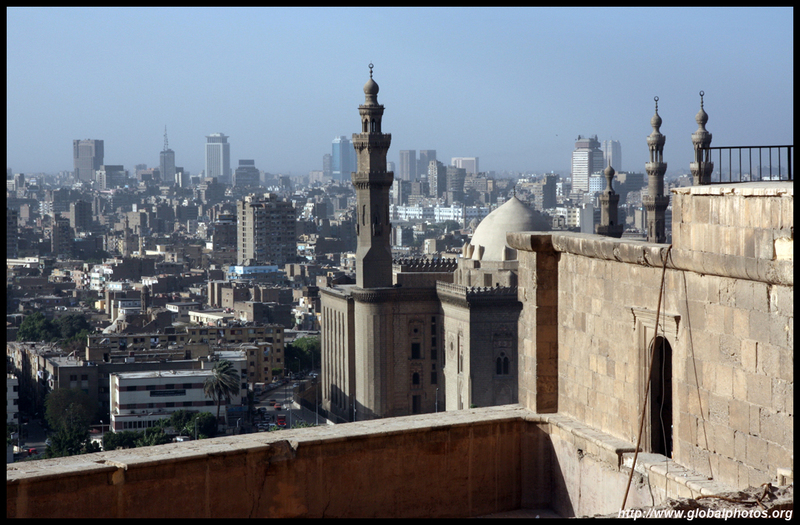 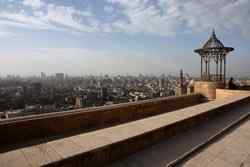 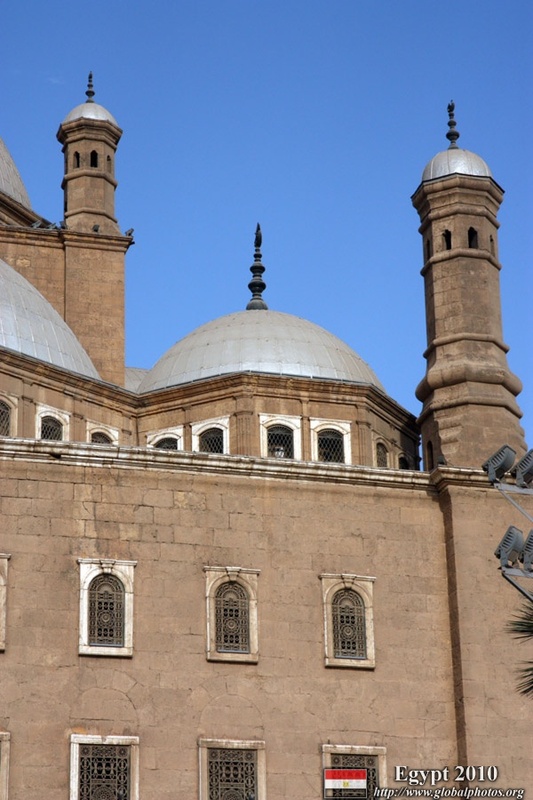 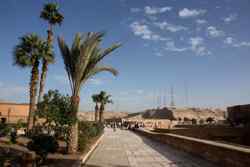 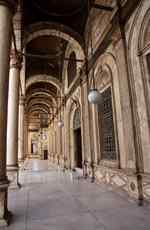 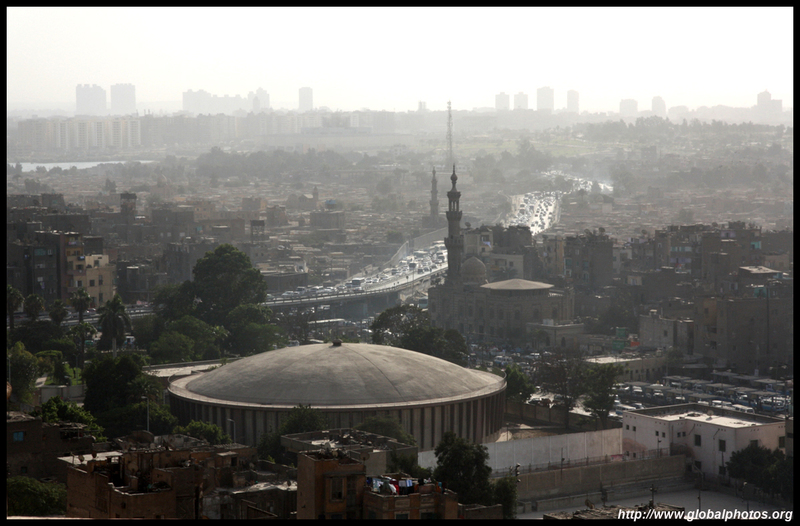 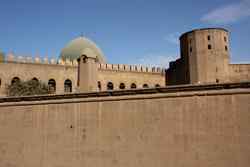 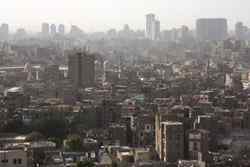 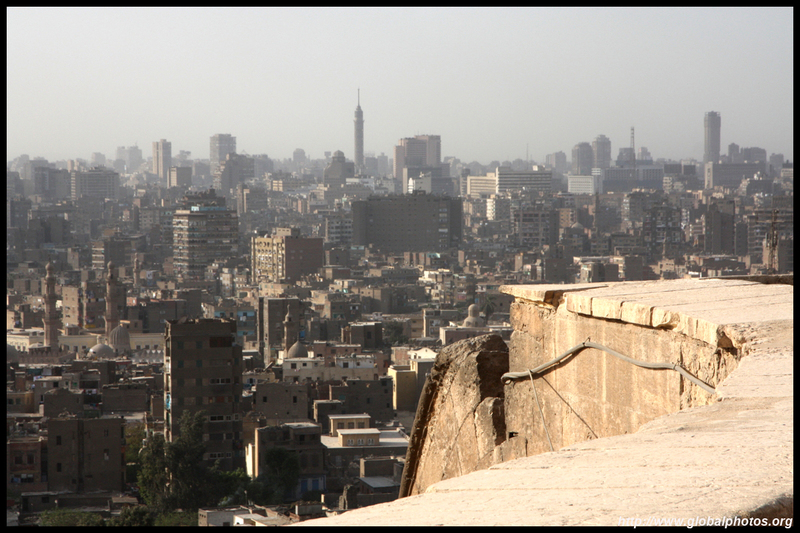 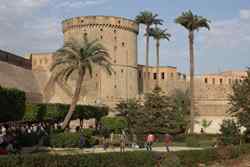 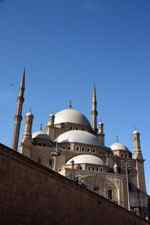 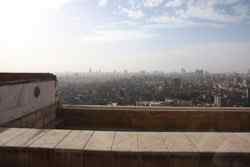 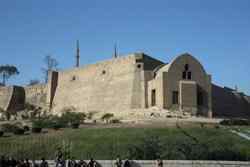 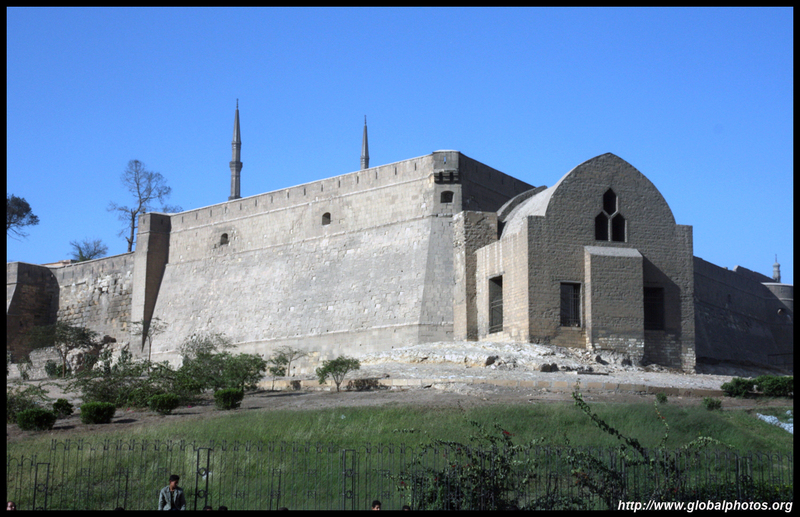 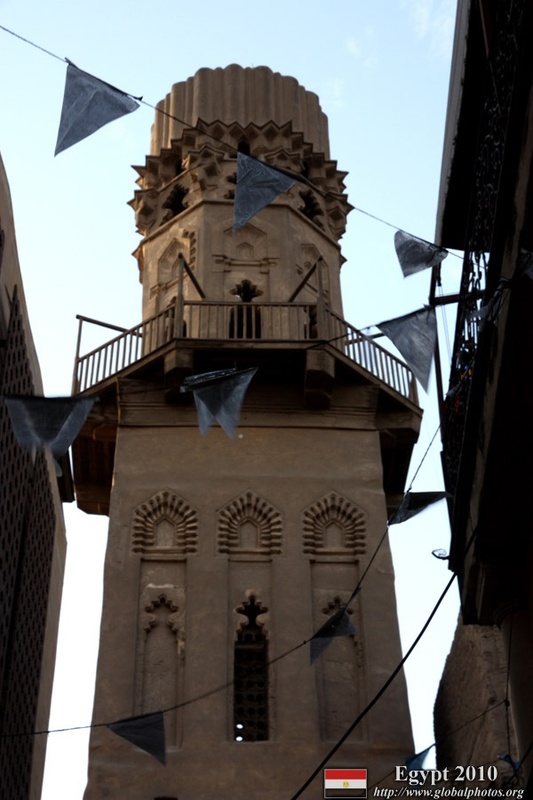 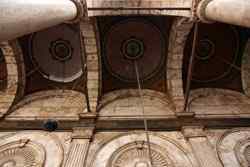 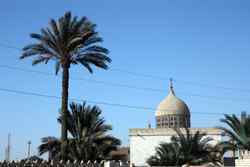 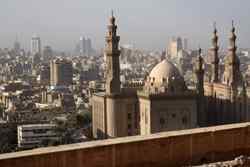 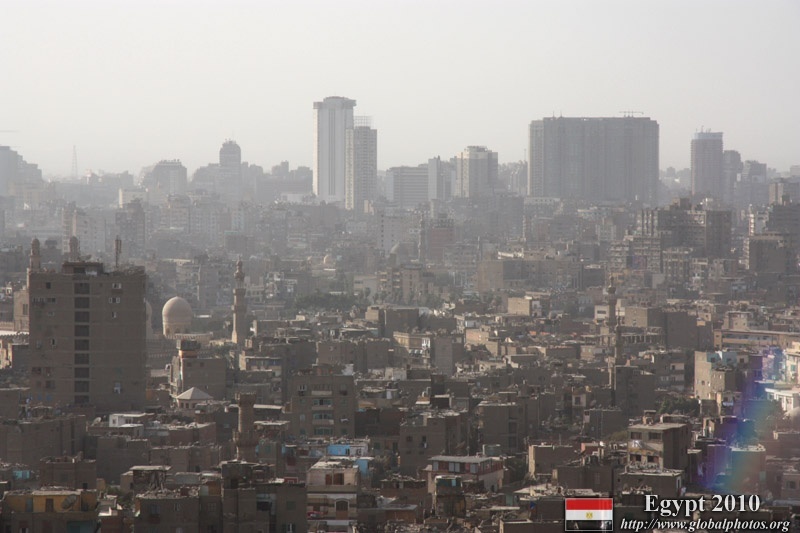 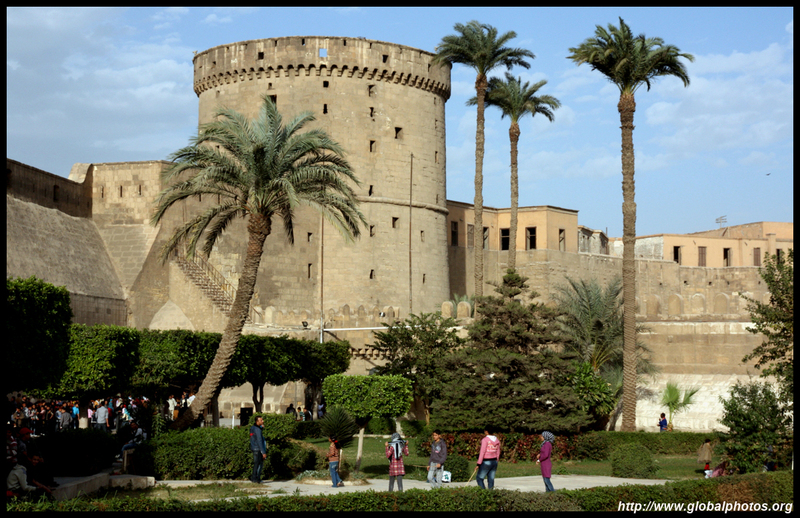 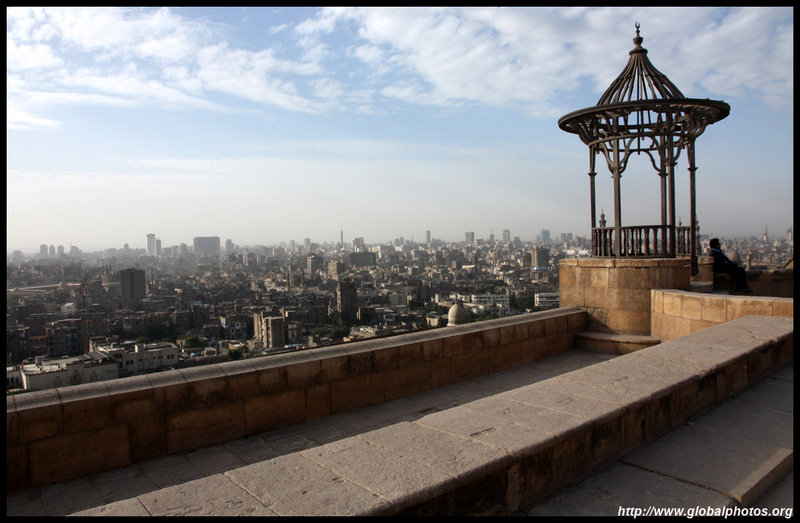 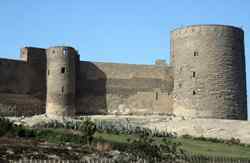 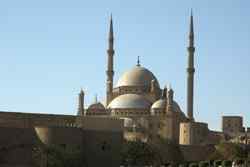 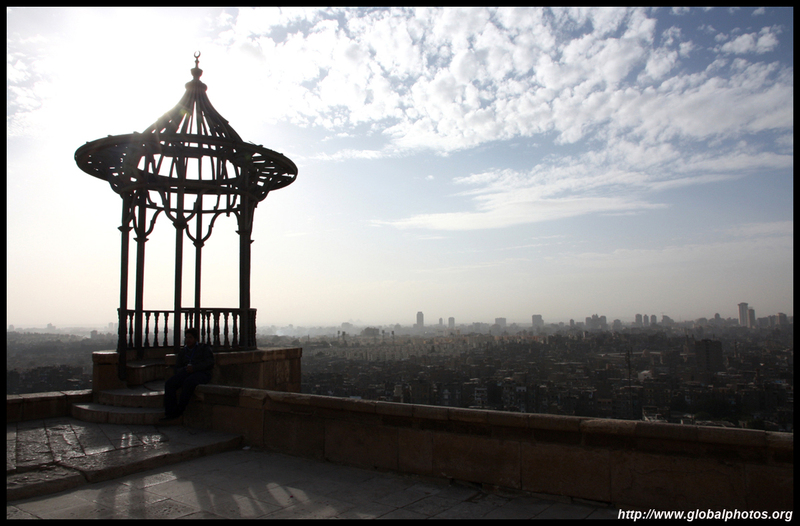 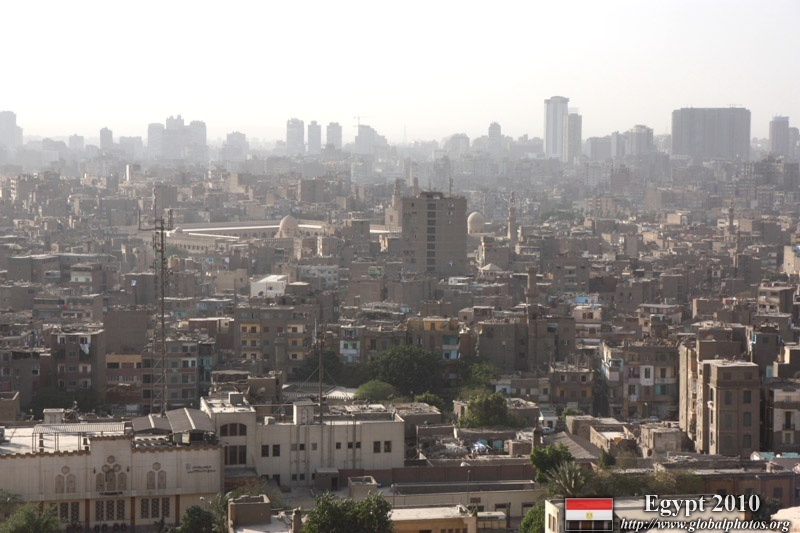 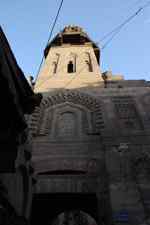 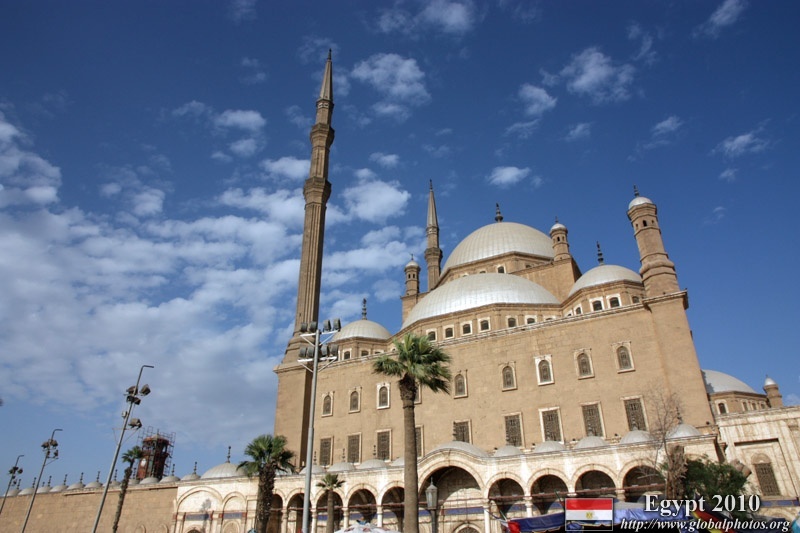 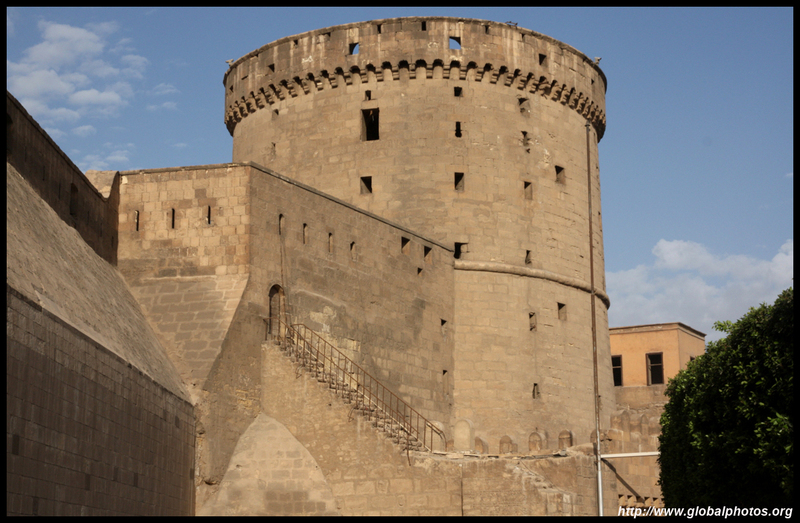 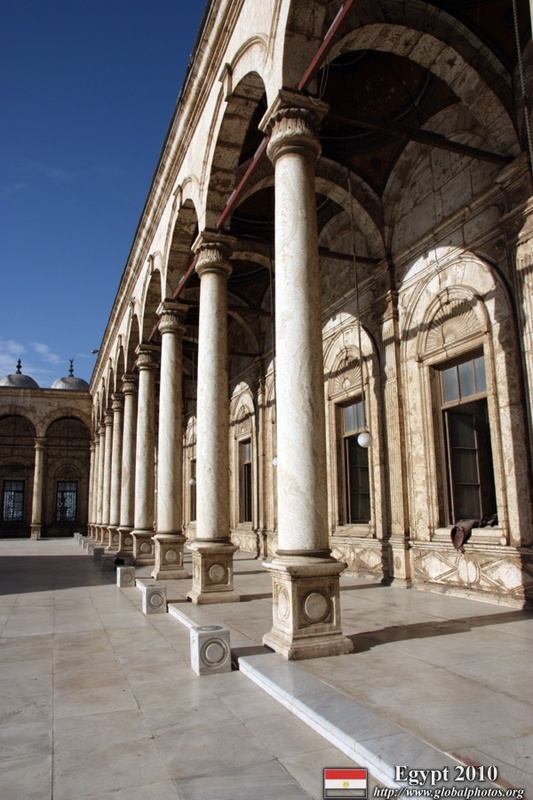 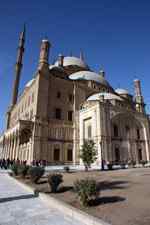 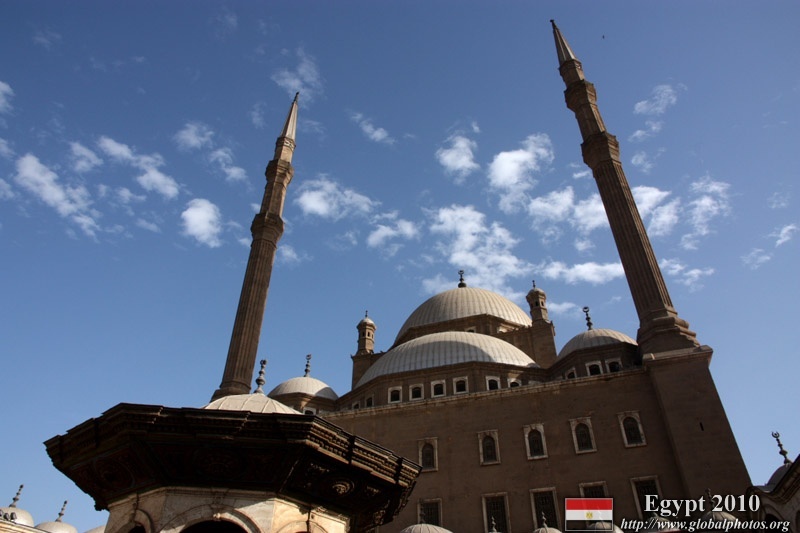 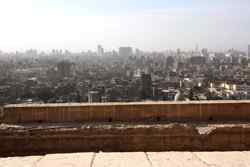 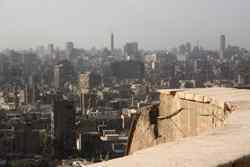 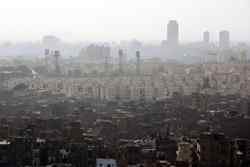 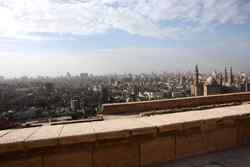 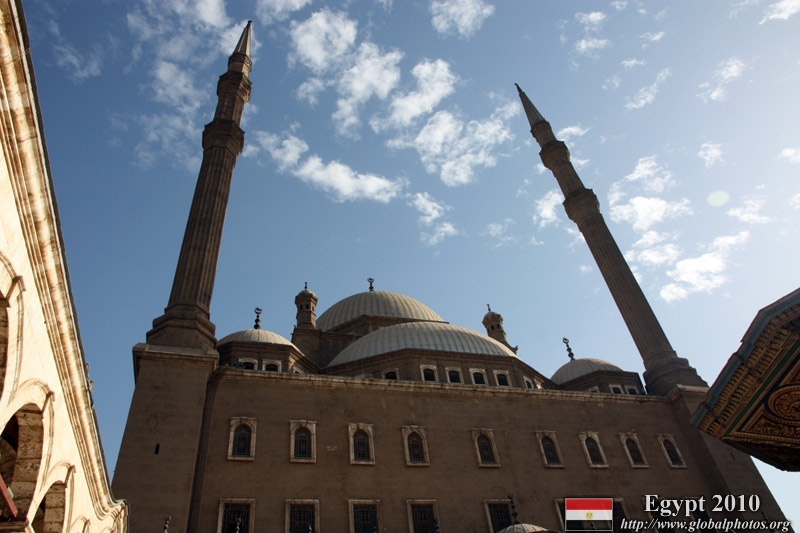 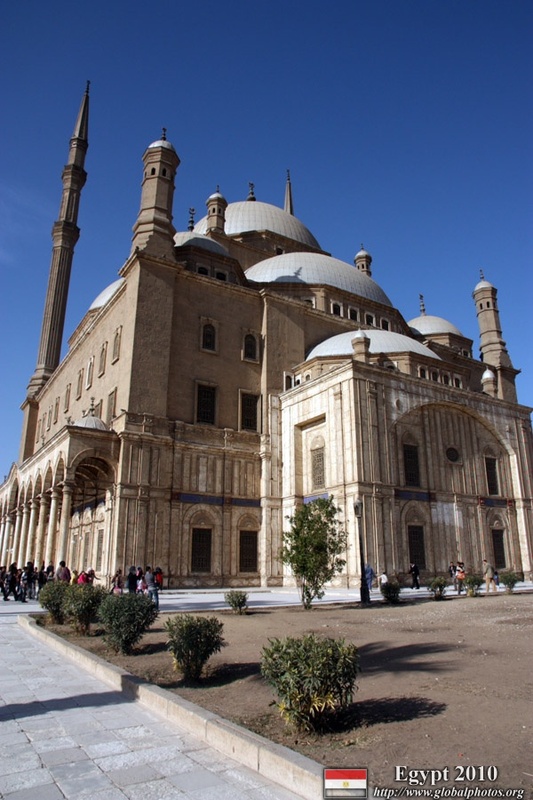 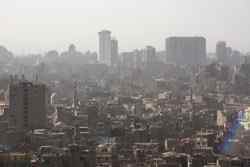 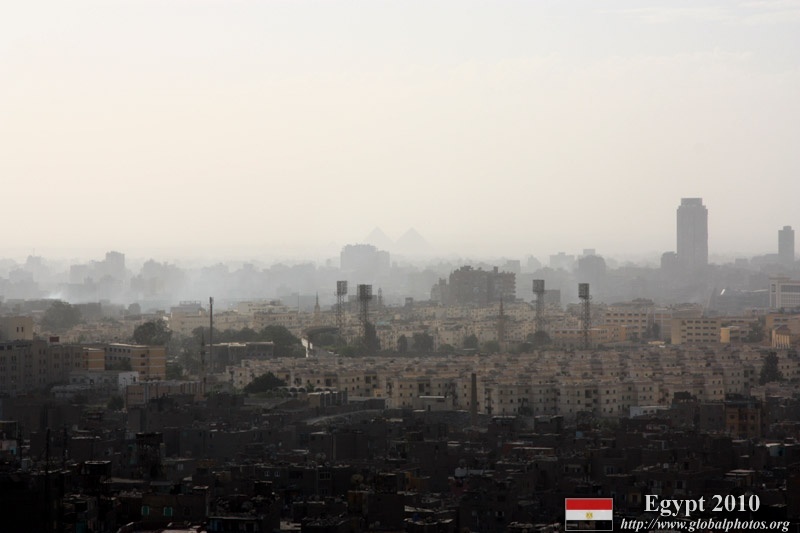 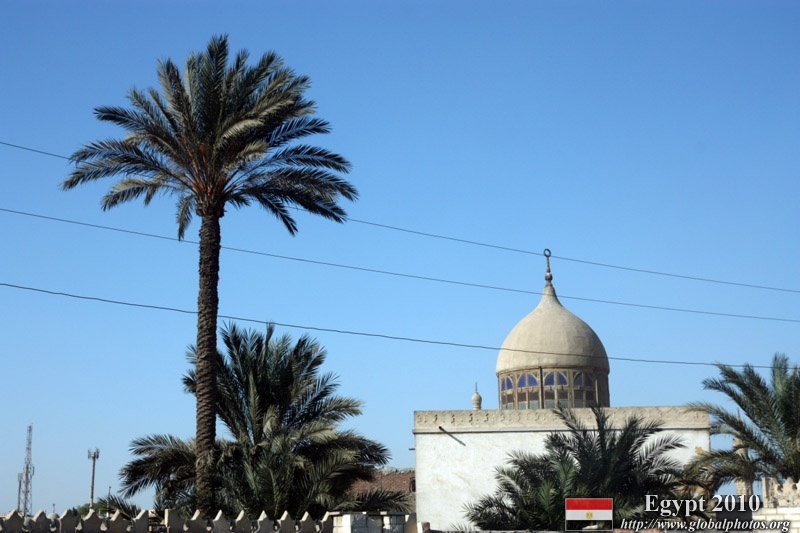 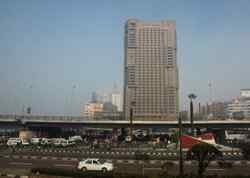 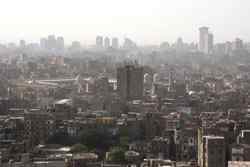 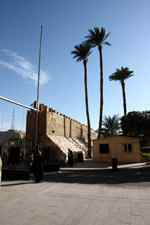 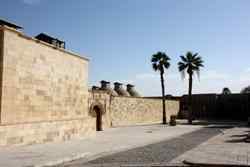 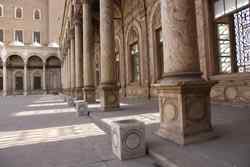 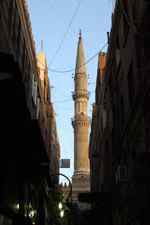 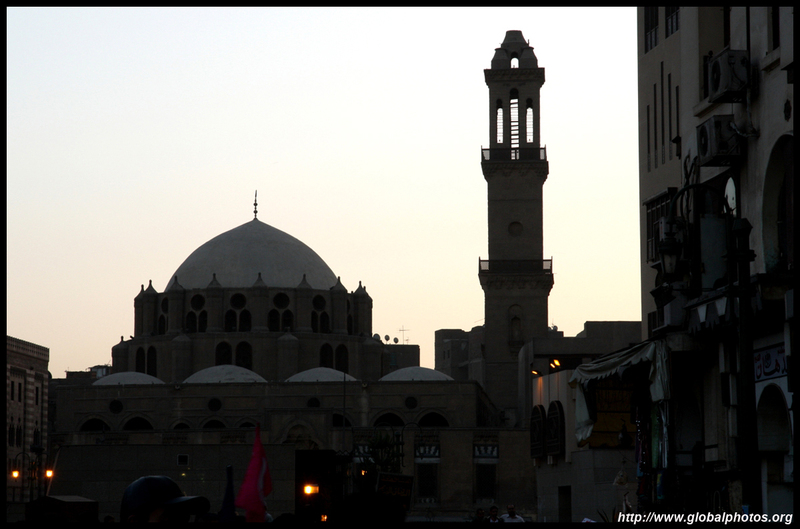 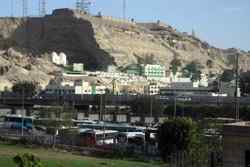 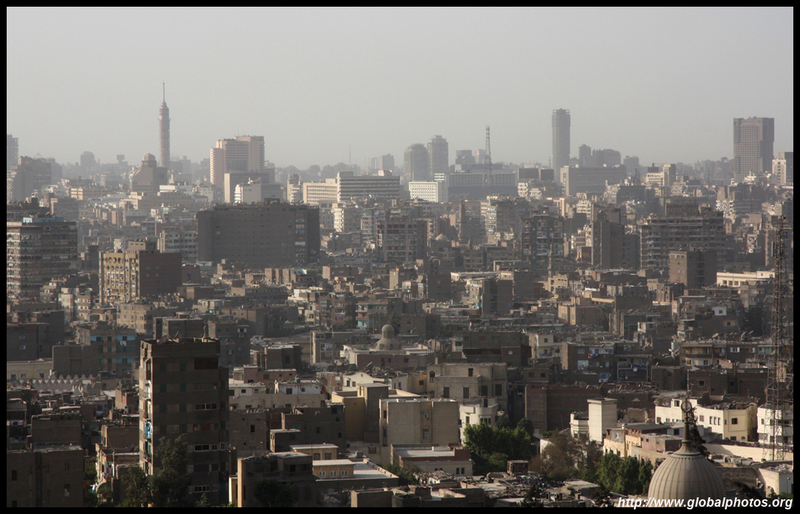 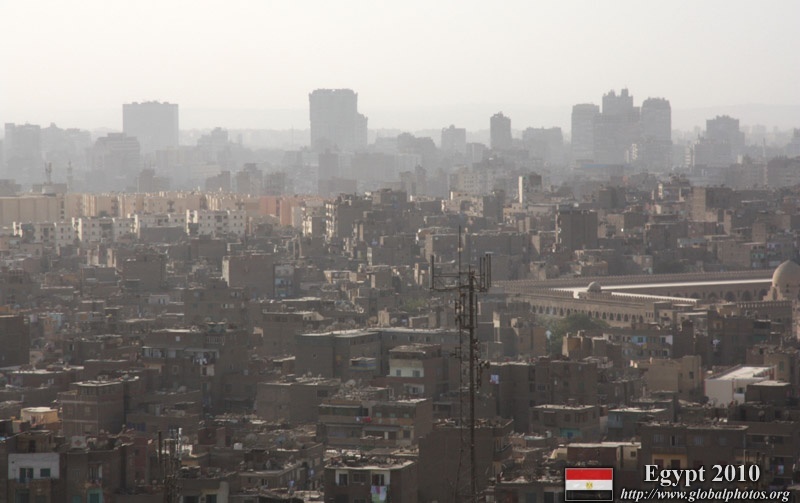 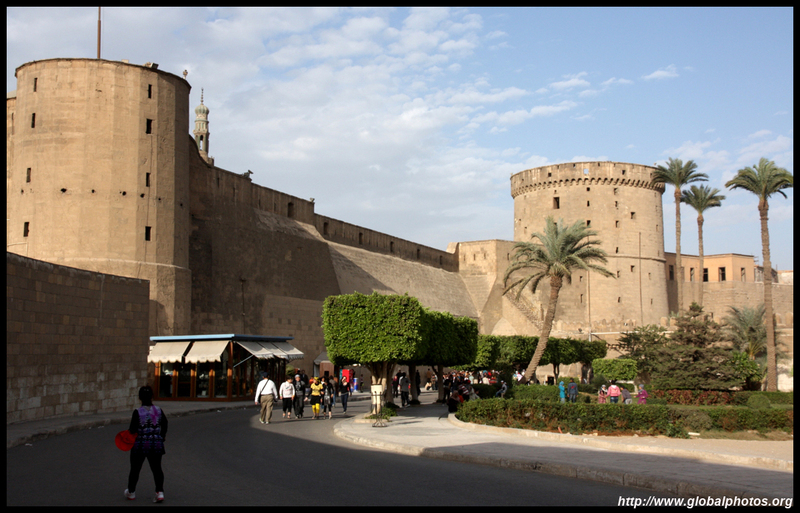 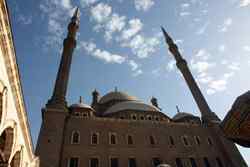 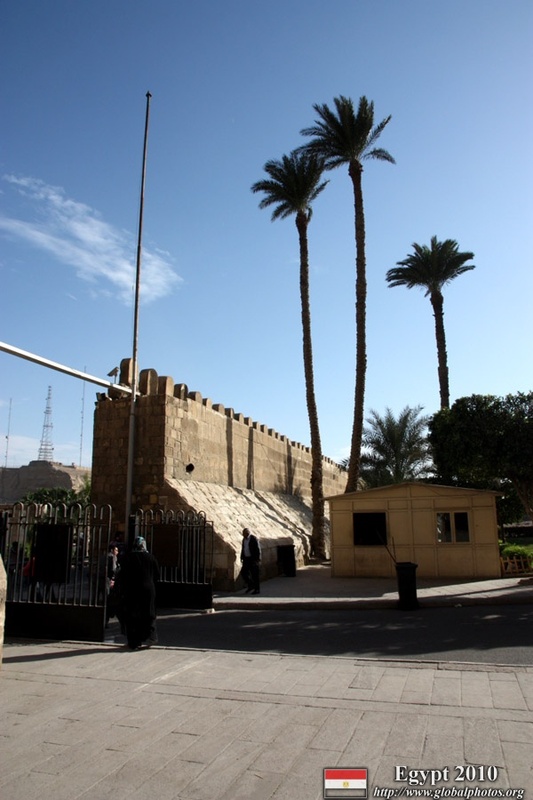 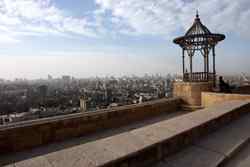 The Citadel dominates Cairo's skyline and has been converted from a military facility to a museum and religious site. 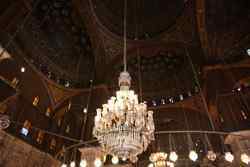 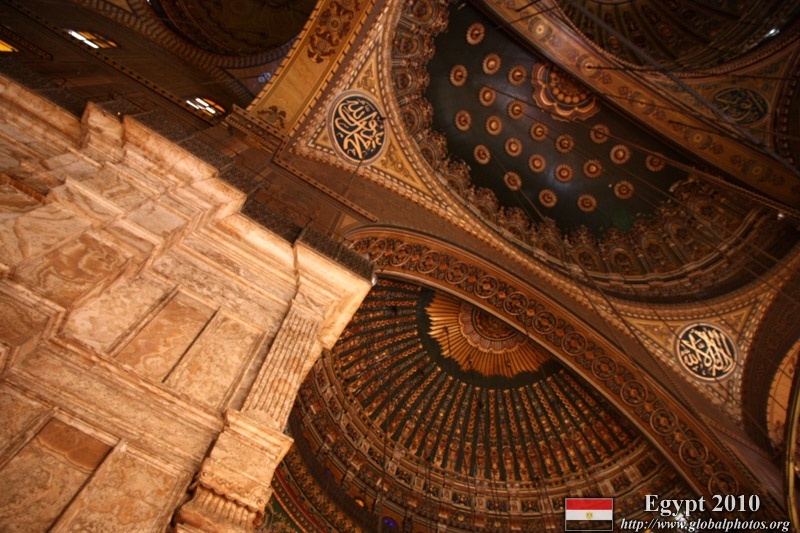 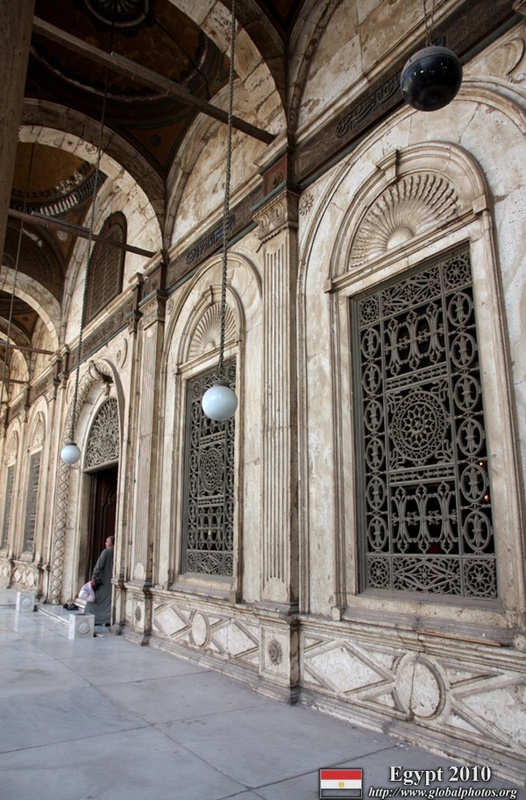 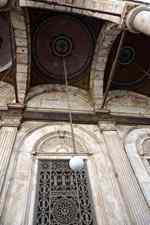 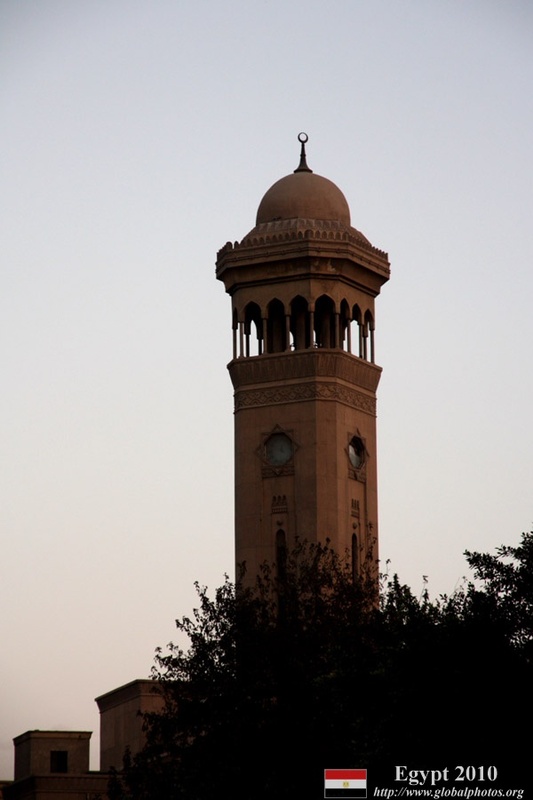 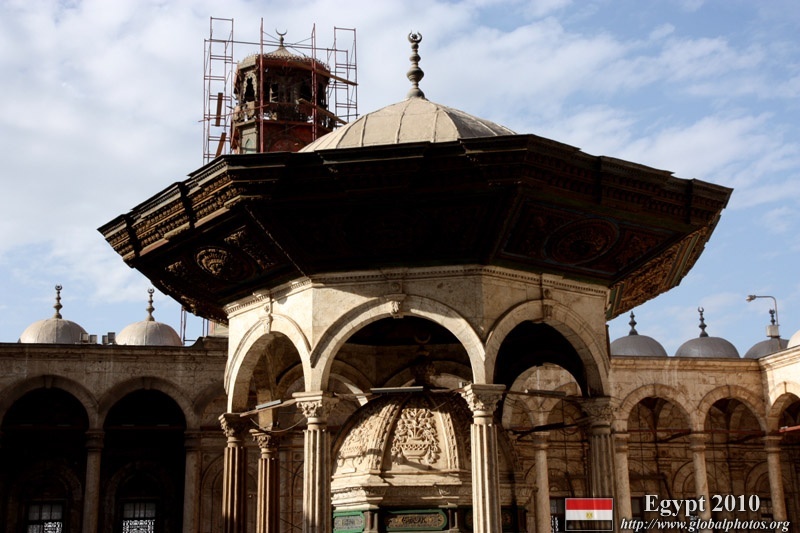 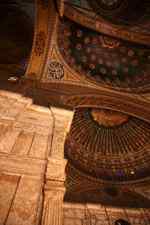 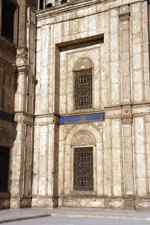 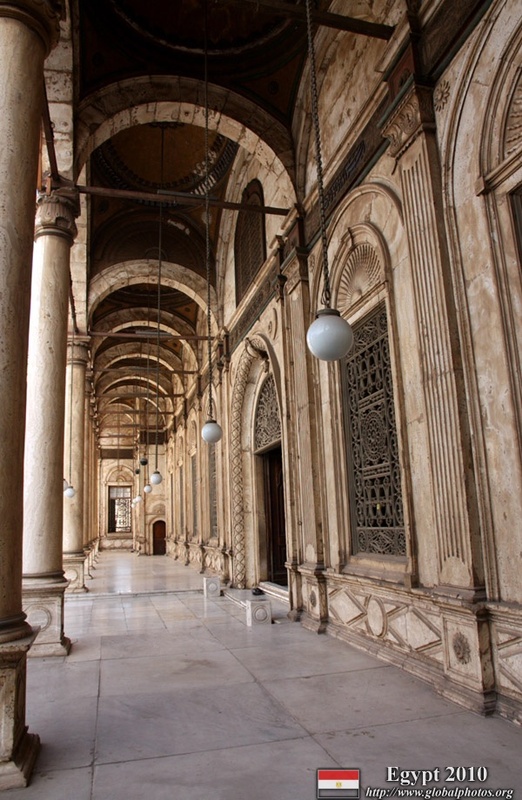 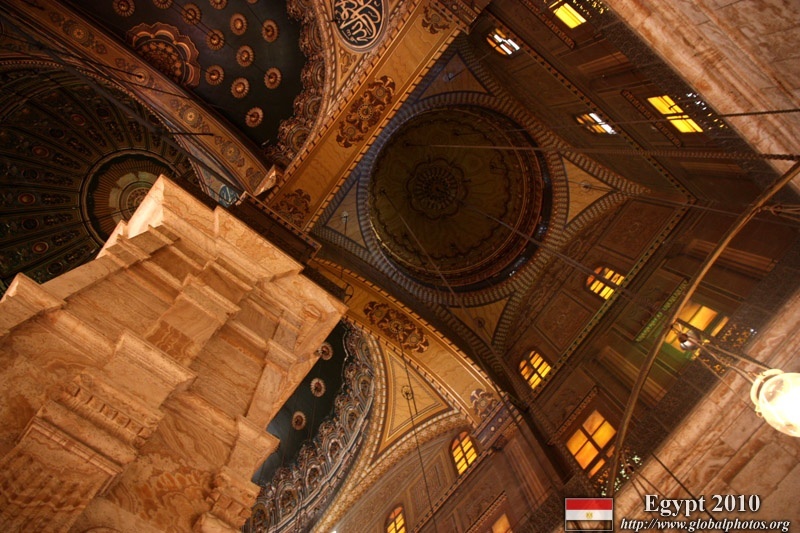 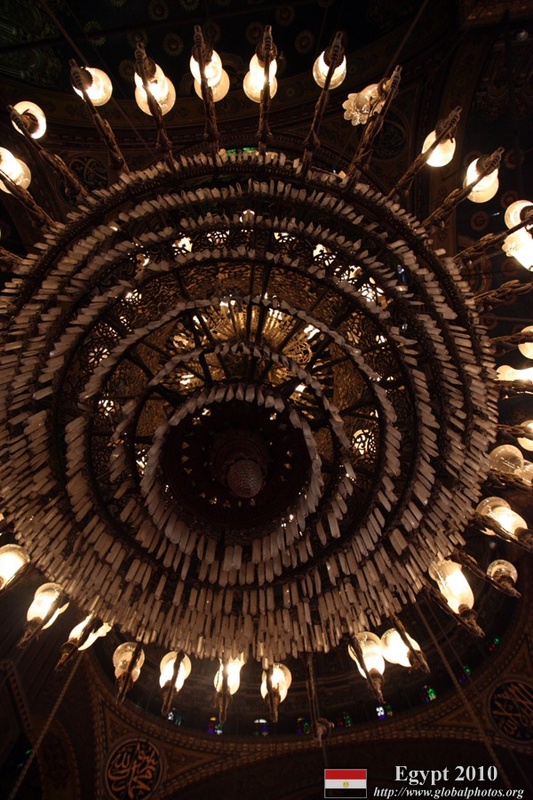 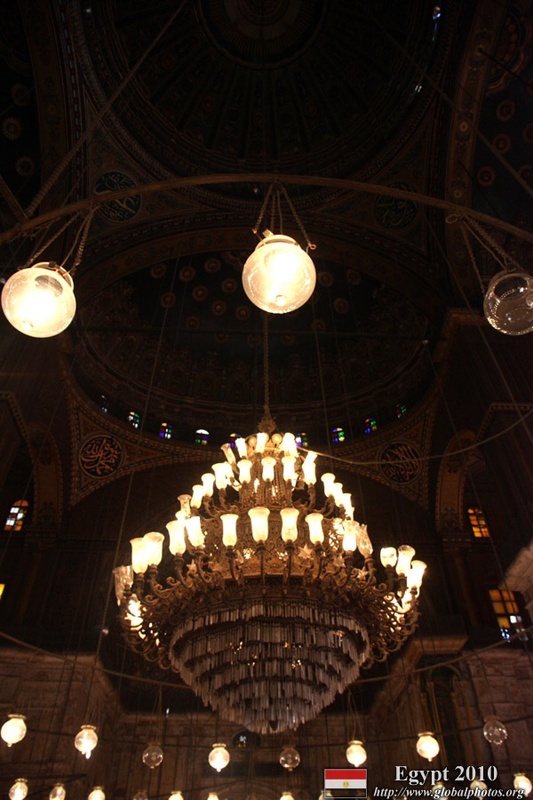 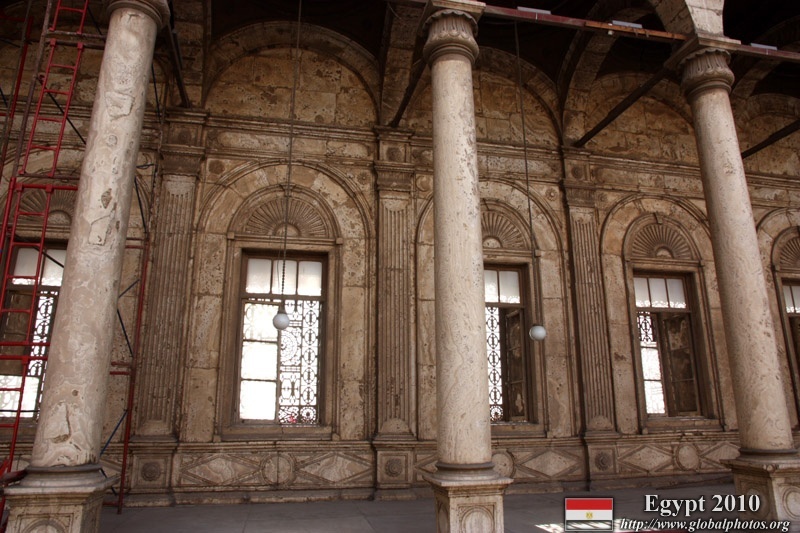 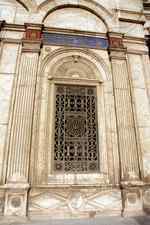 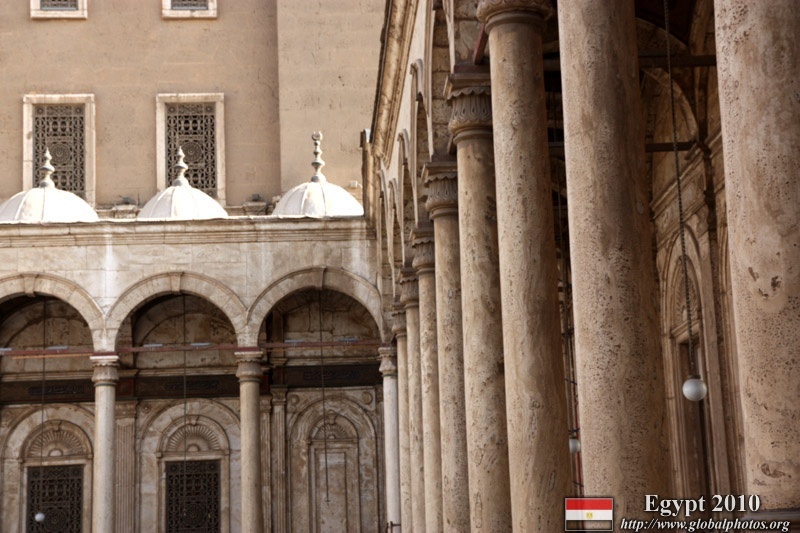 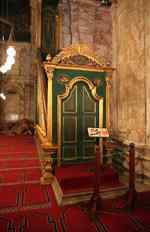 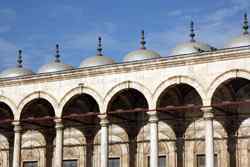 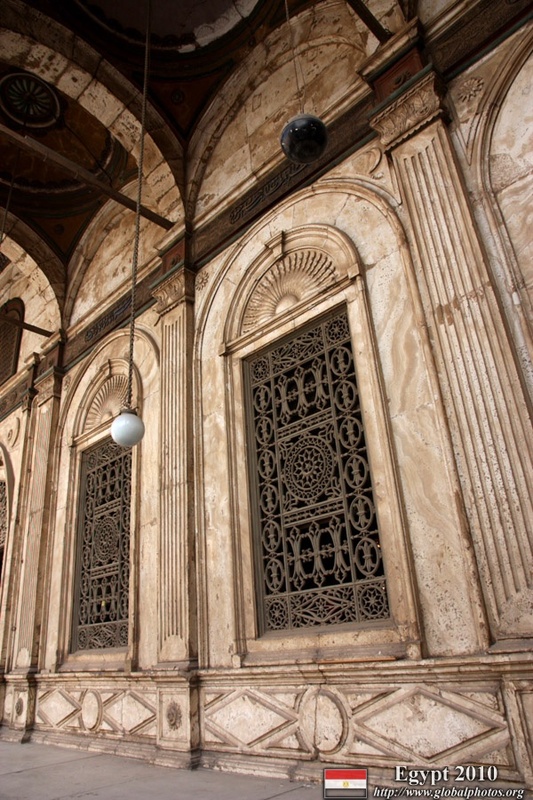 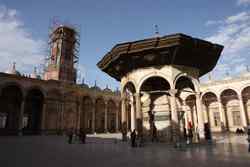 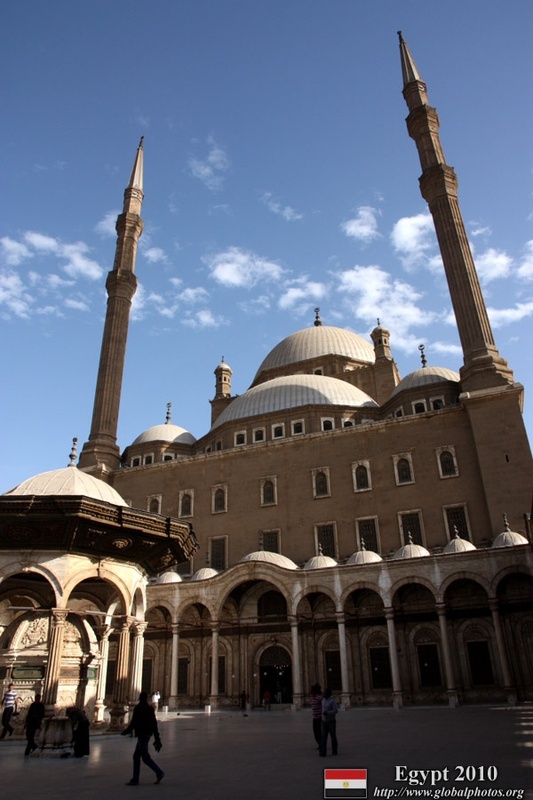 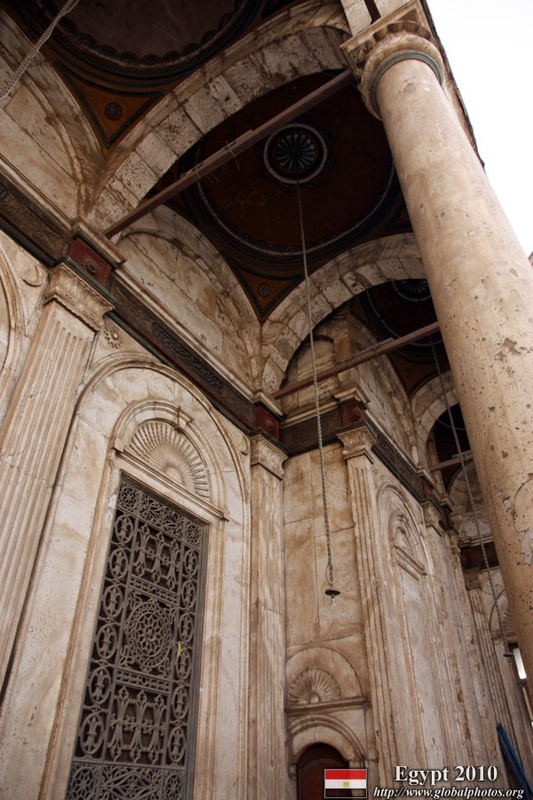 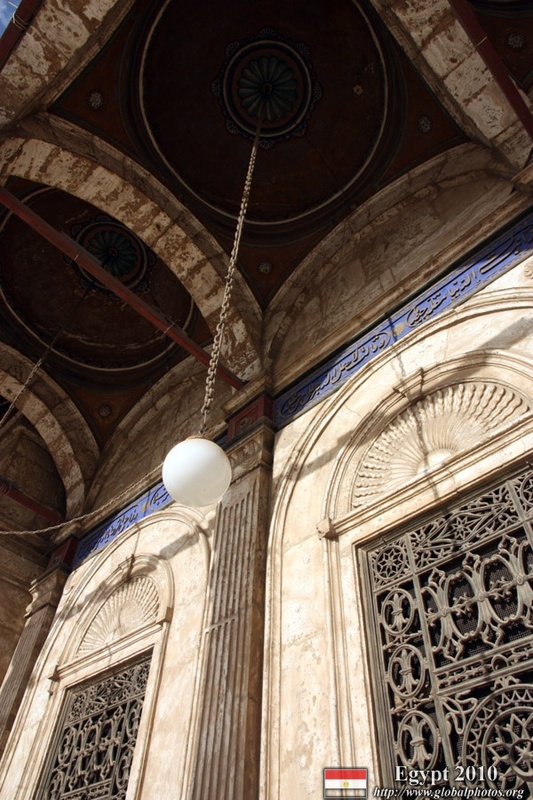 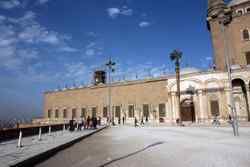 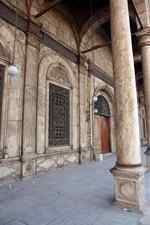 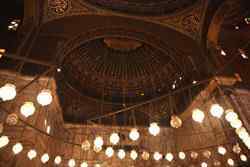 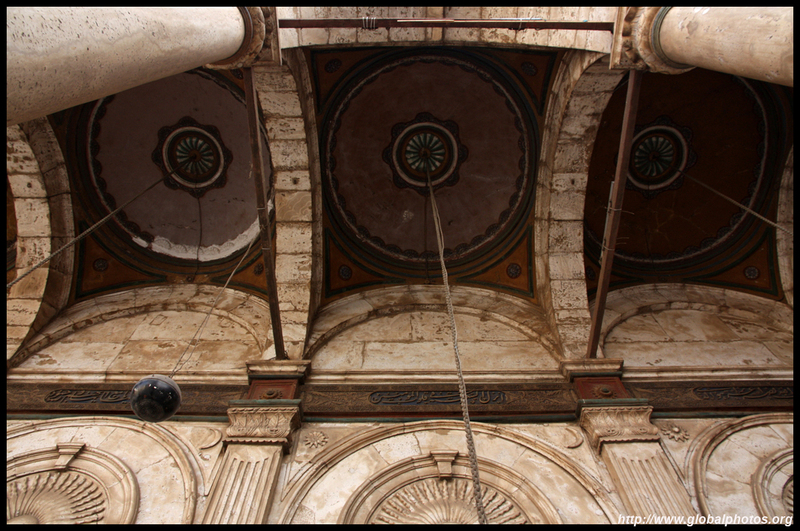 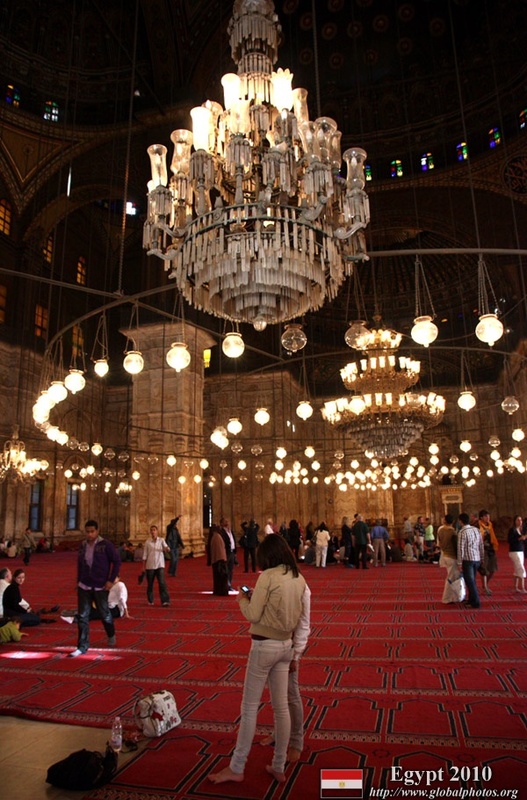 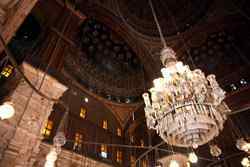 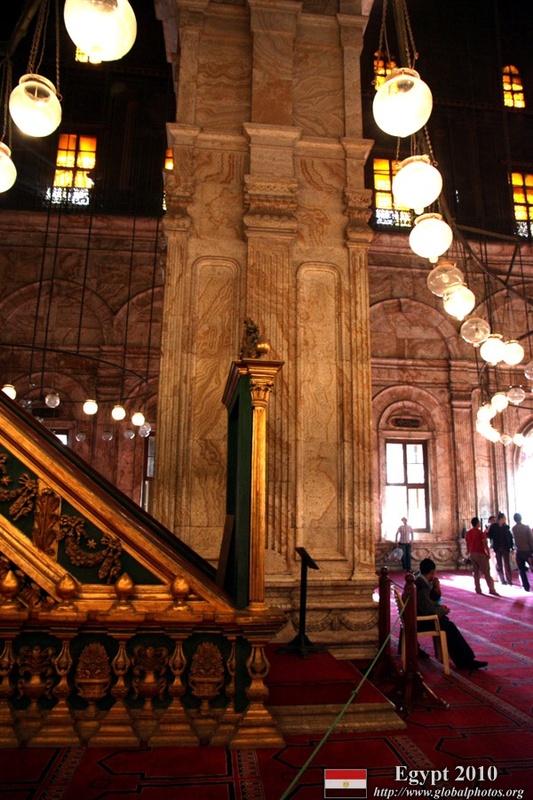 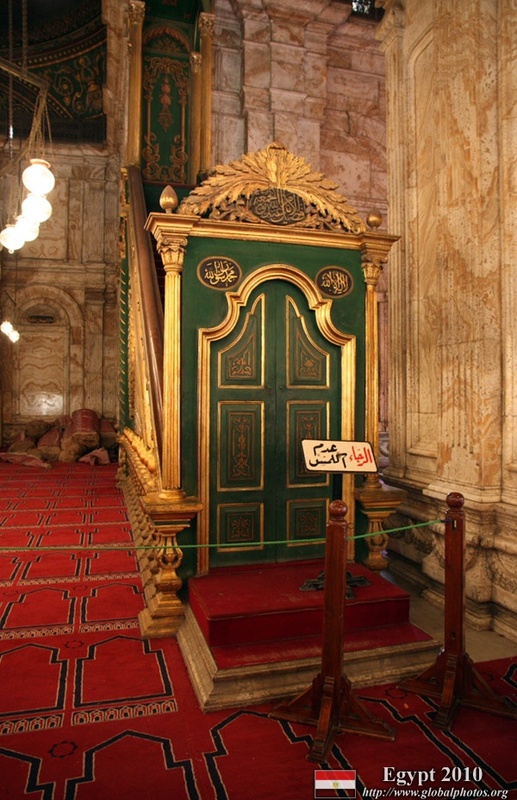 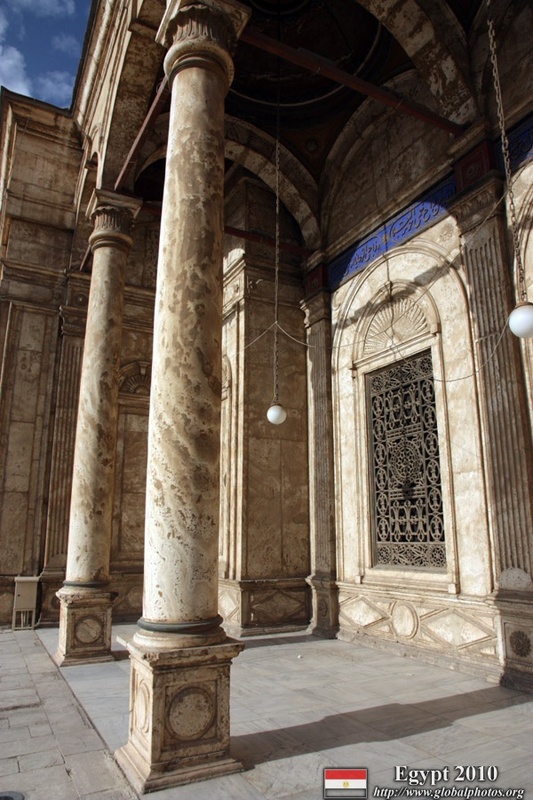 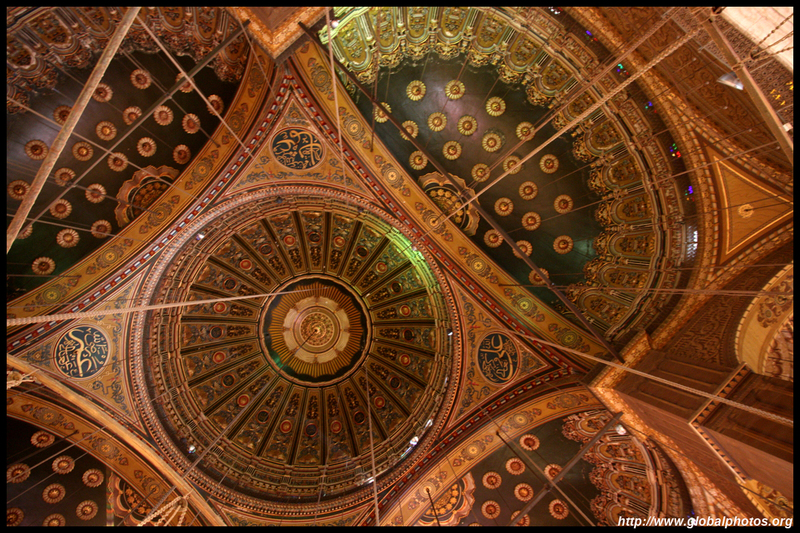 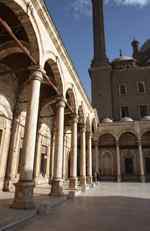 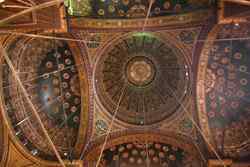 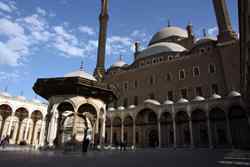 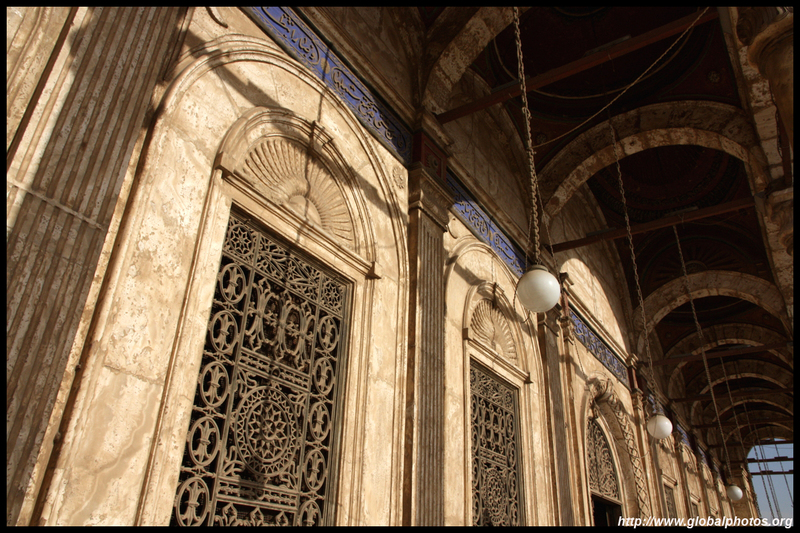 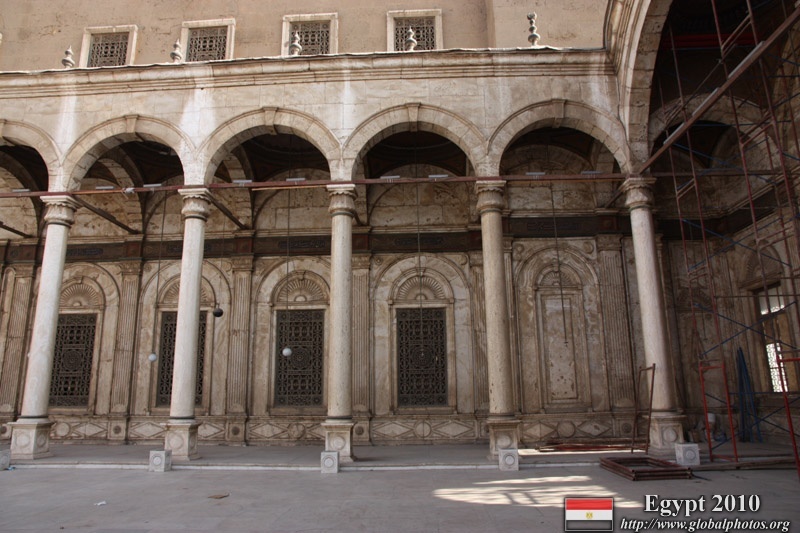 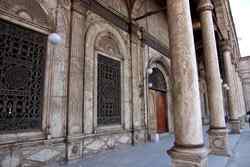 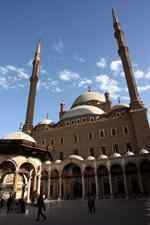 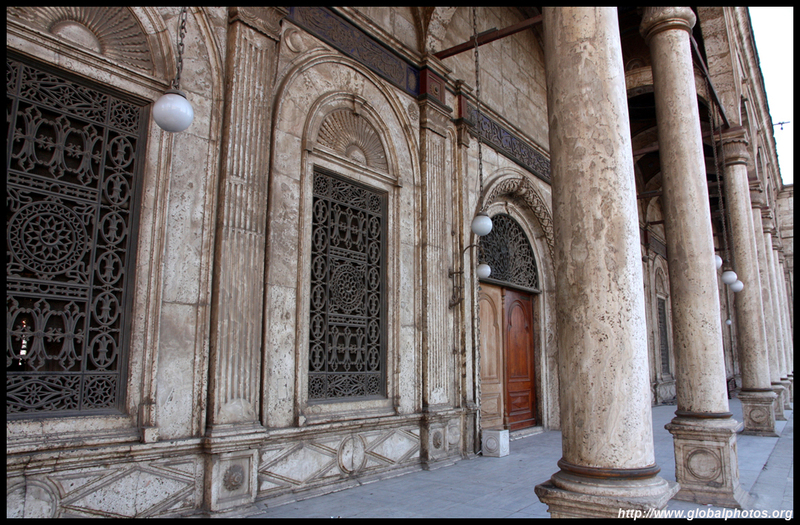 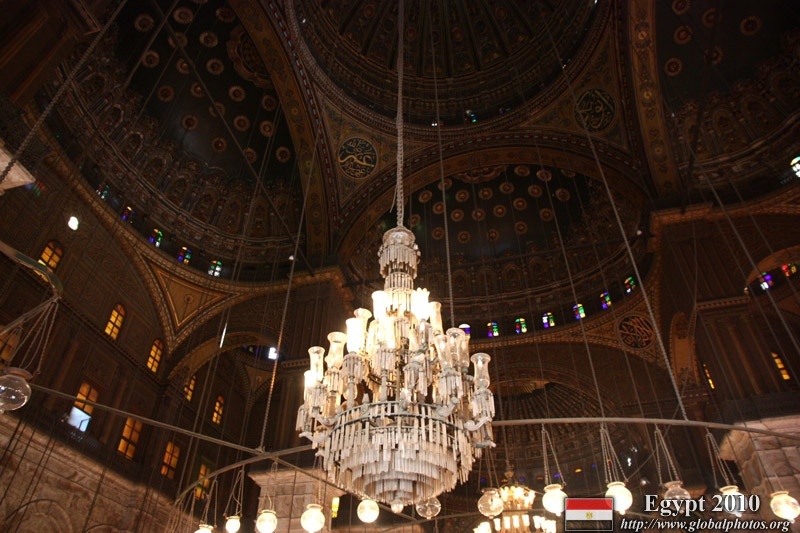 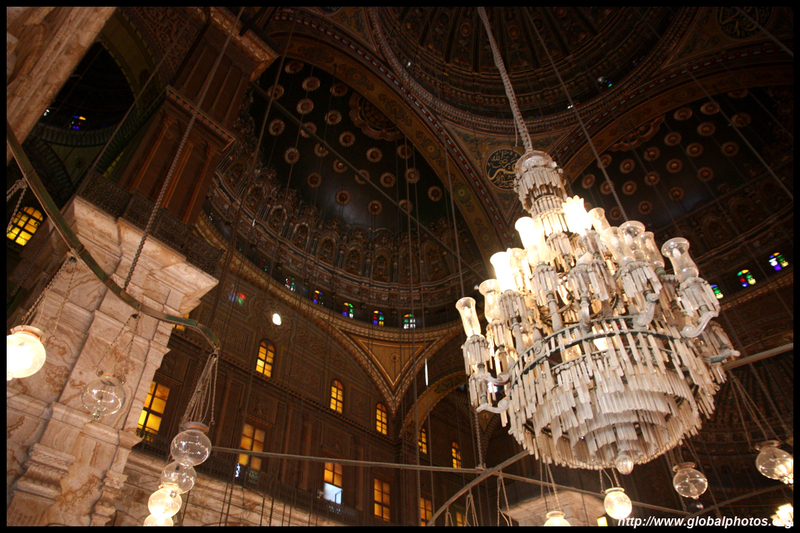 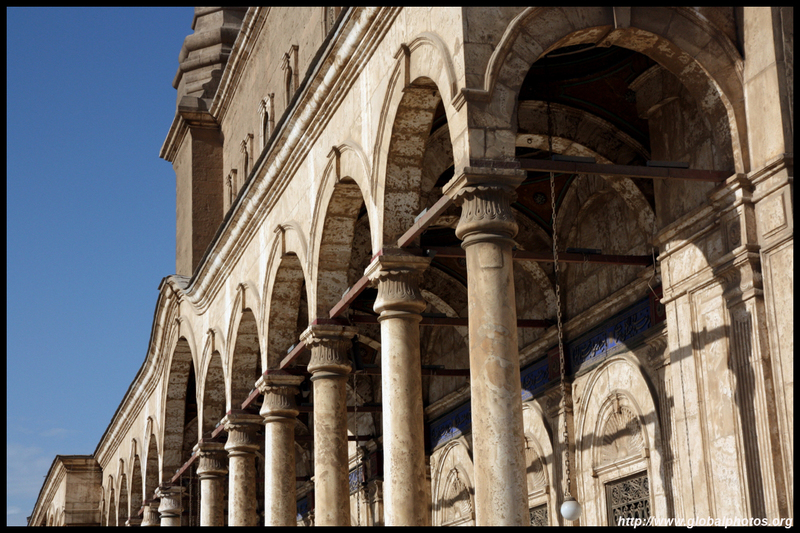 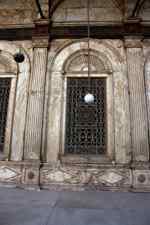 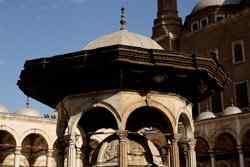 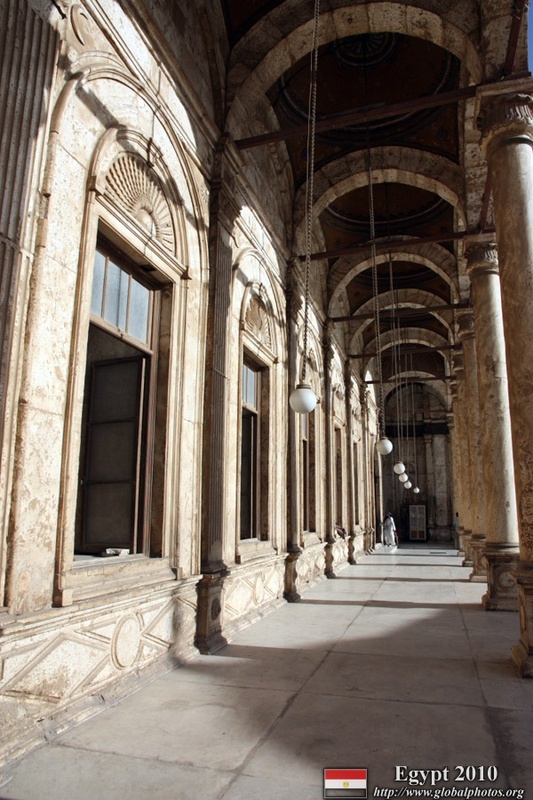 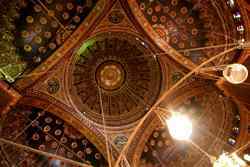 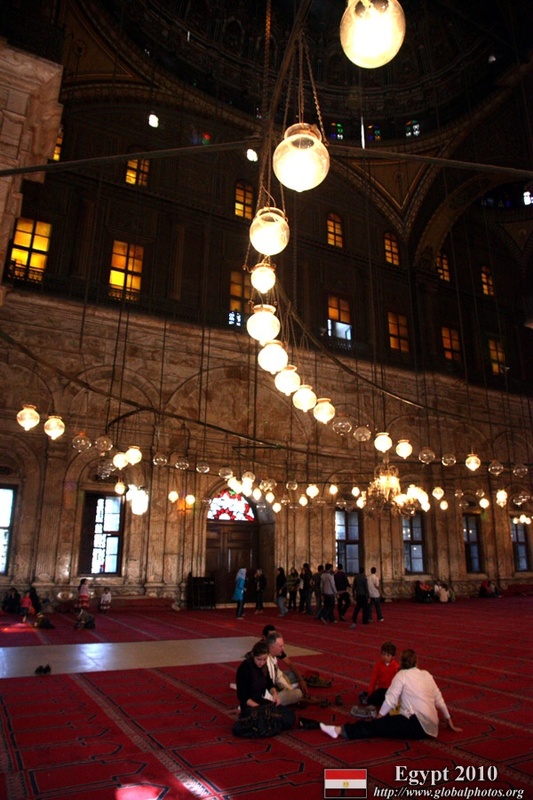 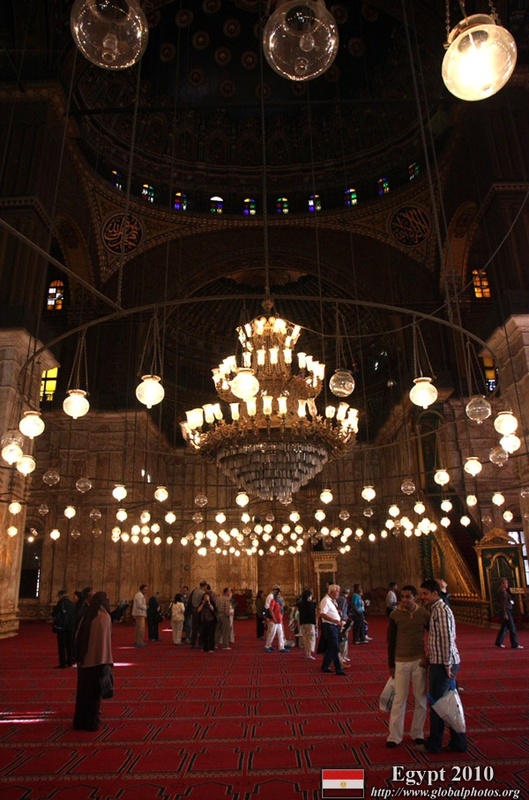 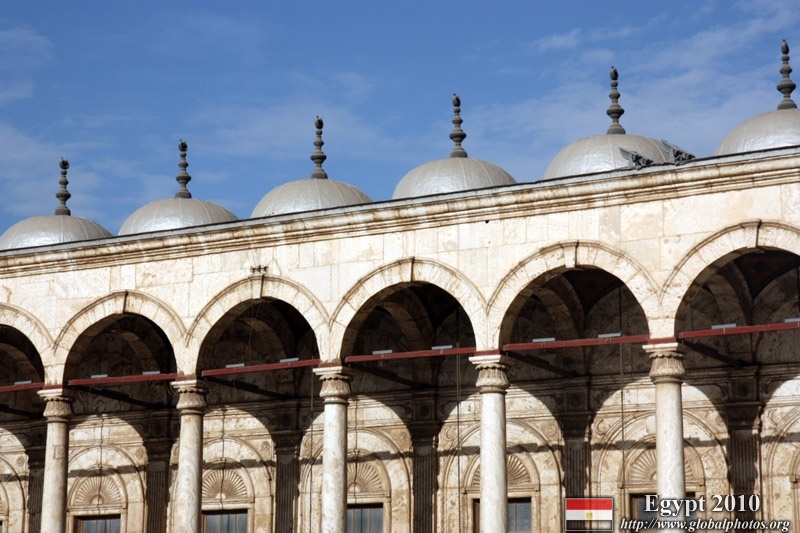 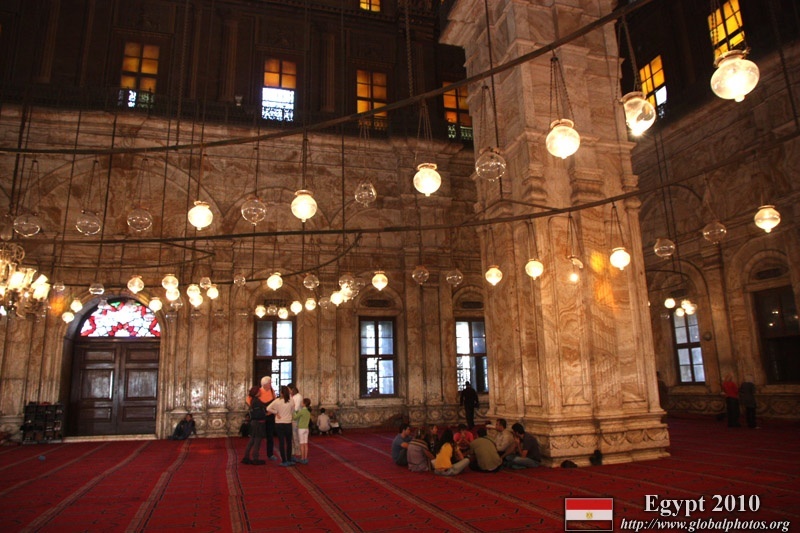 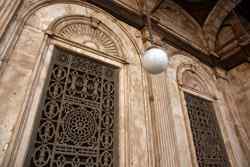 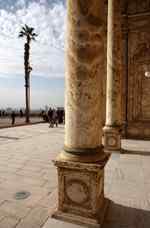 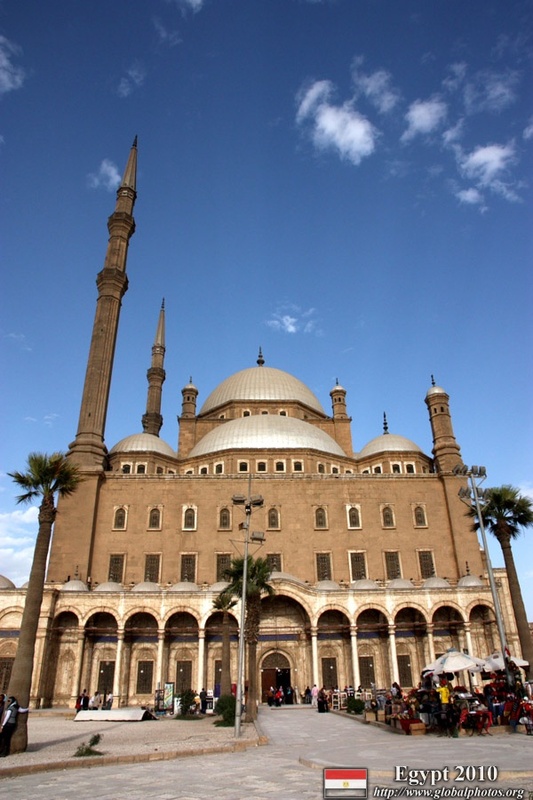 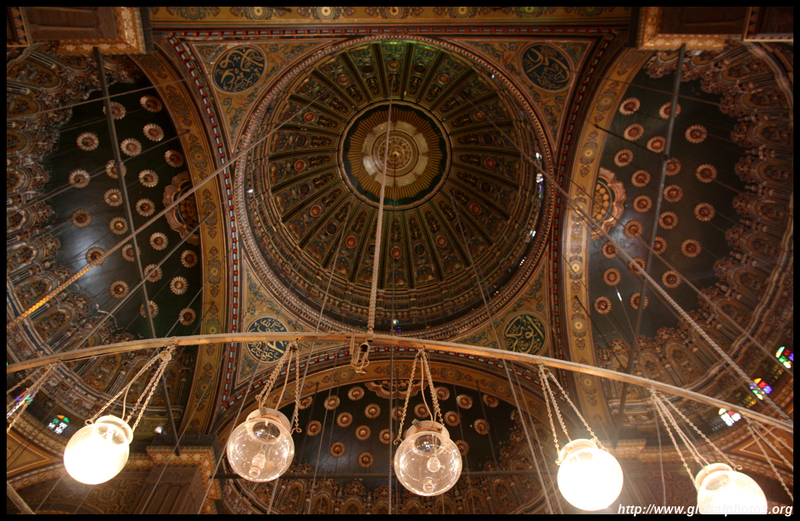 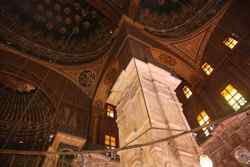 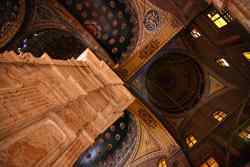 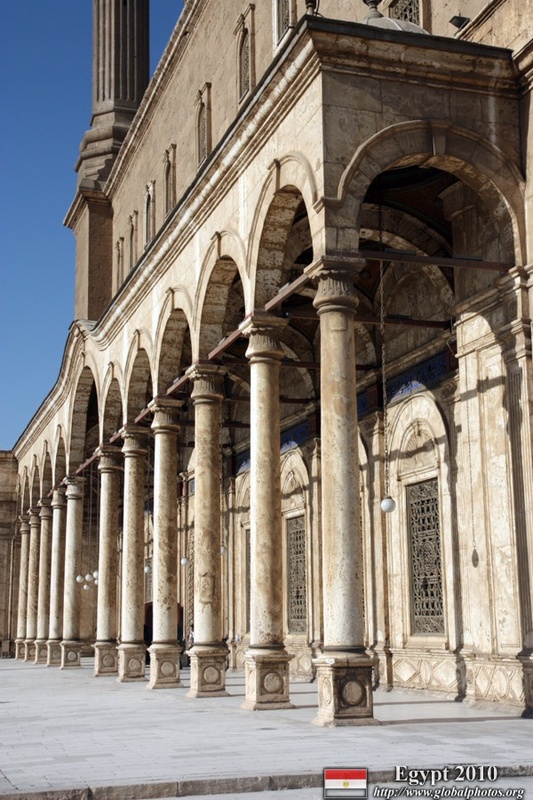 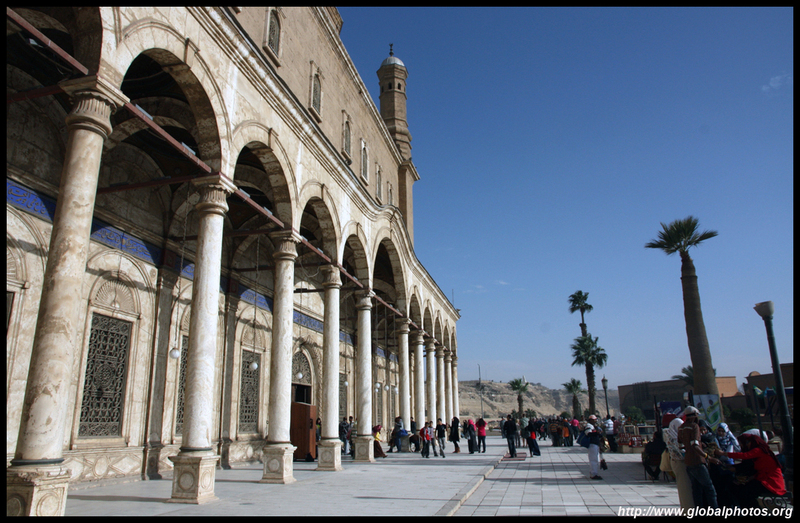 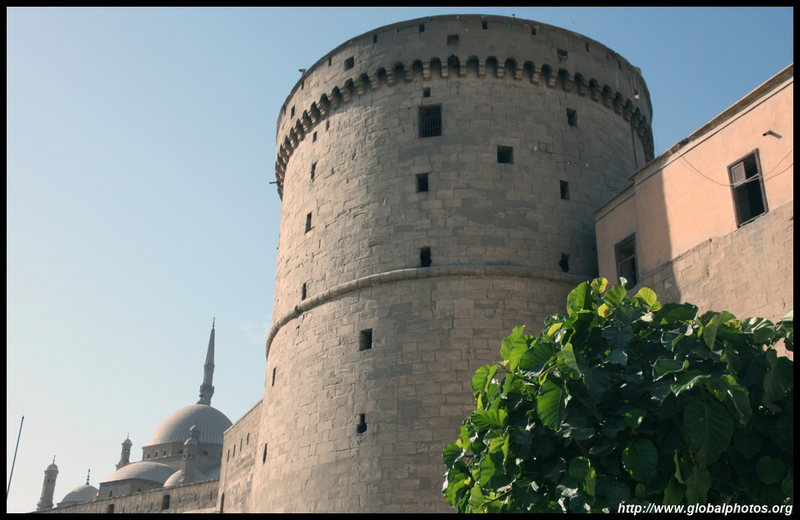 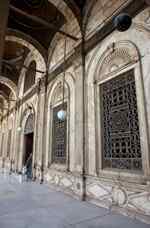 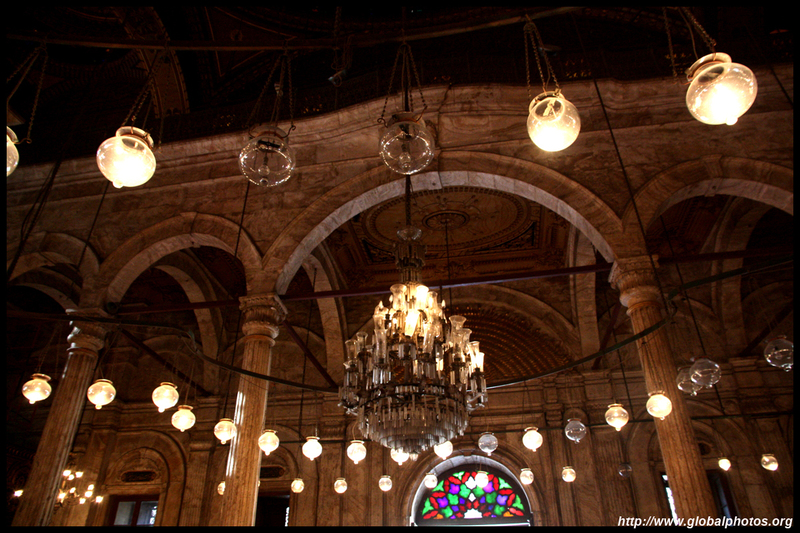 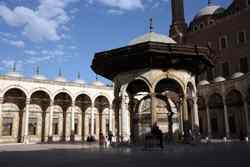 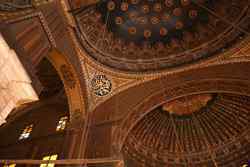 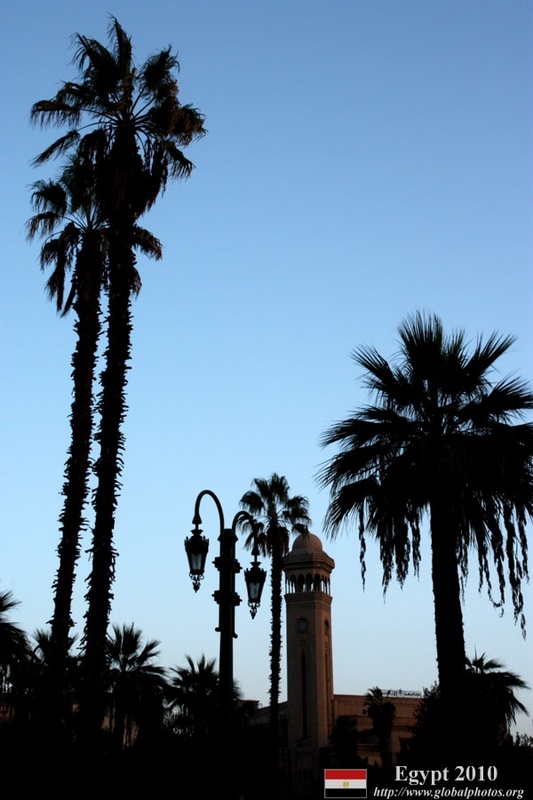 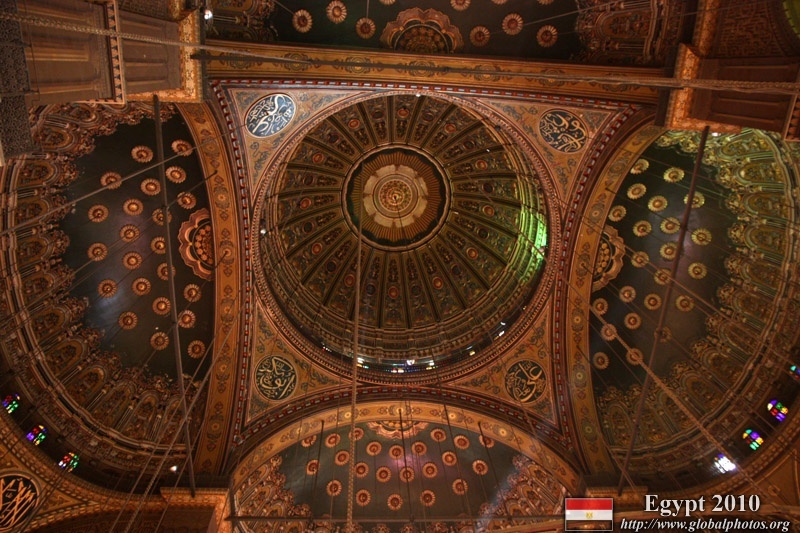 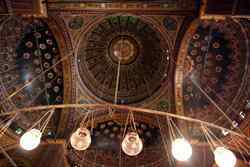 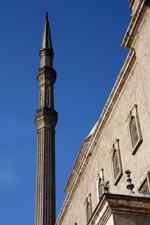 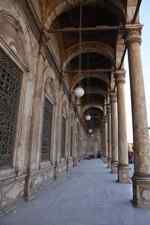 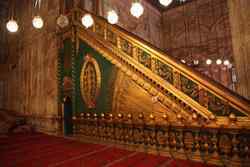 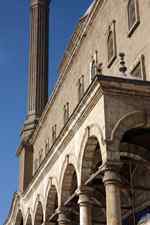 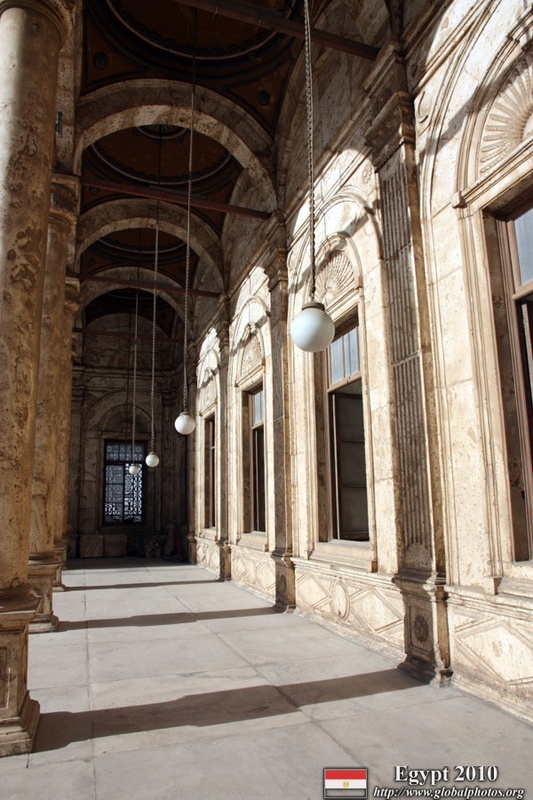 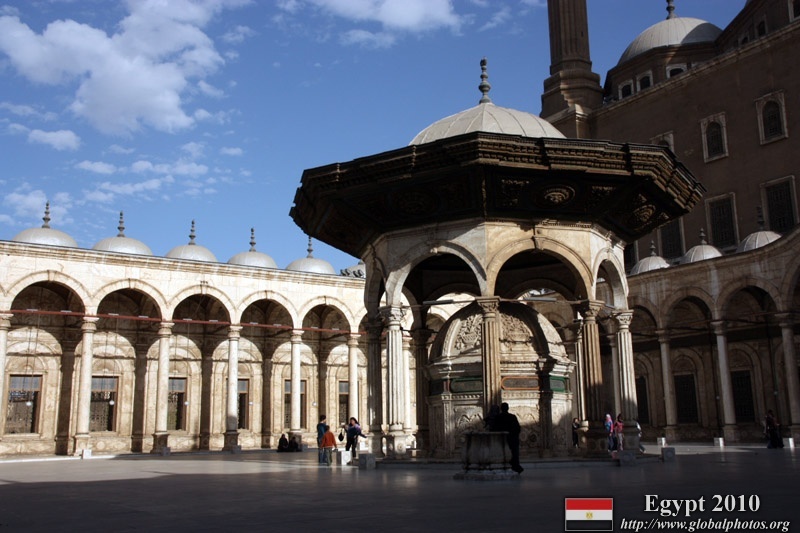 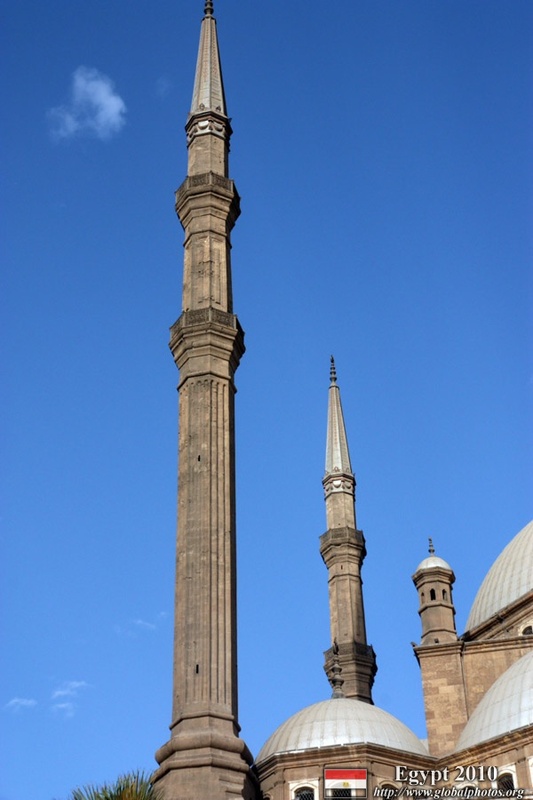 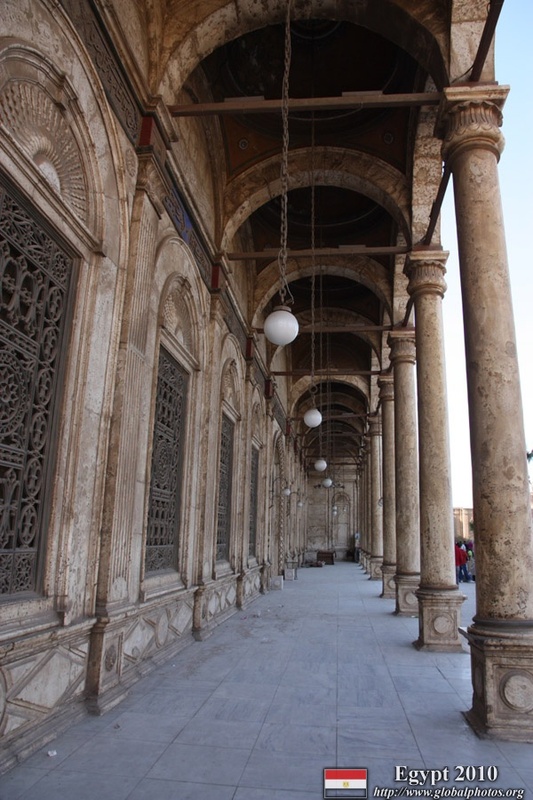 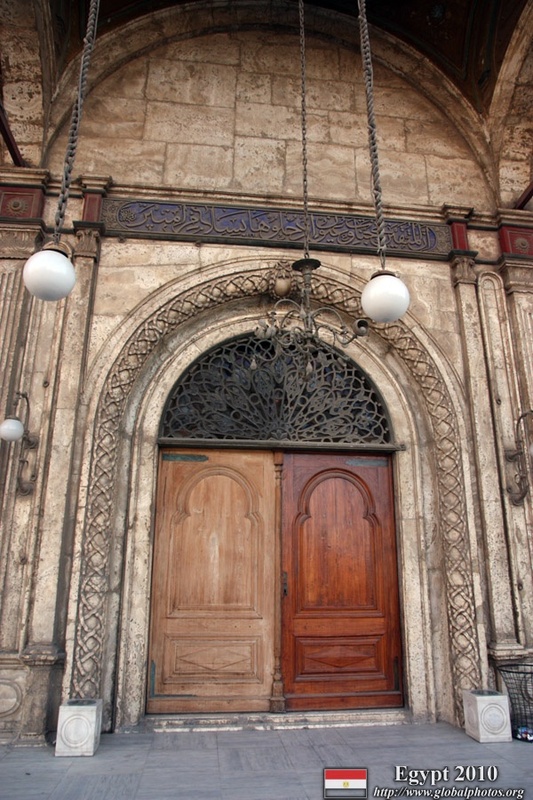 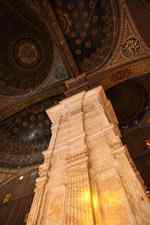 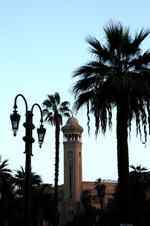 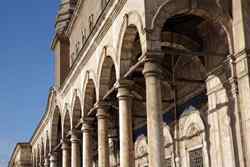 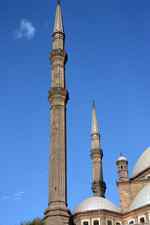 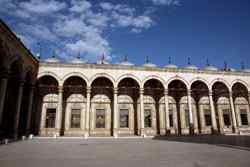 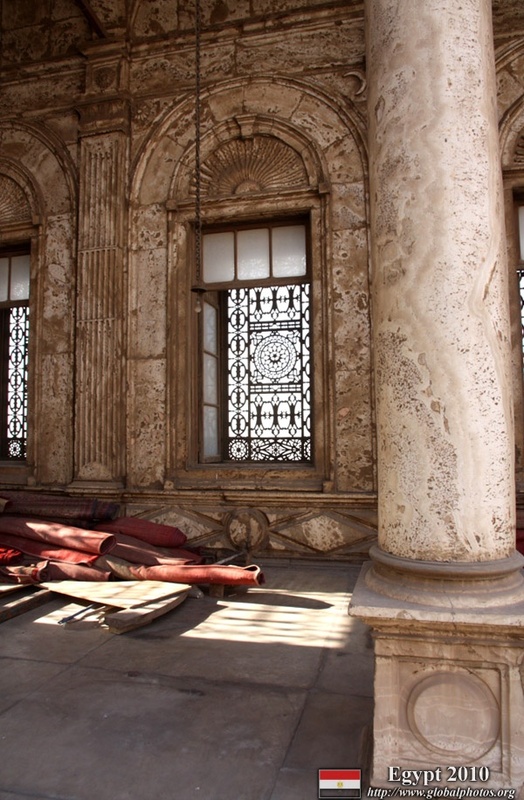 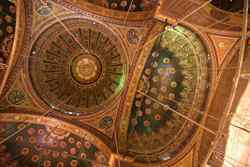 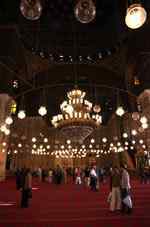 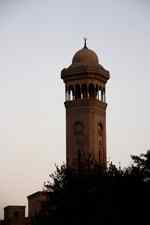 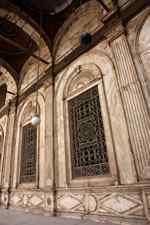 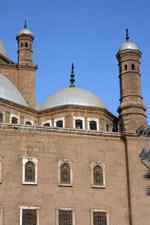 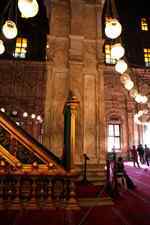 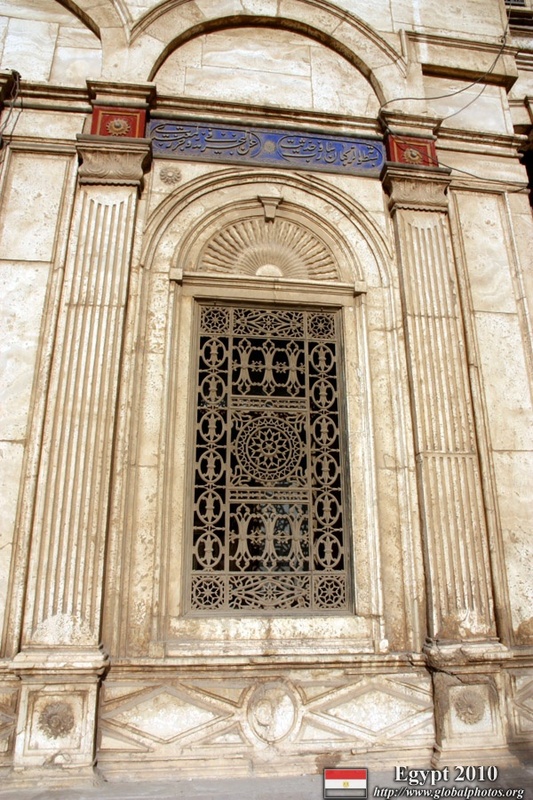 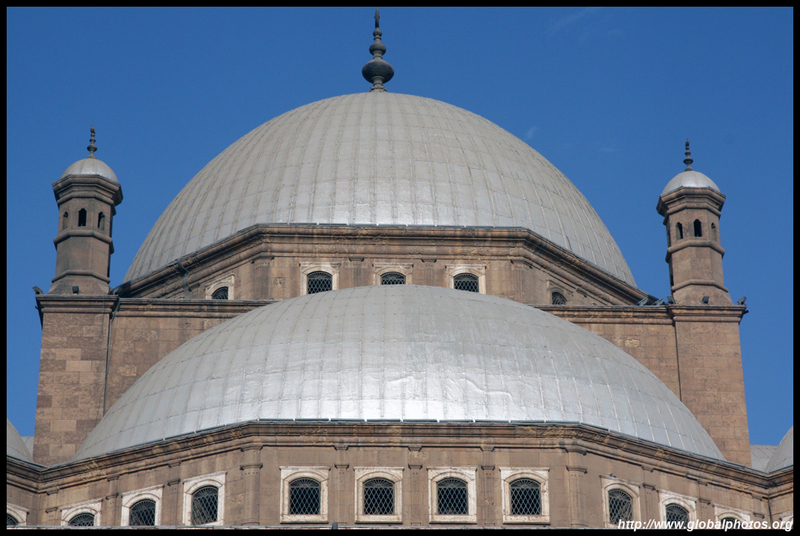 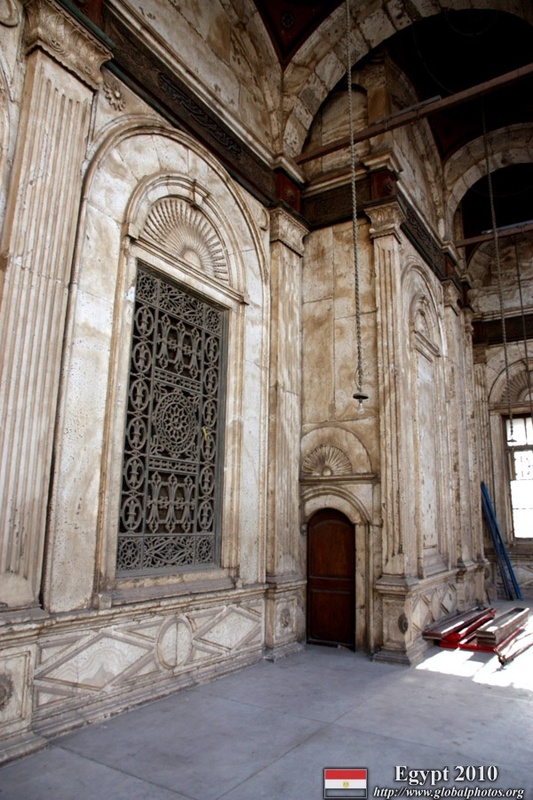 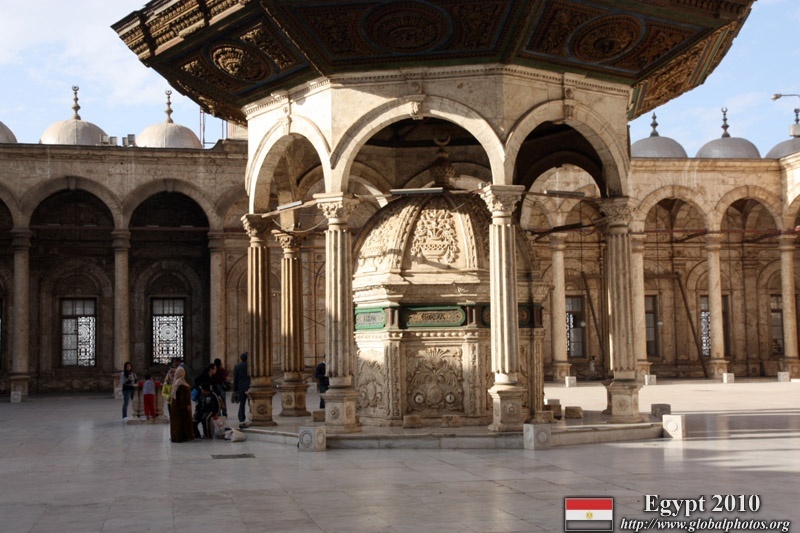 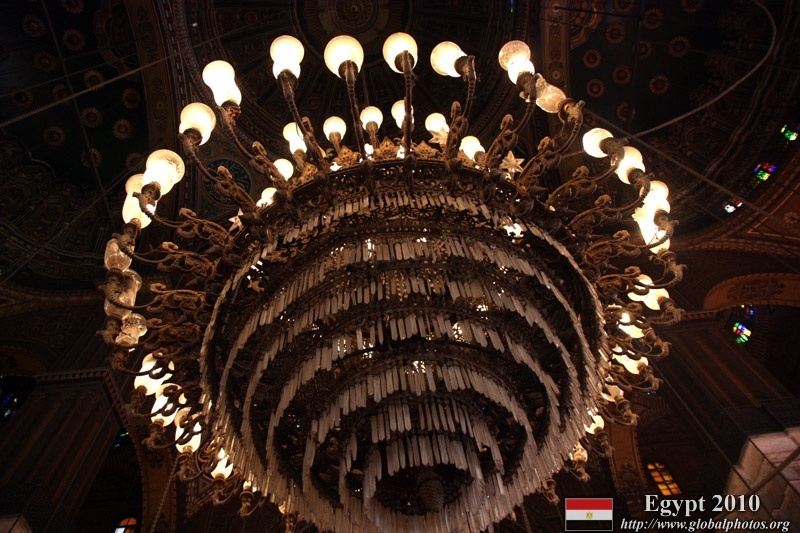 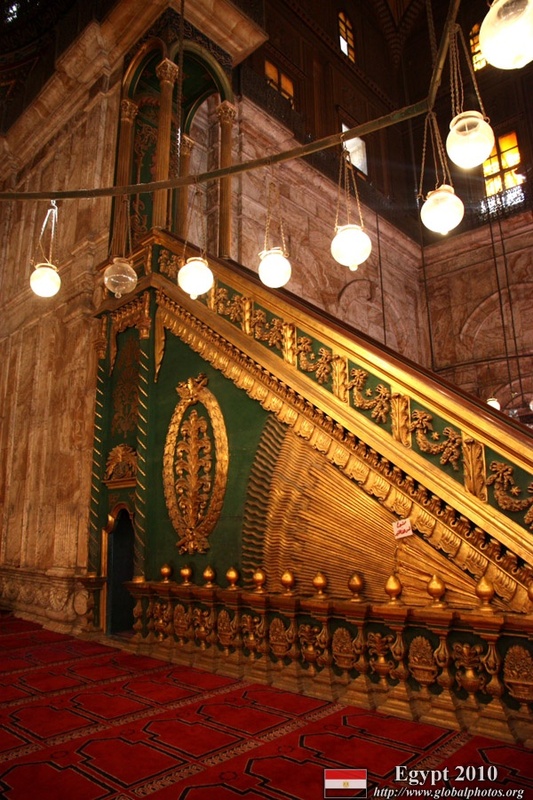 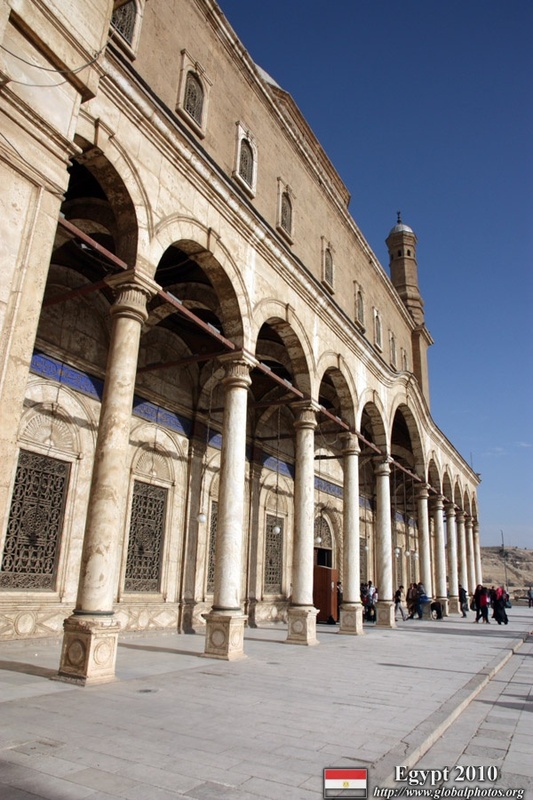 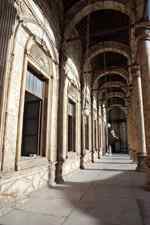 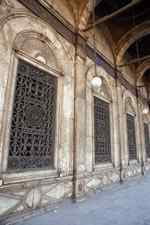 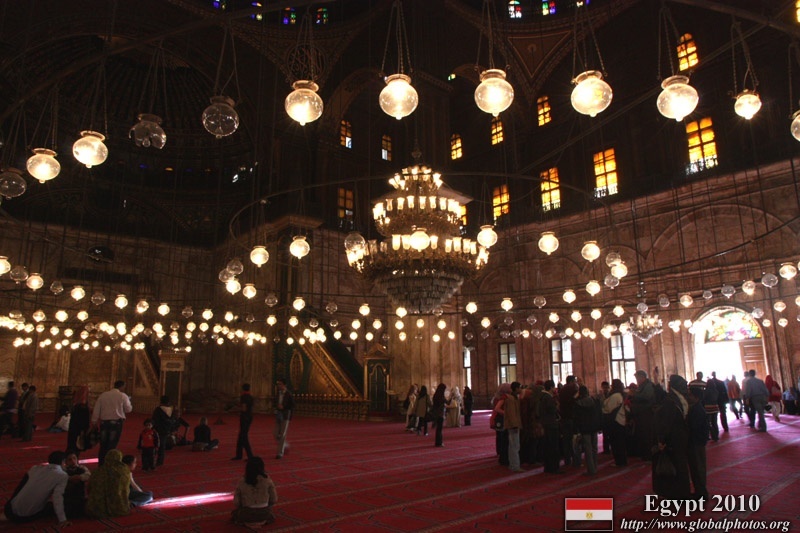 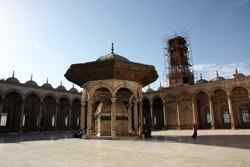 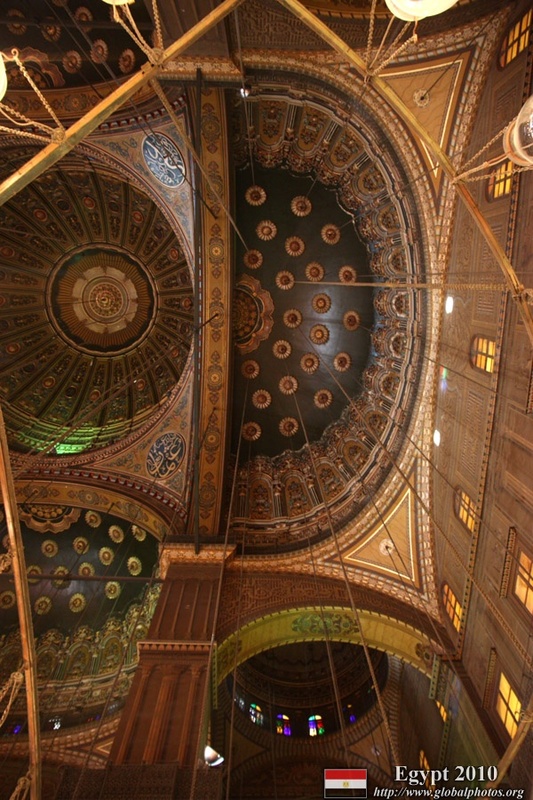 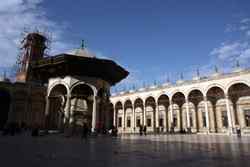 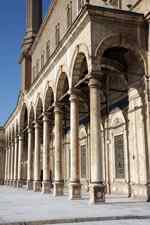 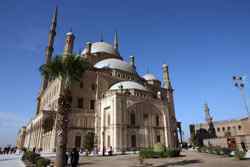 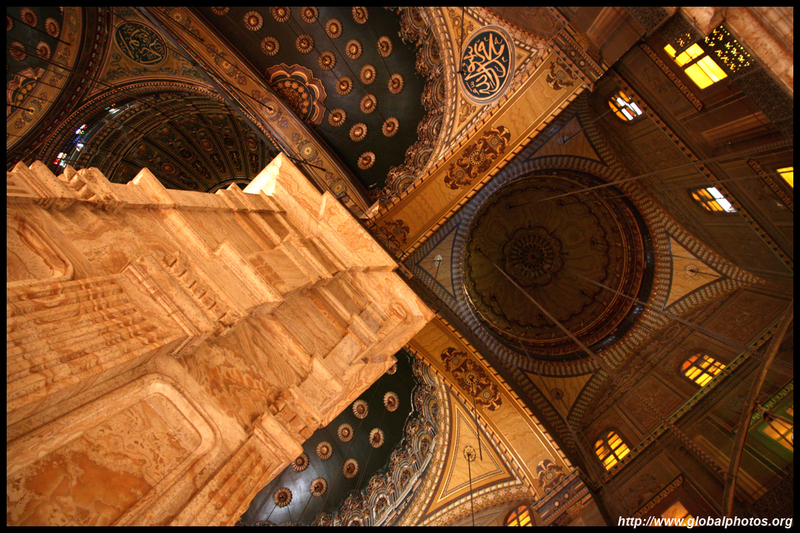 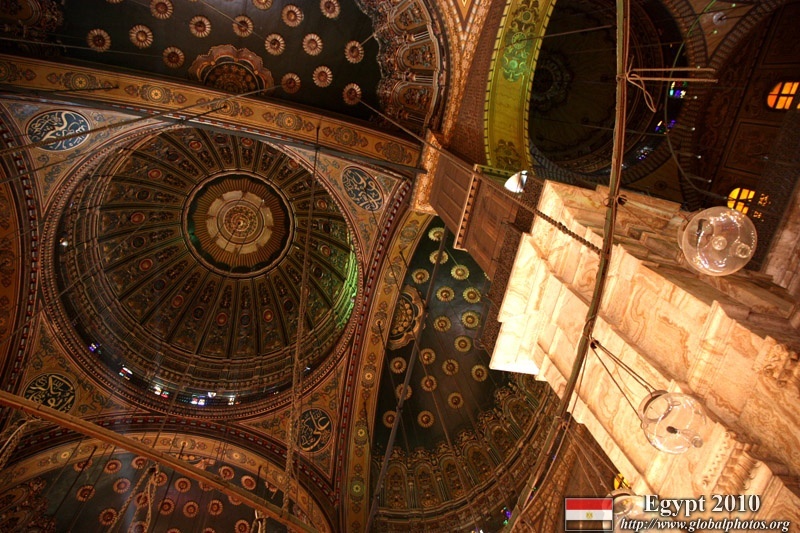 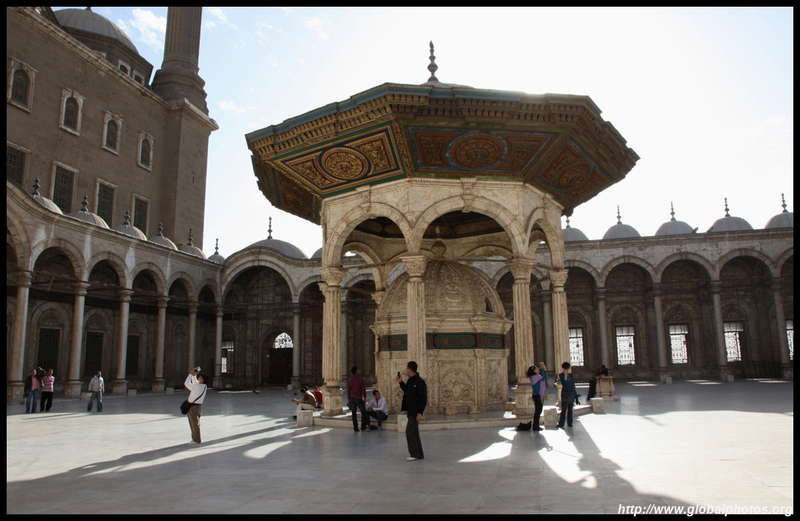 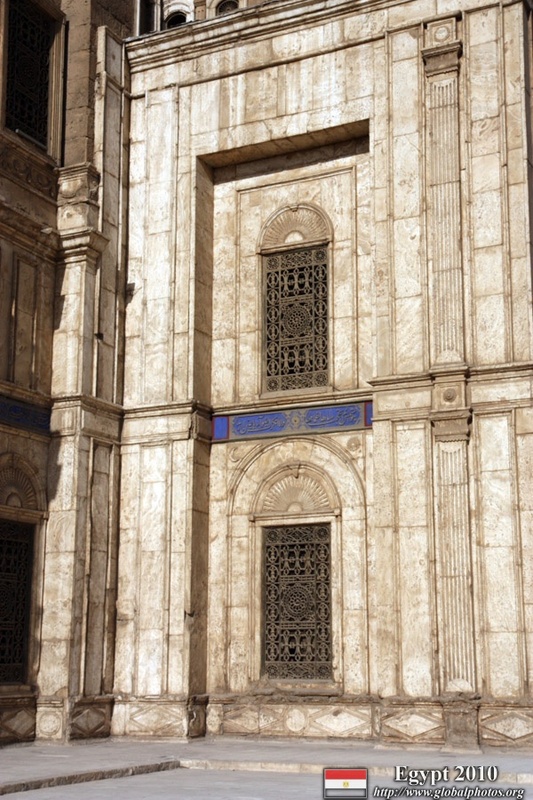 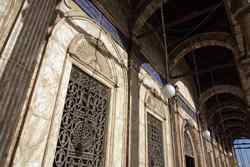 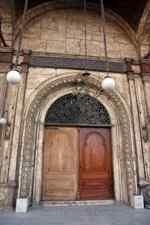 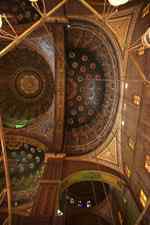 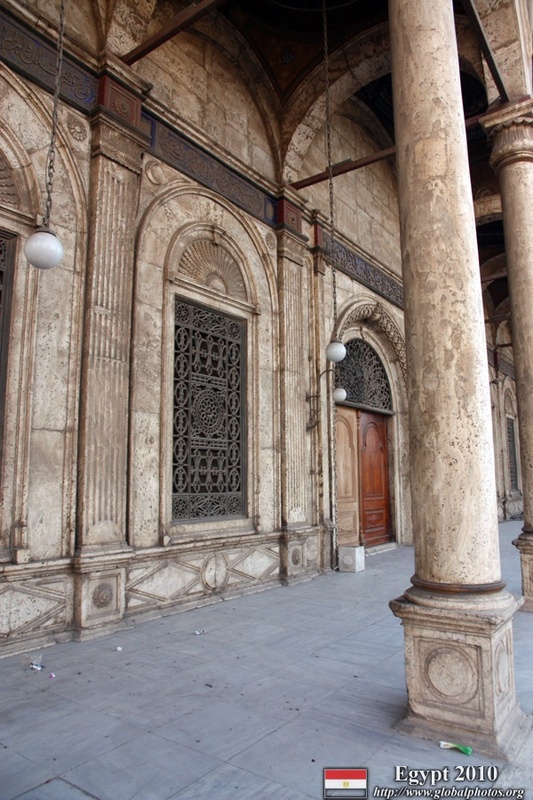 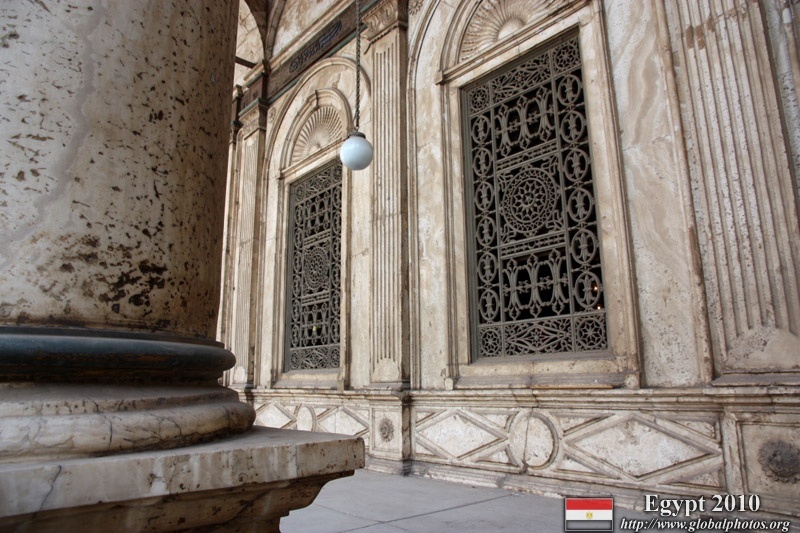 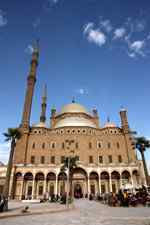 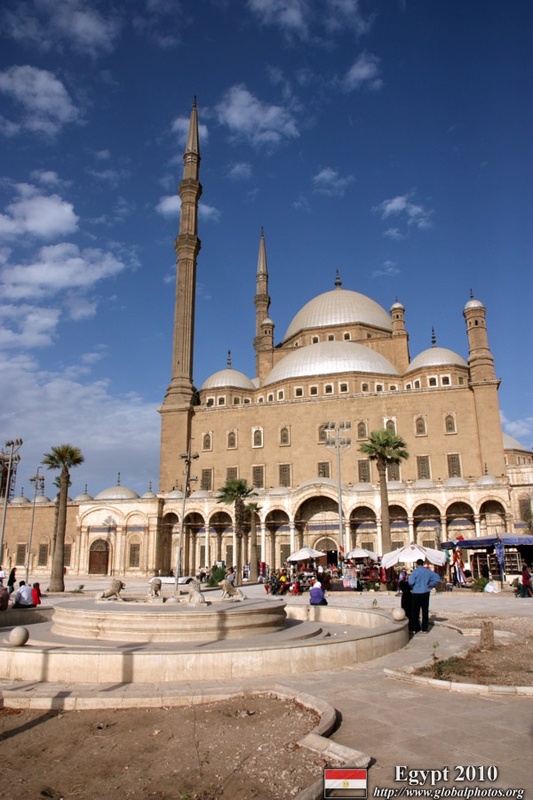 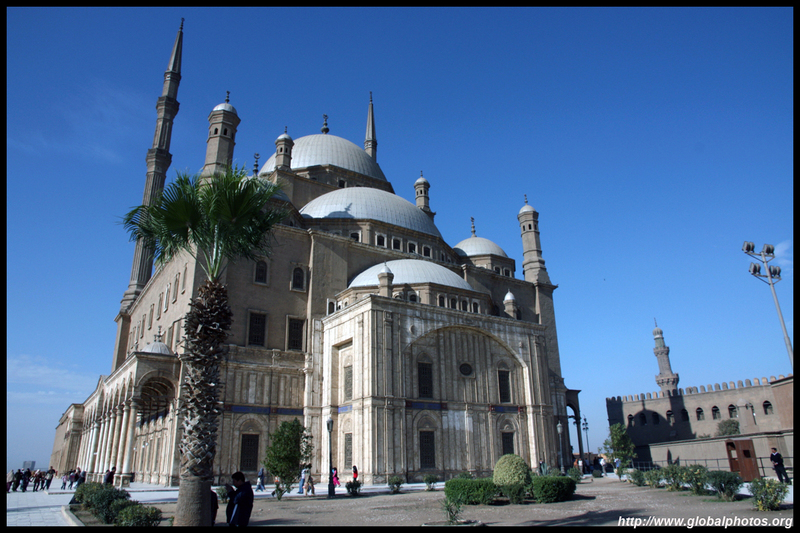 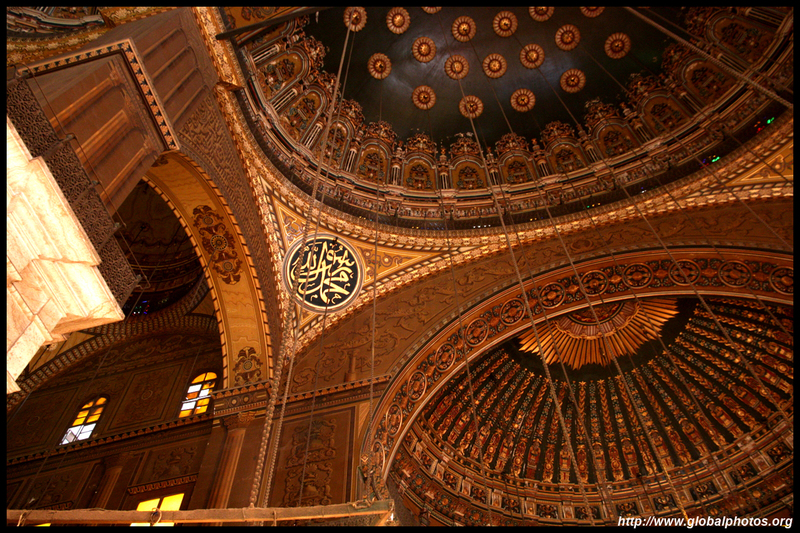 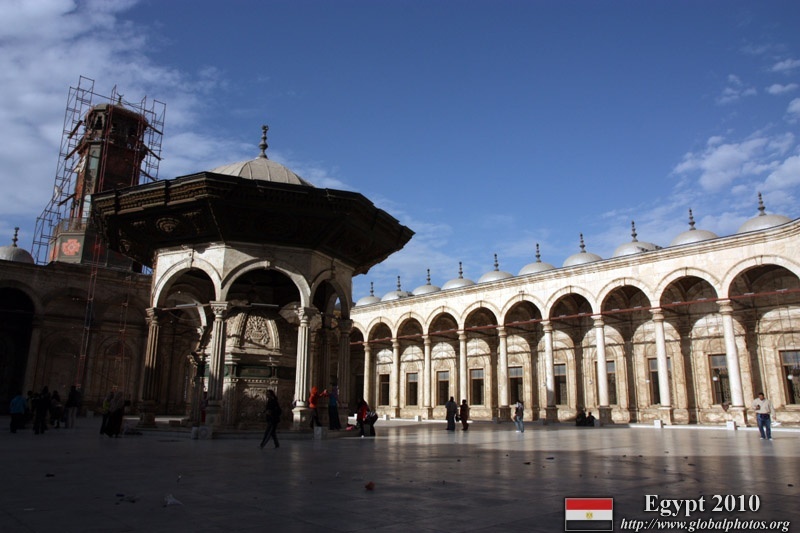 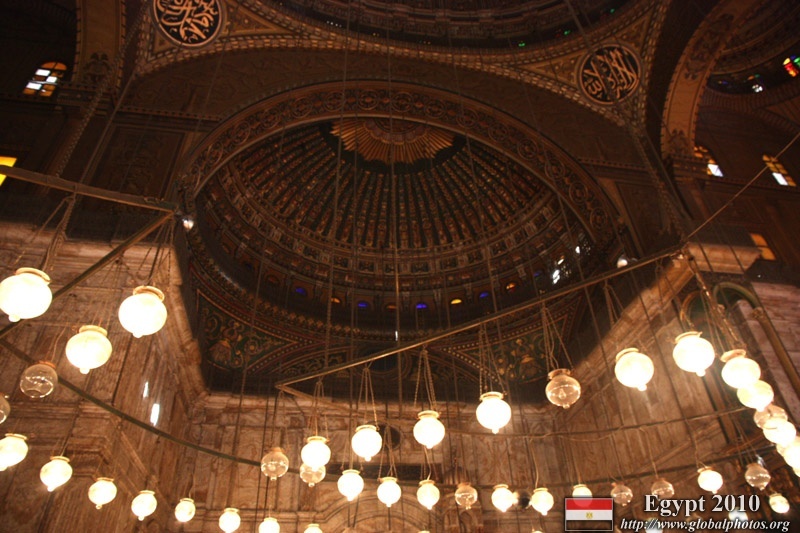 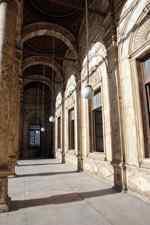 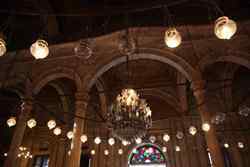 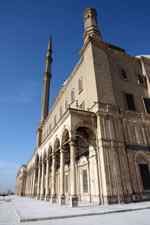 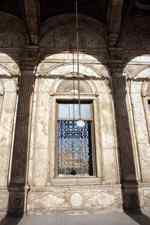 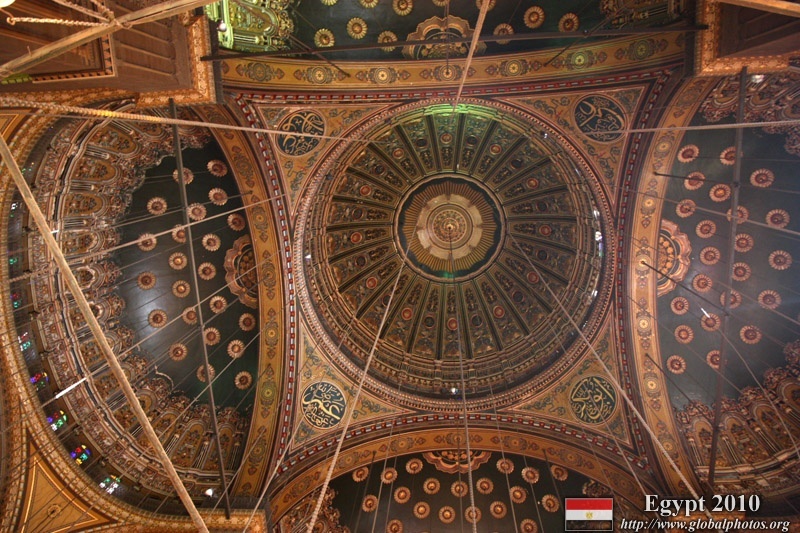 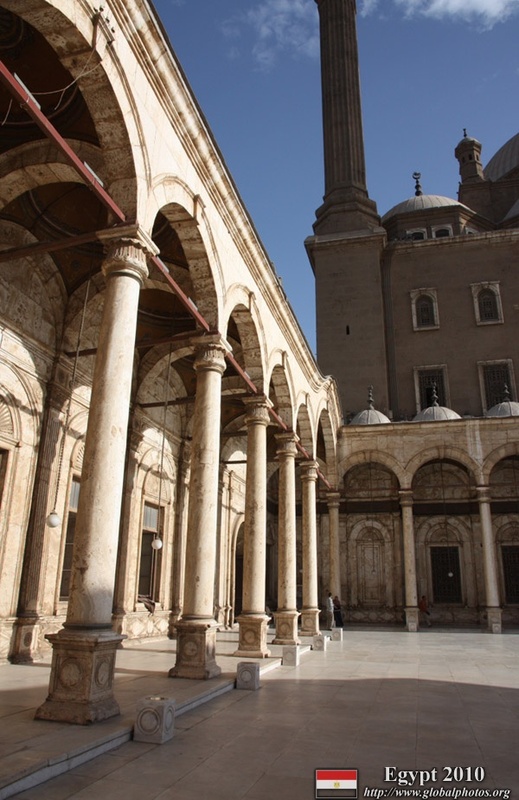 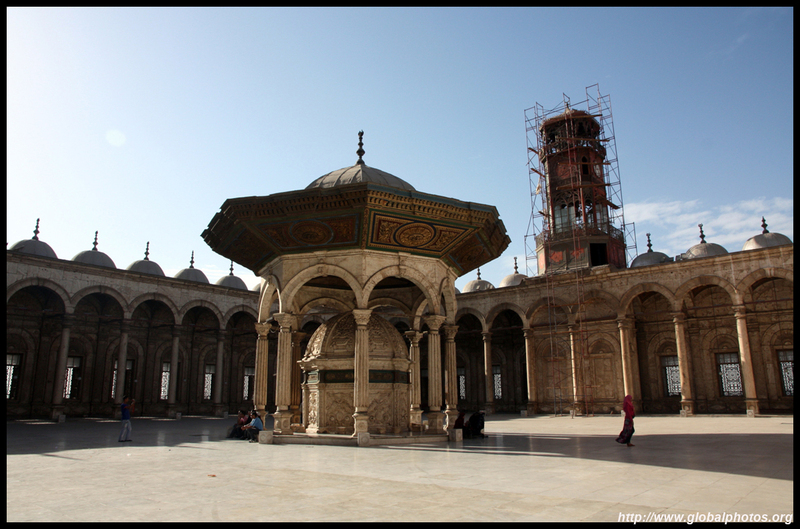 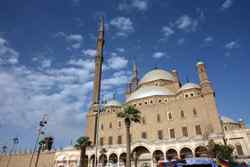 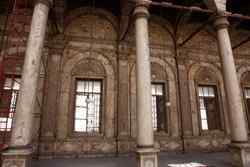 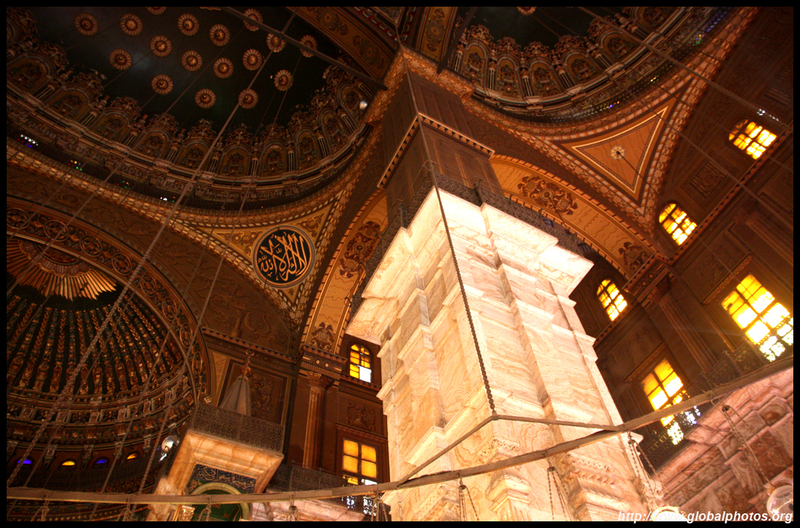 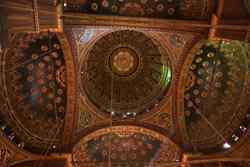 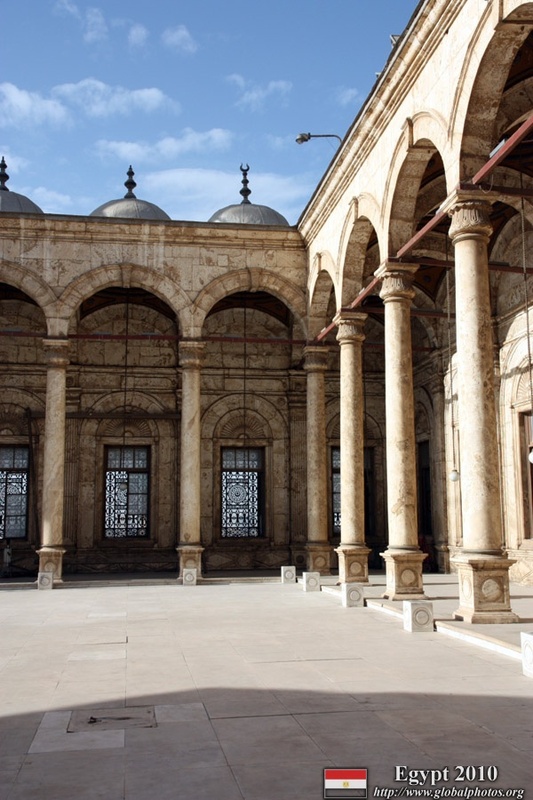 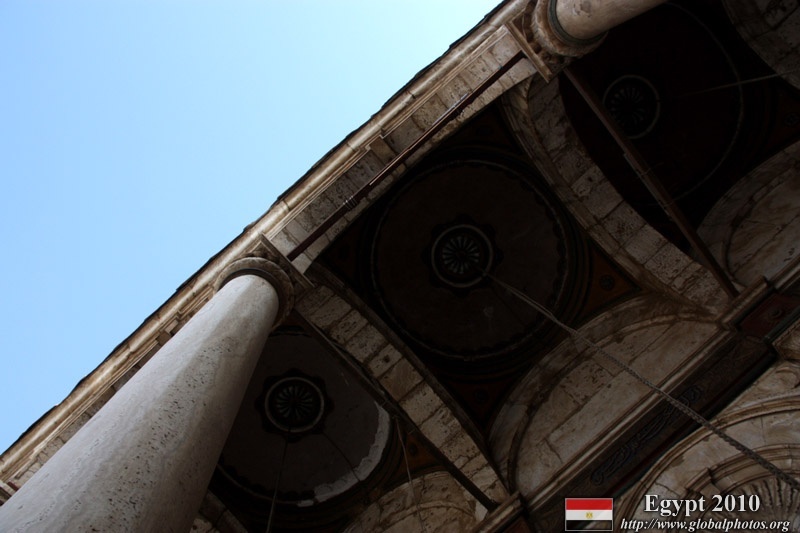 The Mohamed Ali Mosque features a large Ottoman dome, and its courtyard provides a panoramic view of the city. 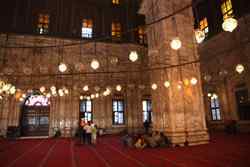 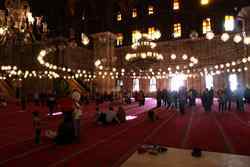 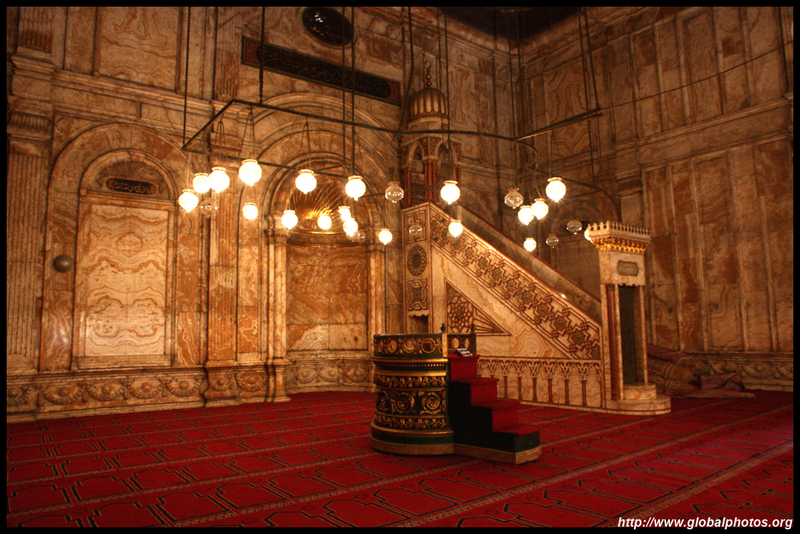 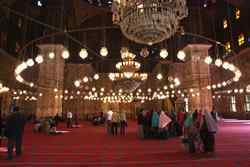 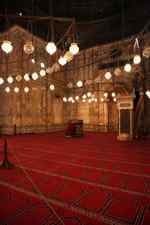 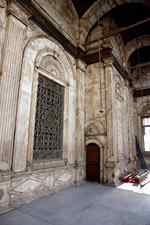 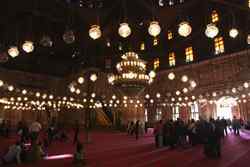 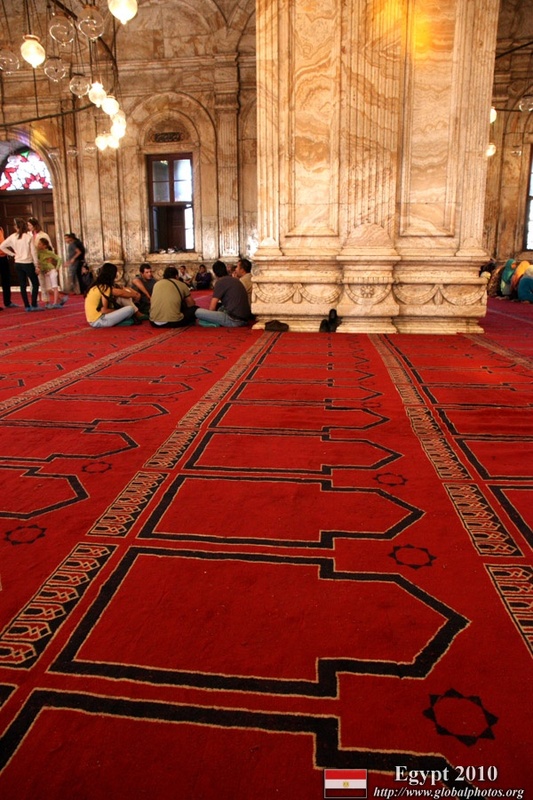 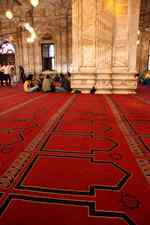 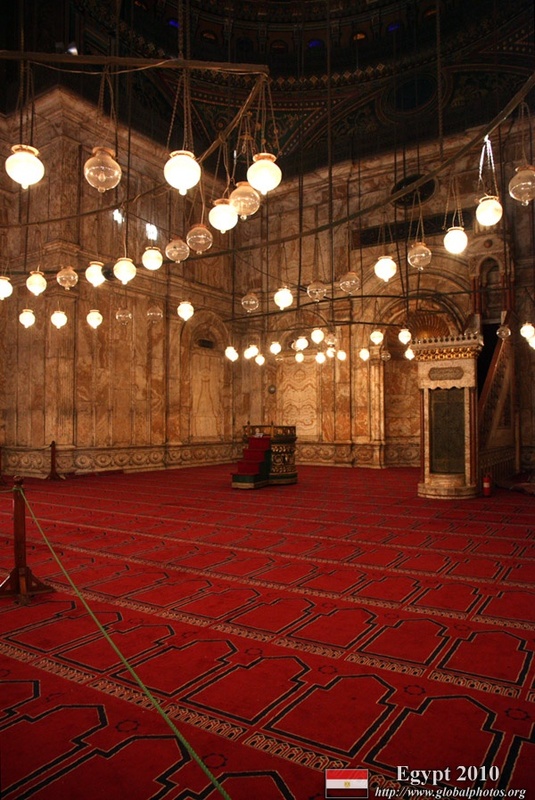 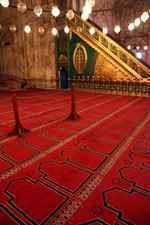 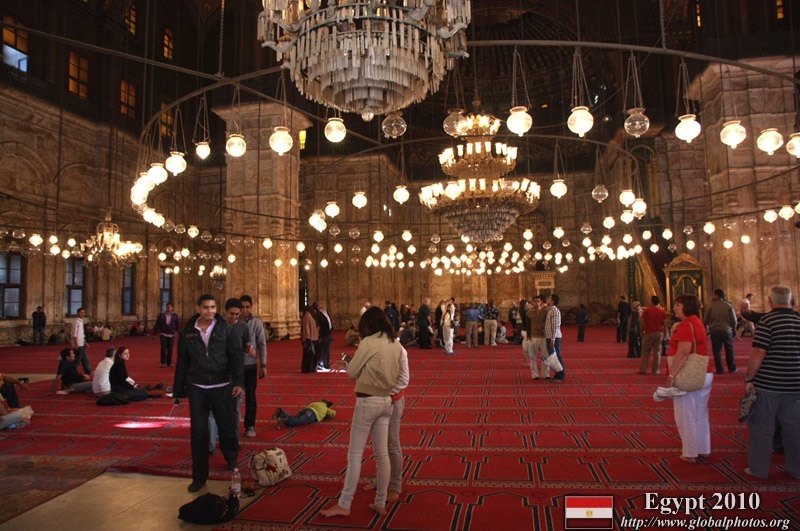 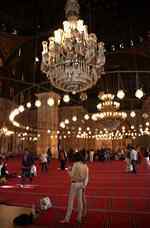 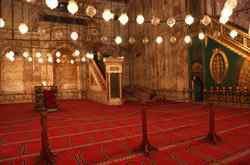 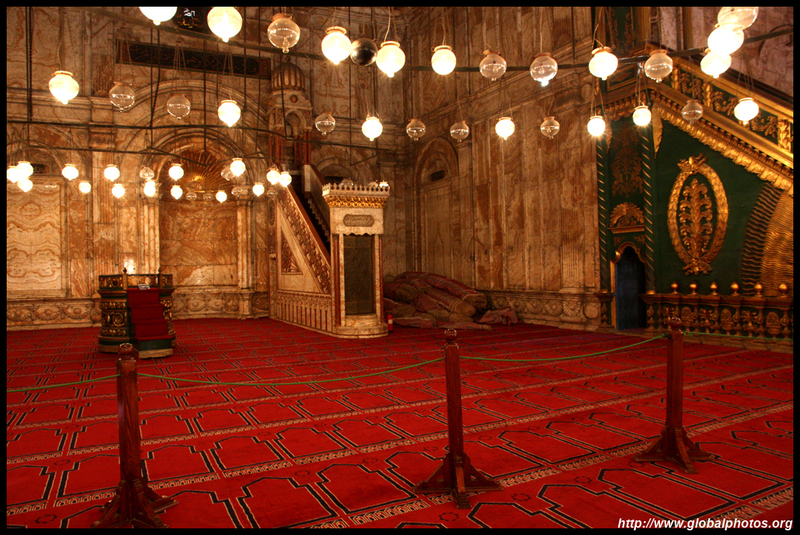 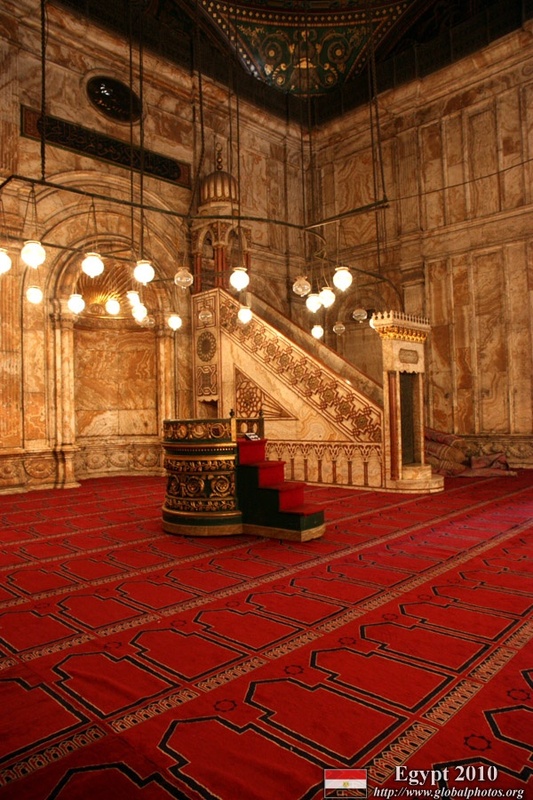 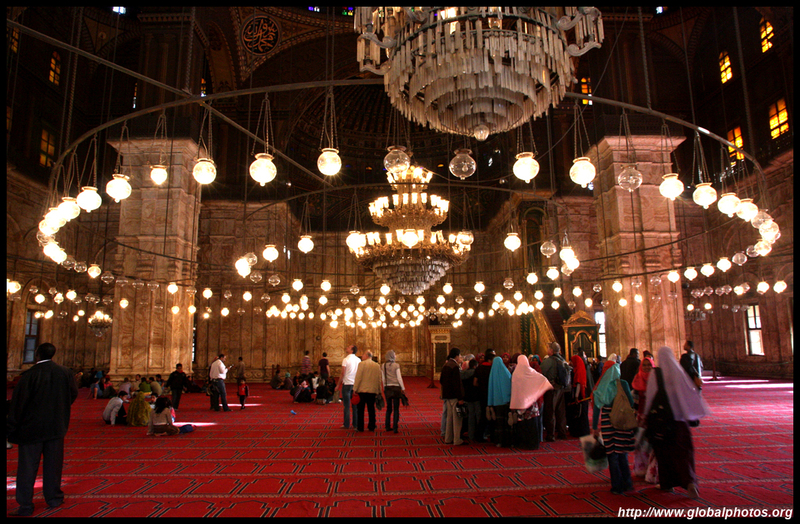 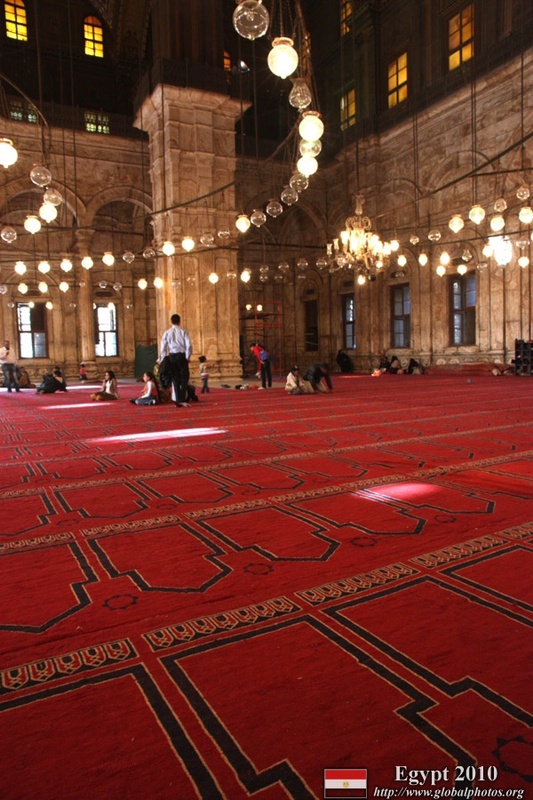 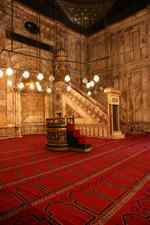 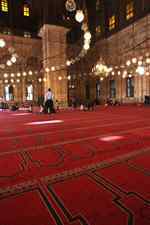 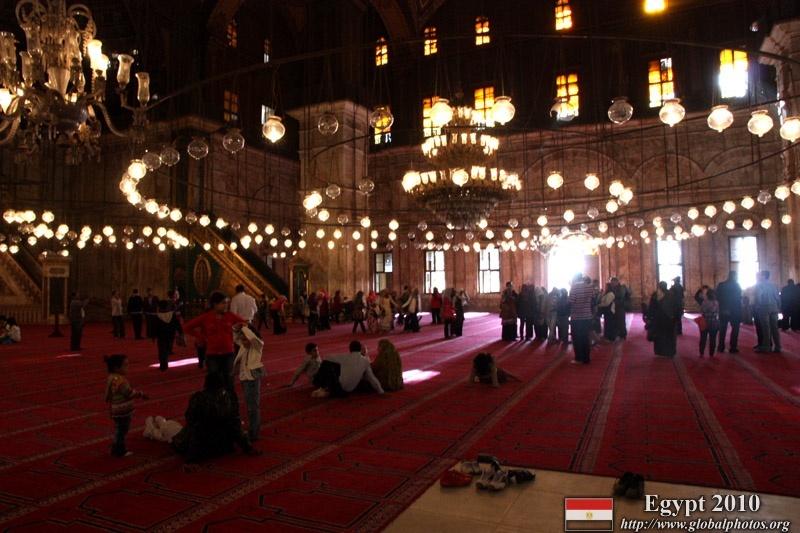 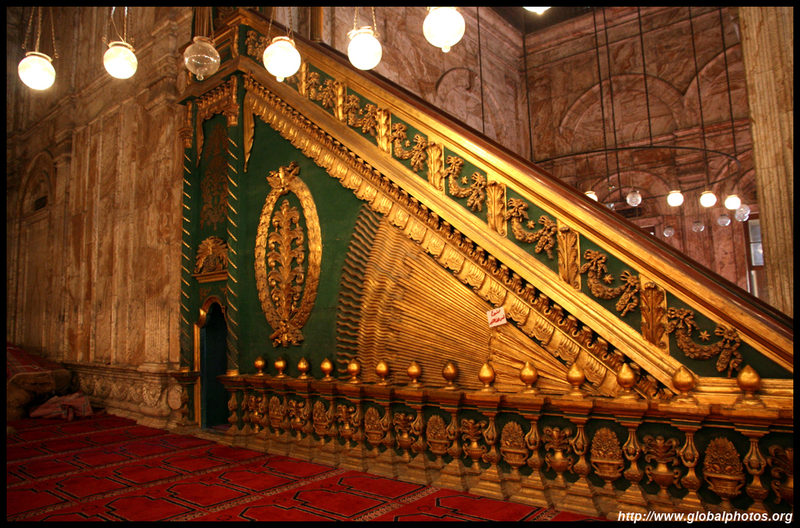 The mosque's interior is very spacious, and many have seated on the floor to converse with one another and enjoying their day. 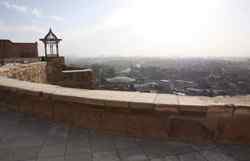 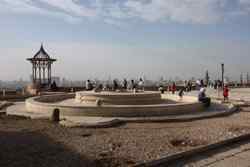 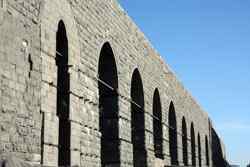 The courtyard perches along the escarpment, and overlooks the city. 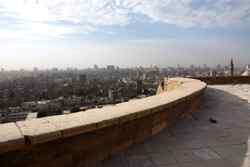 Too bad the edge was sealed off by rope. 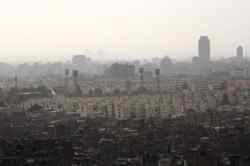 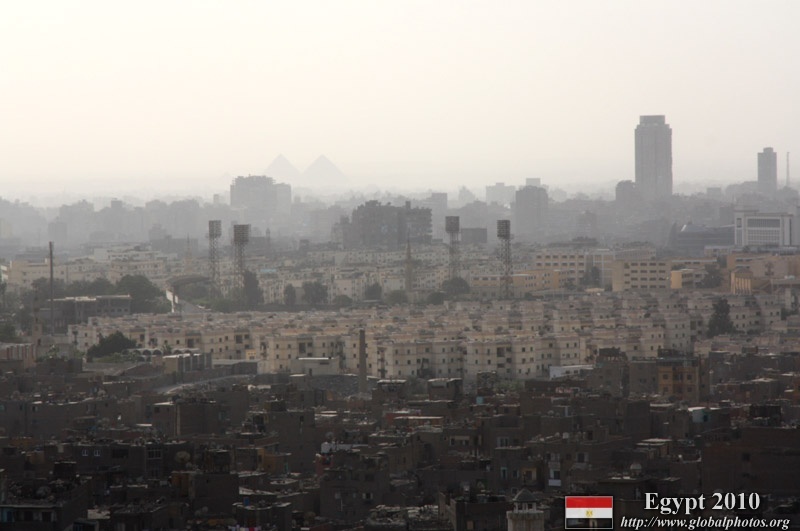 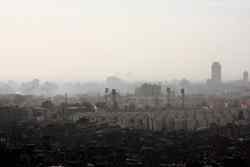 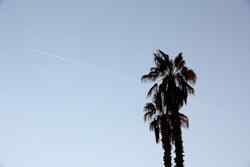 The weather was reasonably clear, and even the Pyramids at Giza were visible. 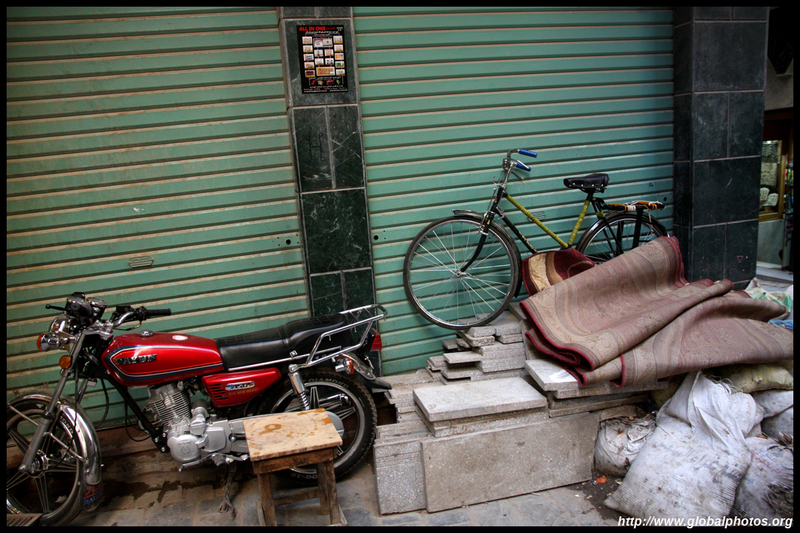 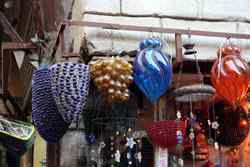 Khalili Market's alleys are busy with touts and bargaining in the air. 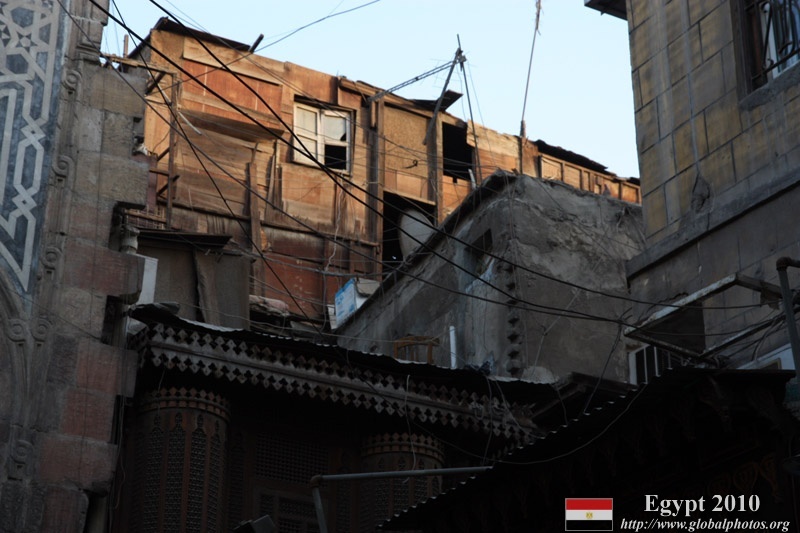 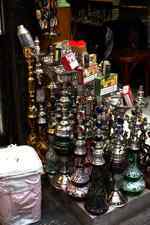 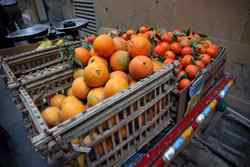 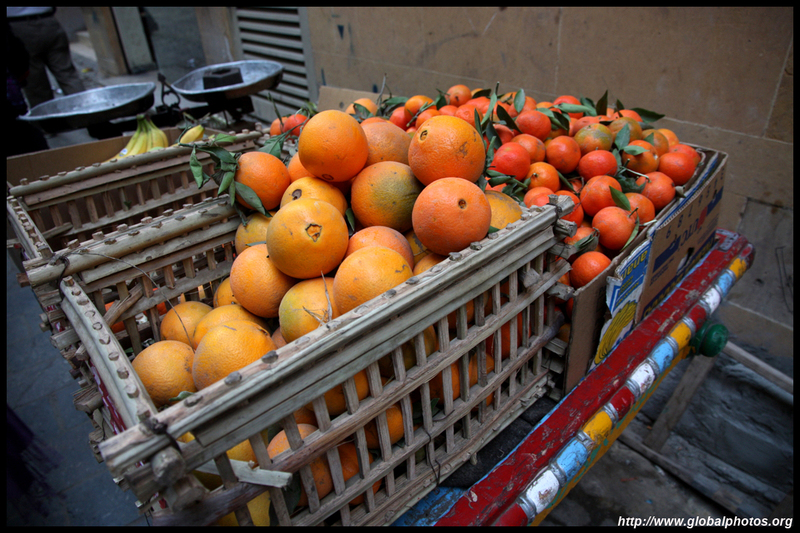 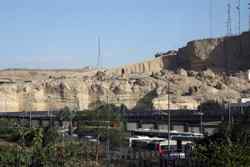 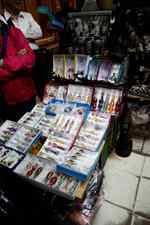 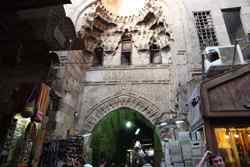 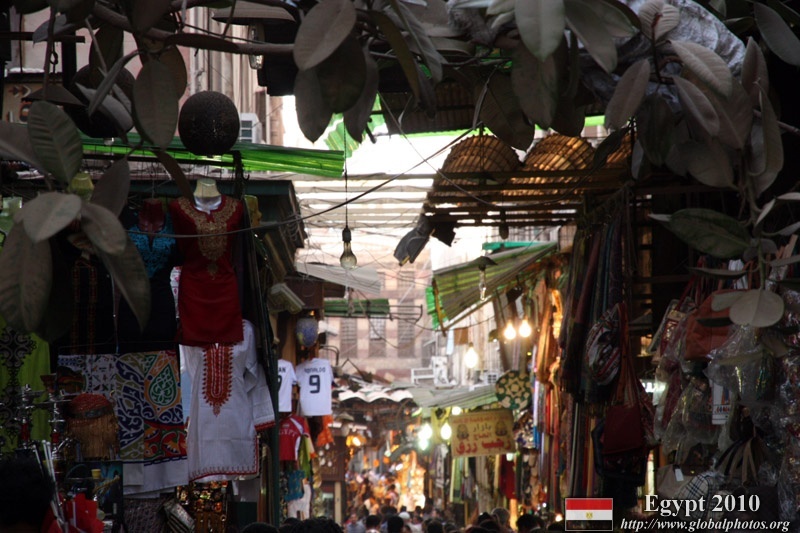 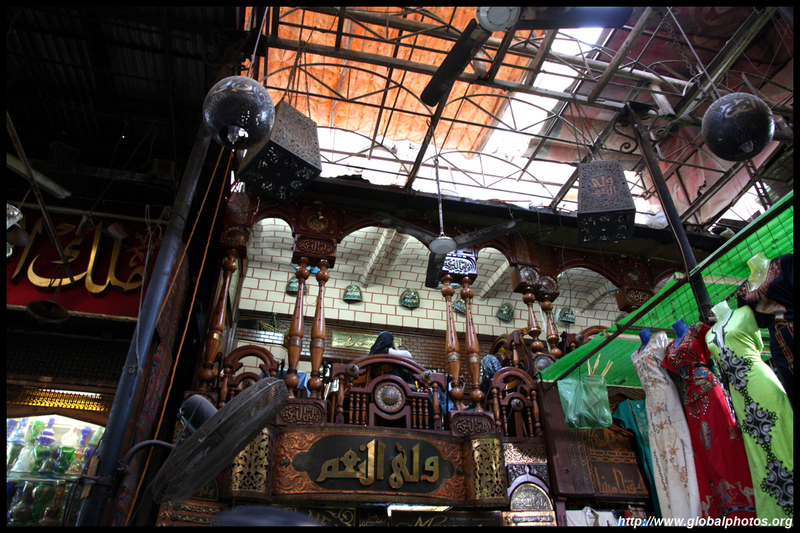 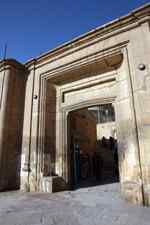 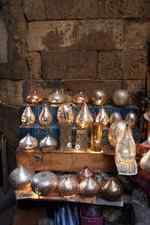 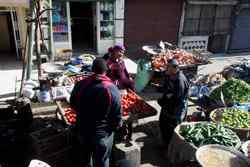 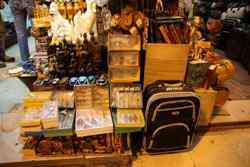 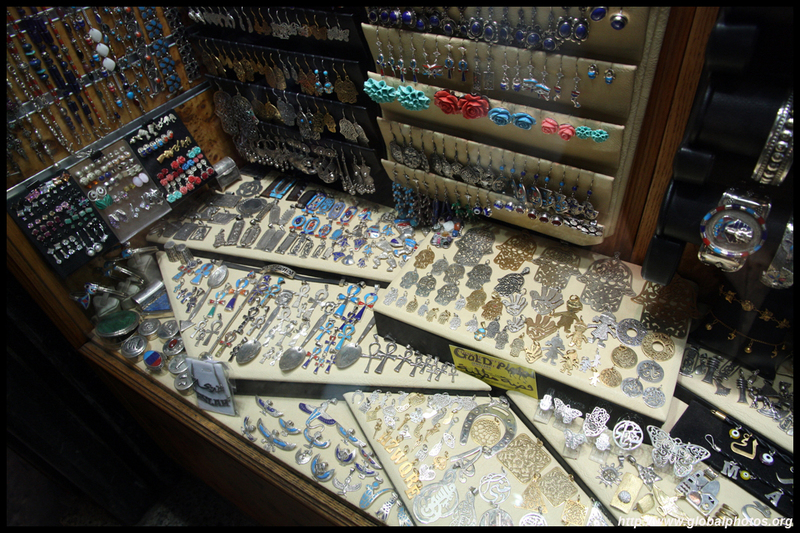 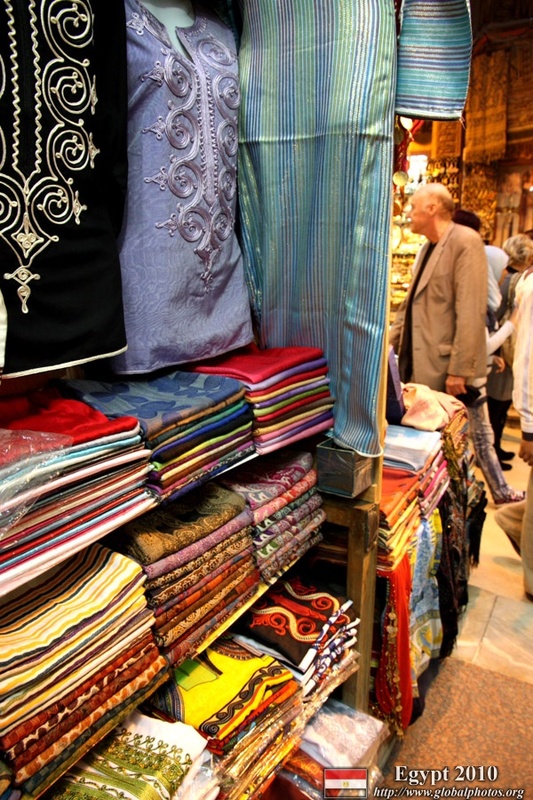 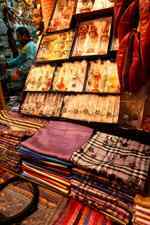 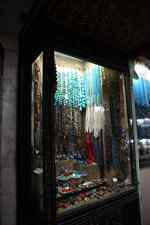 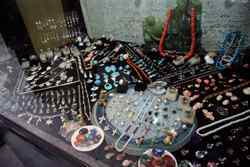 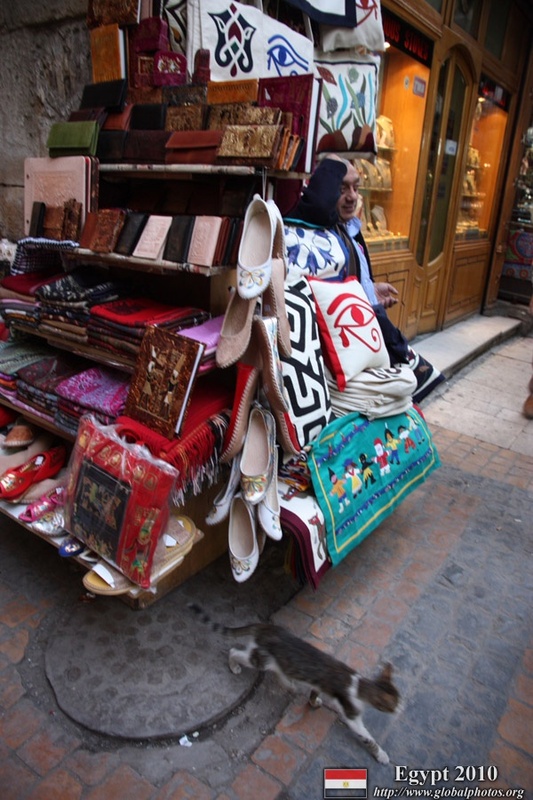 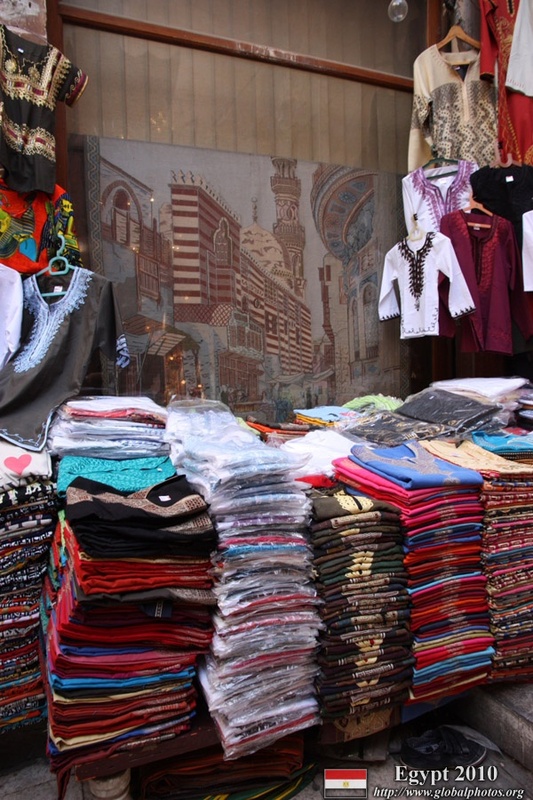 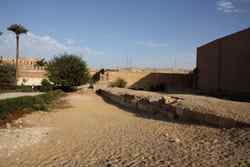 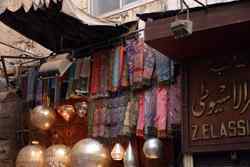 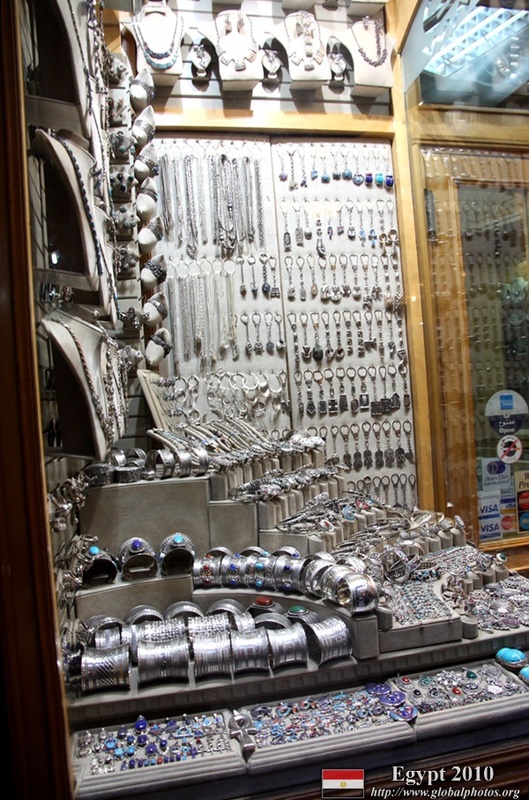 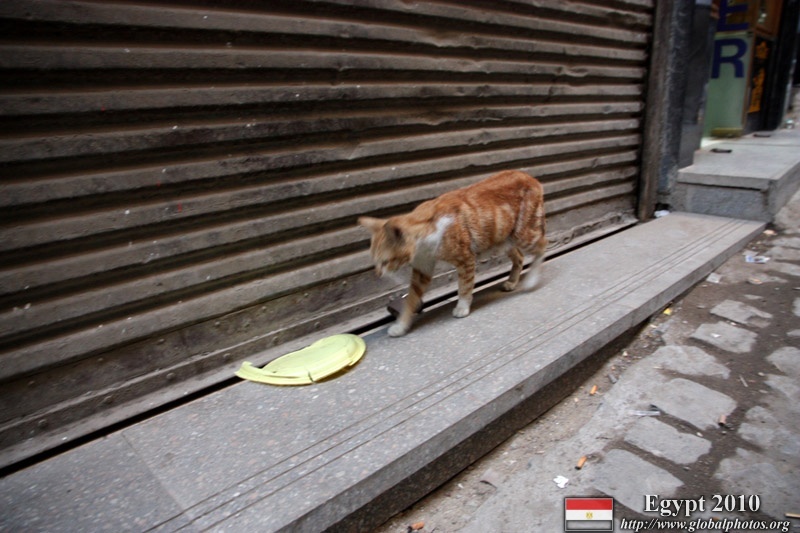 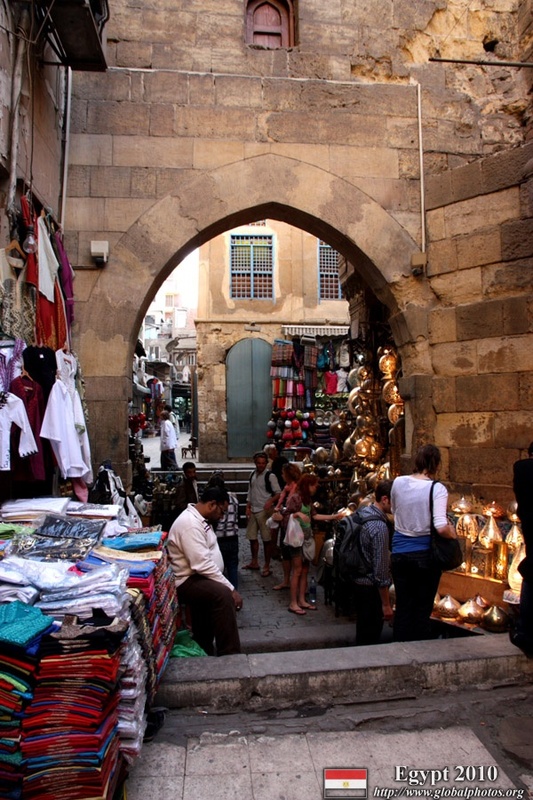 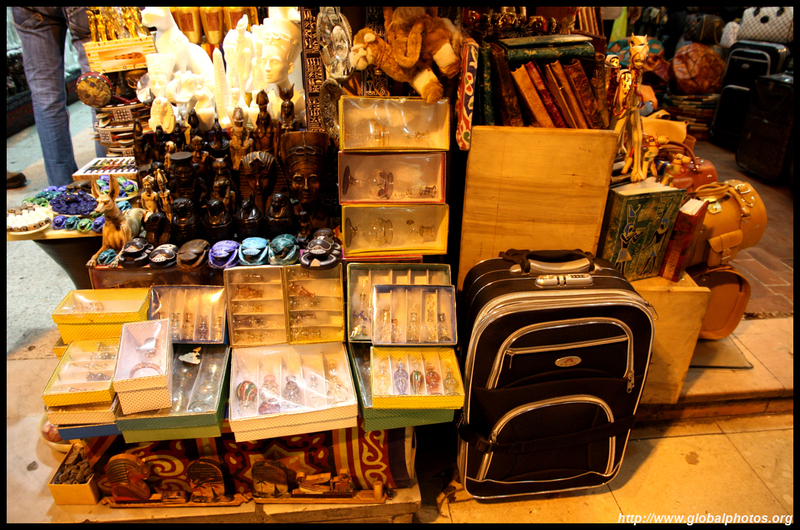 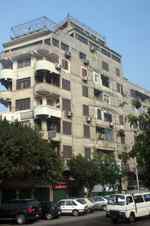 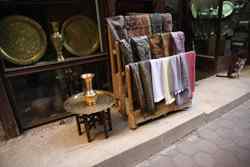 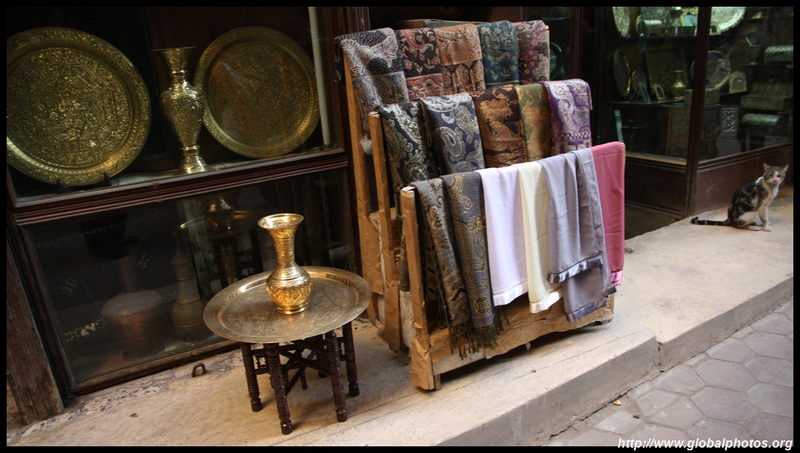 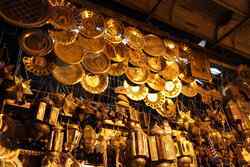 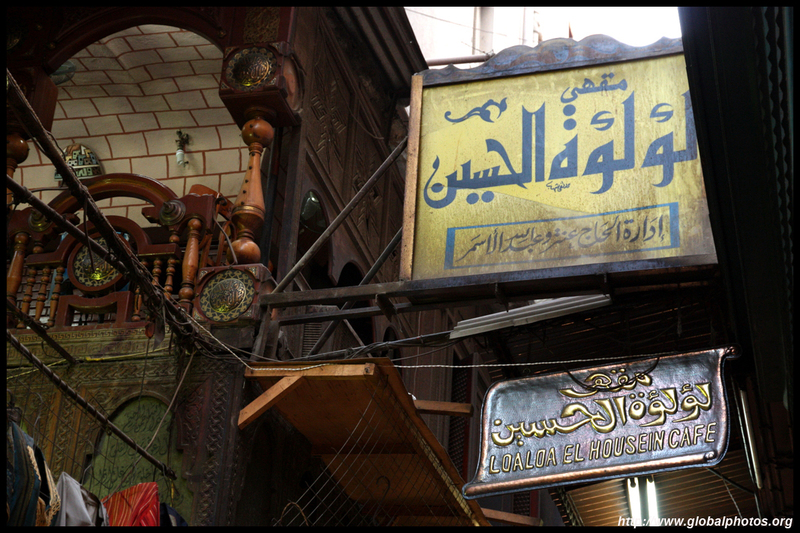 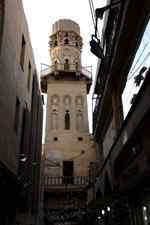 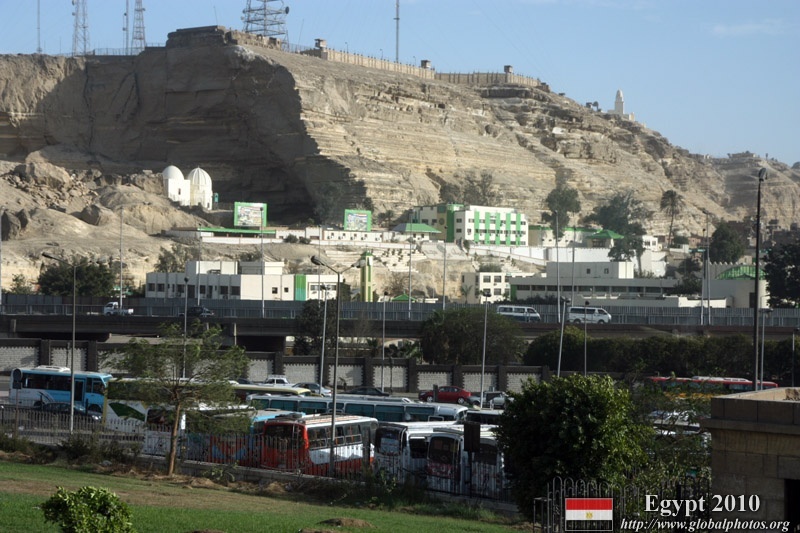 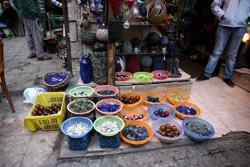 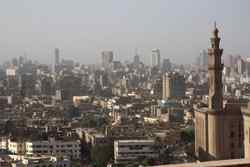 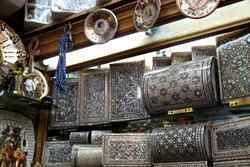 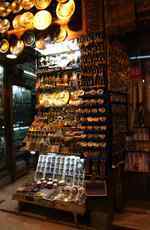 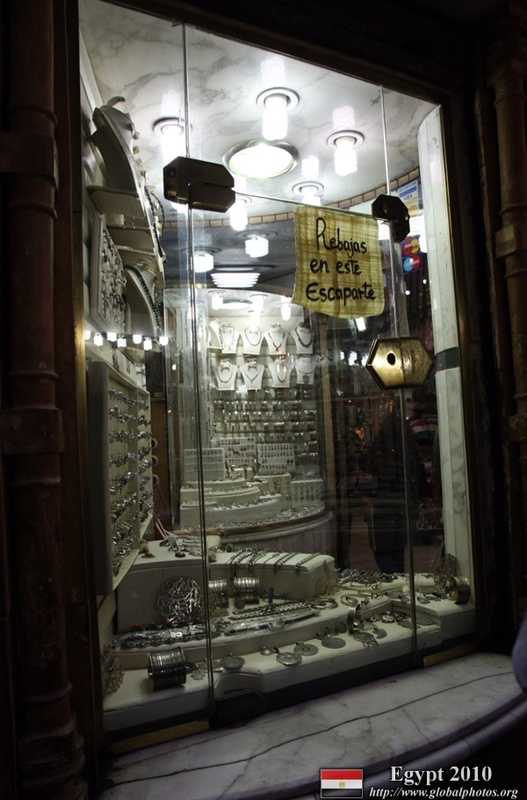 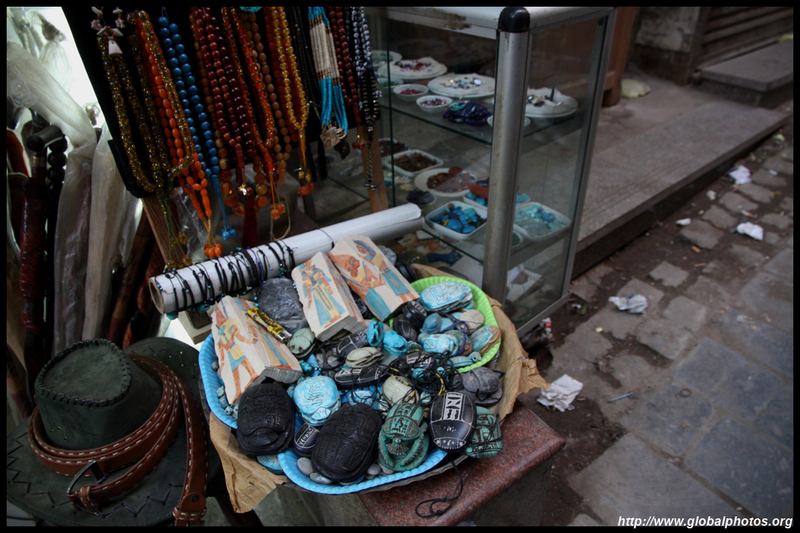 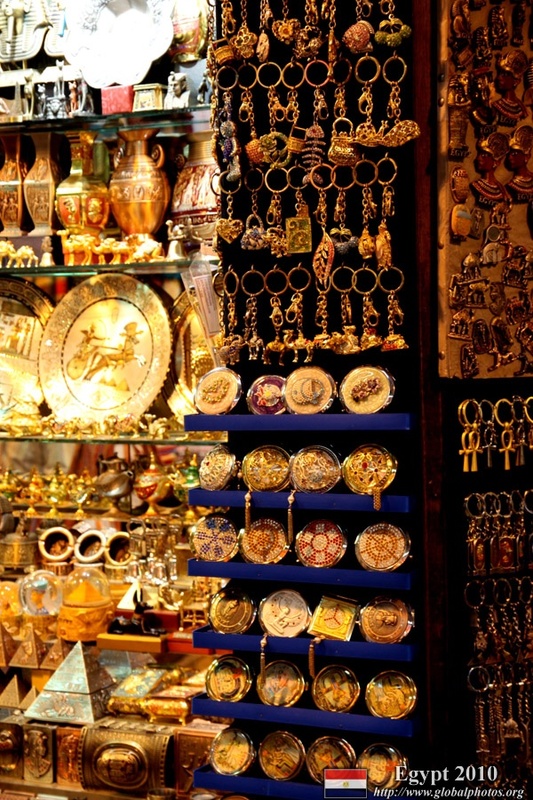 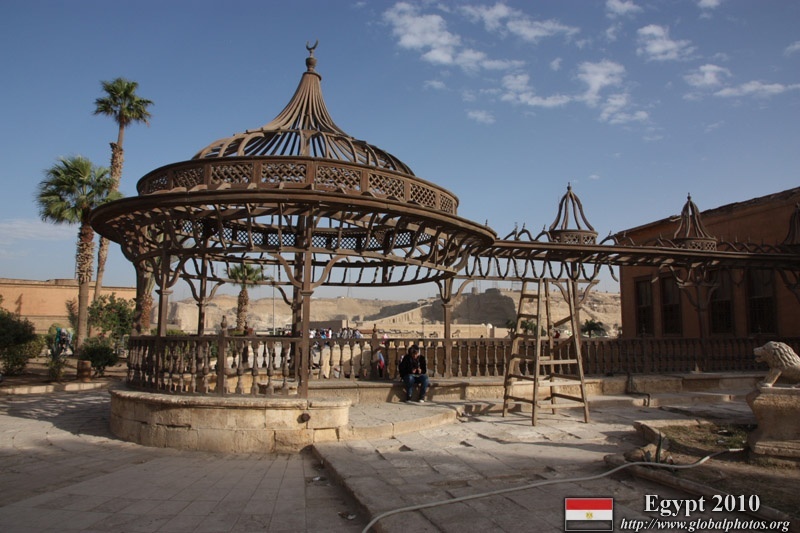 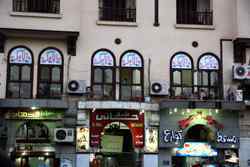 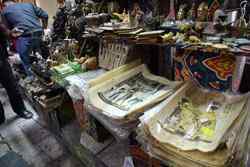 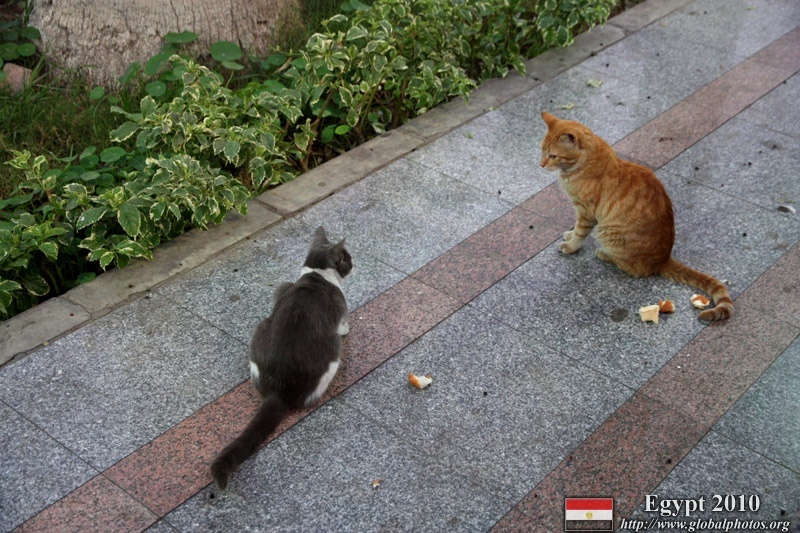 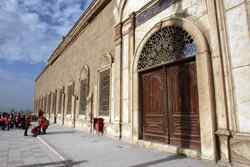 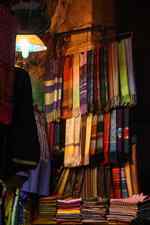 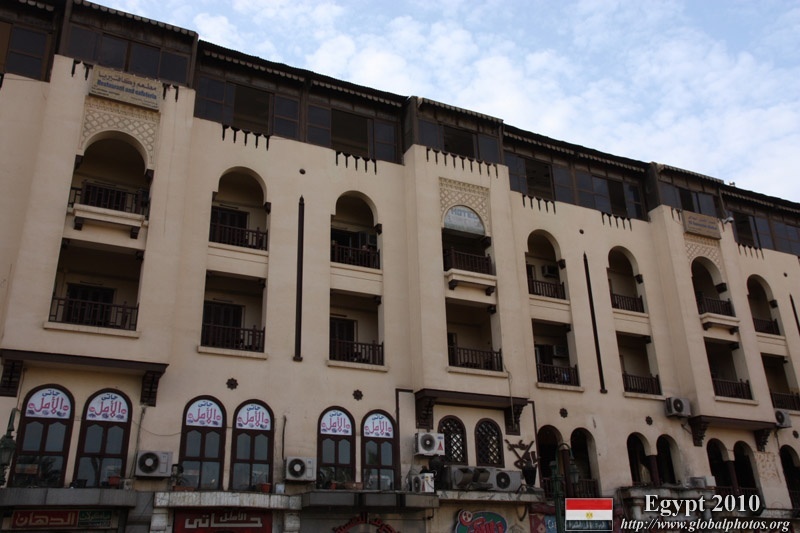 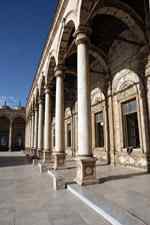 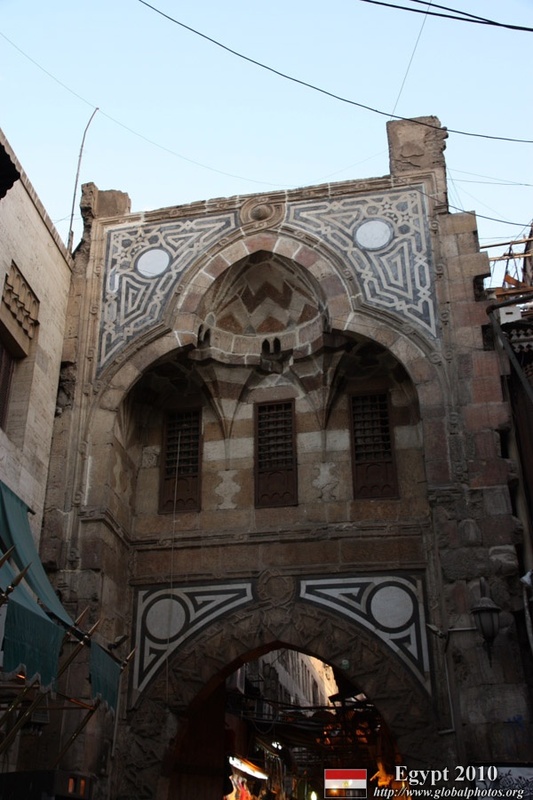 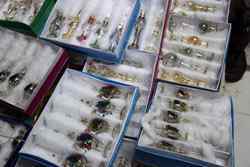 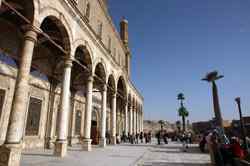 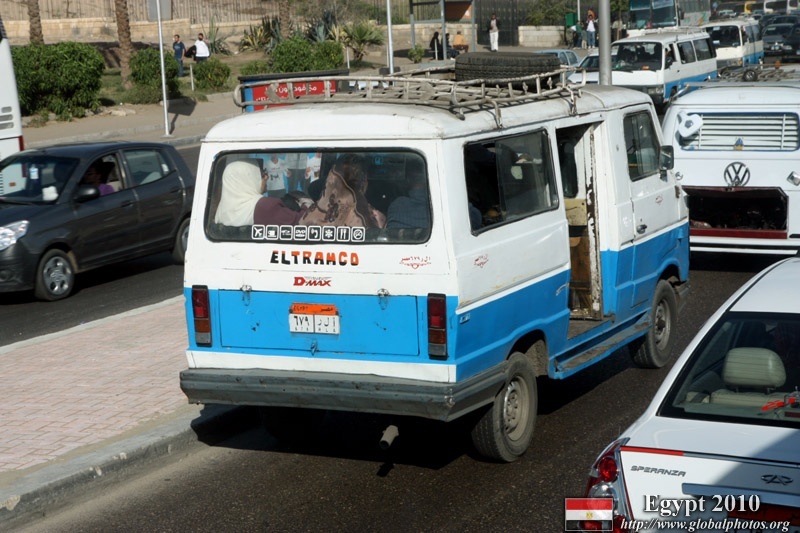 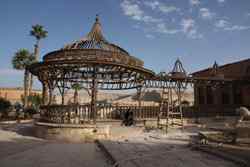 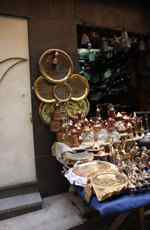 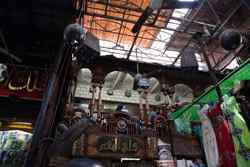 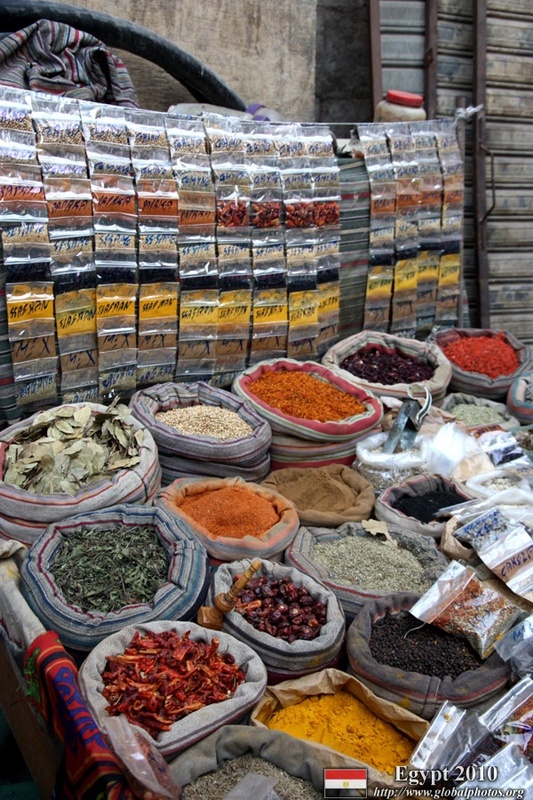 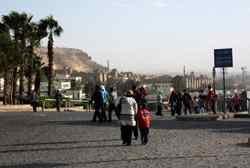 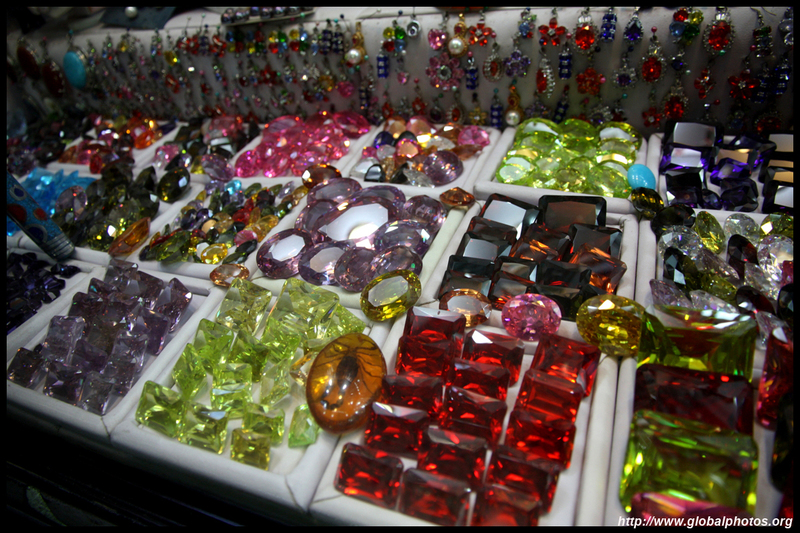 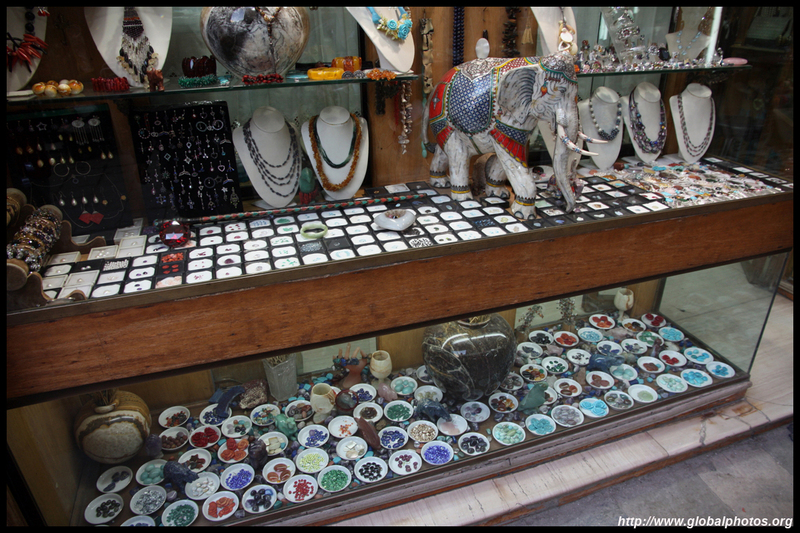 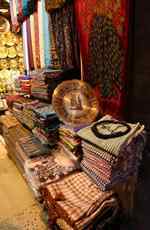 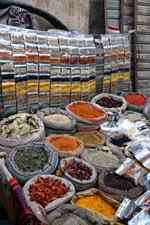 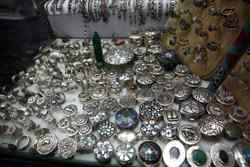 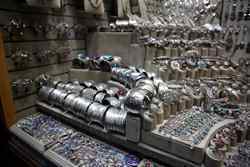 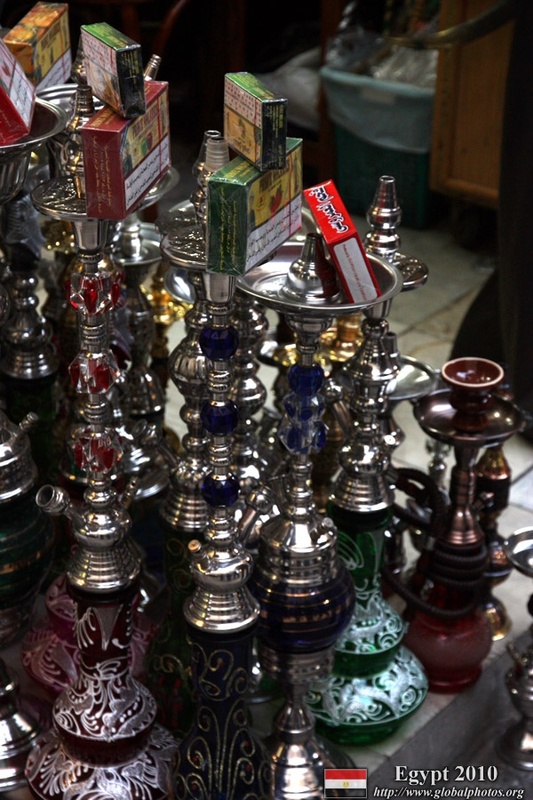 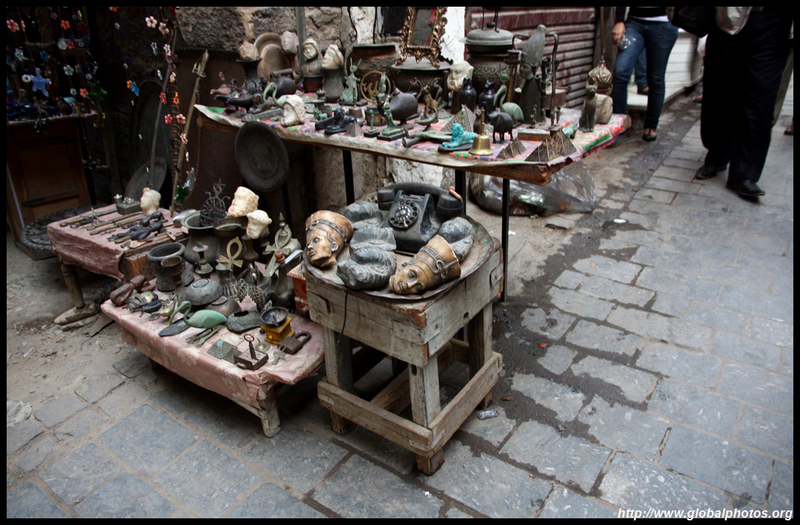 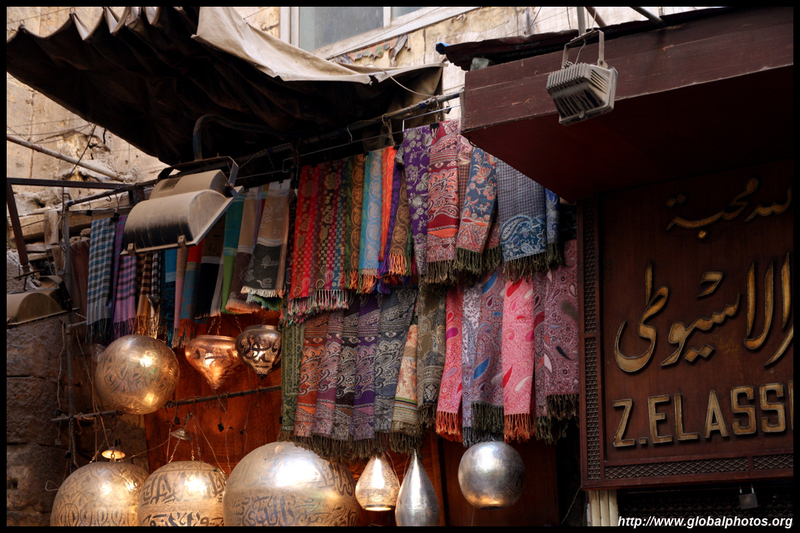 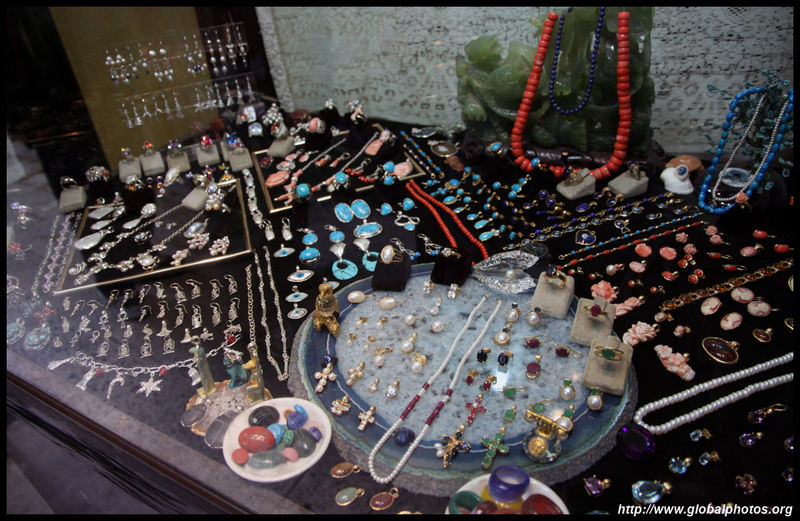 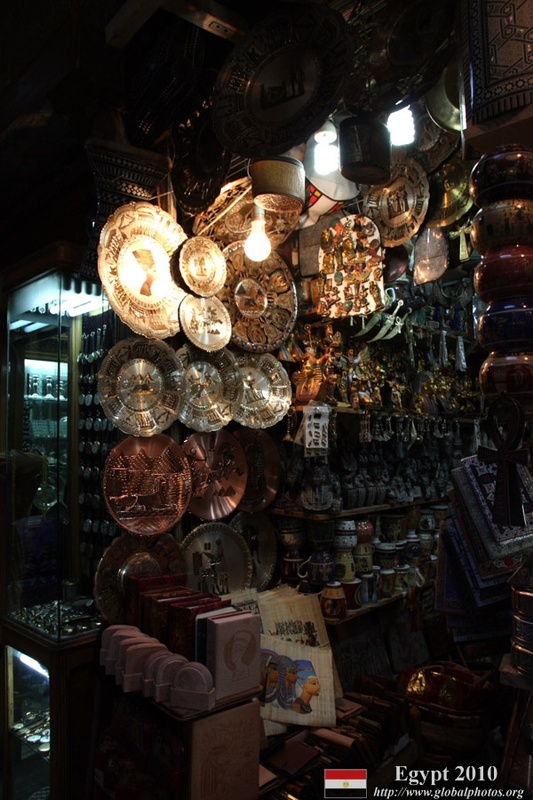 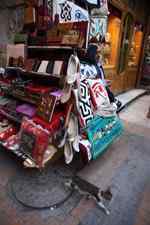 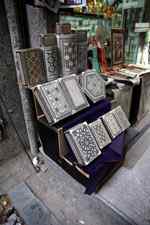 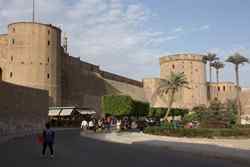 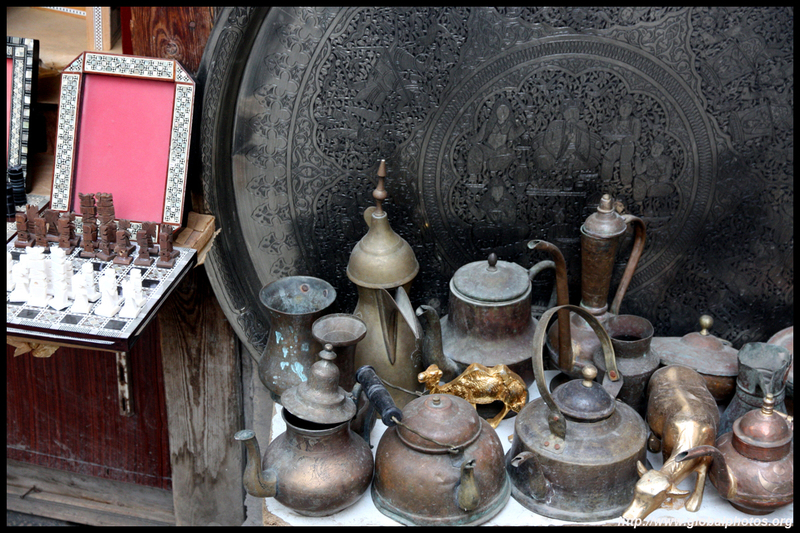 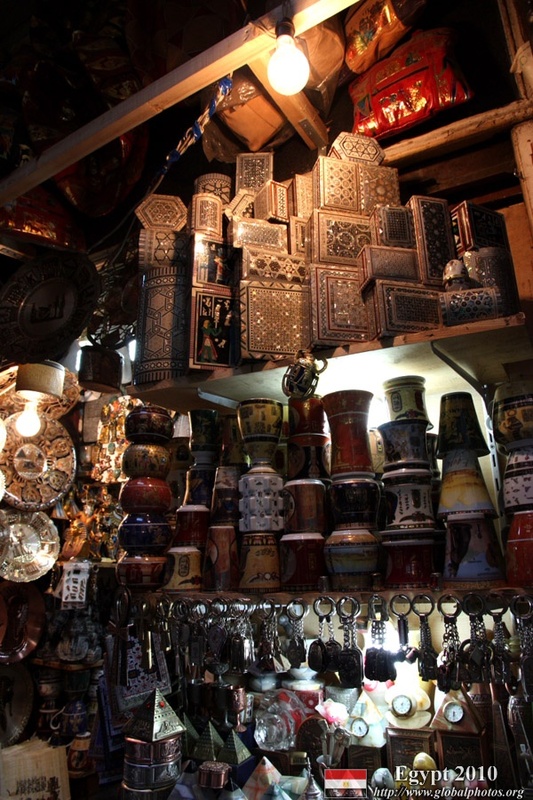 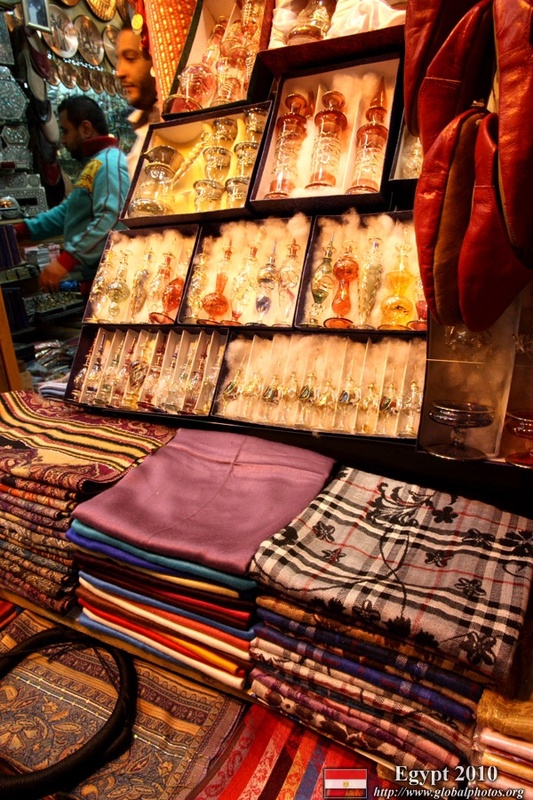 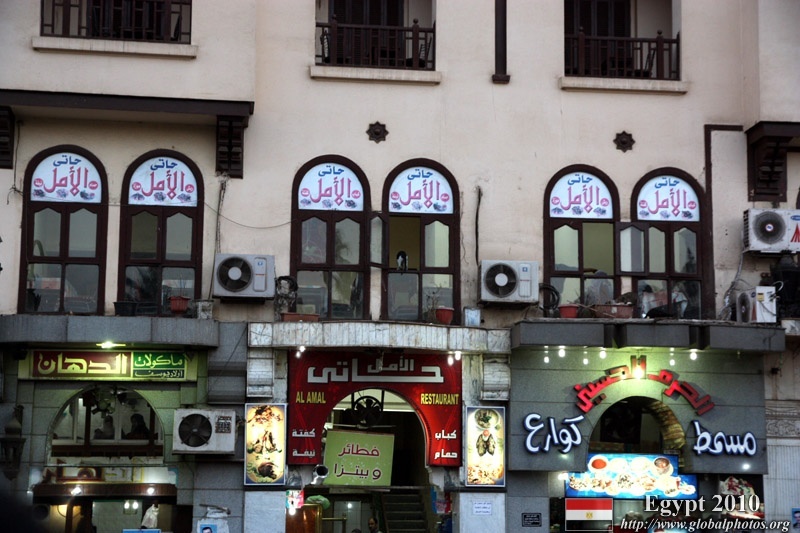 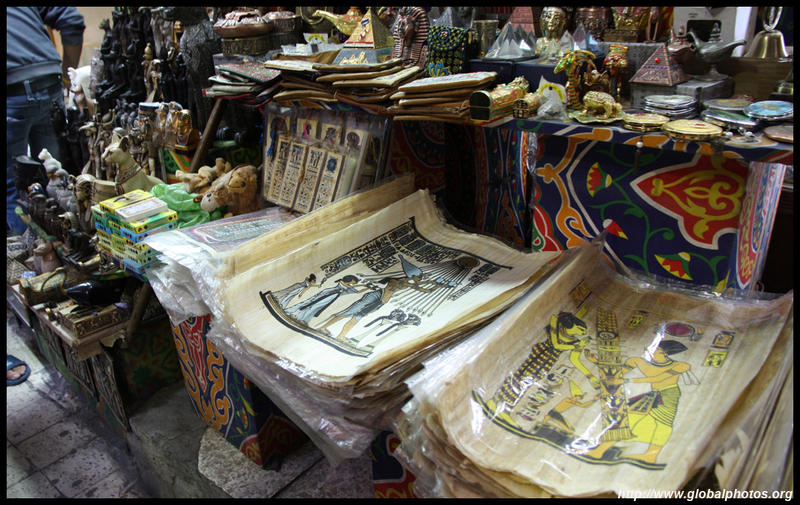 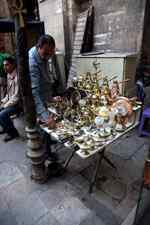 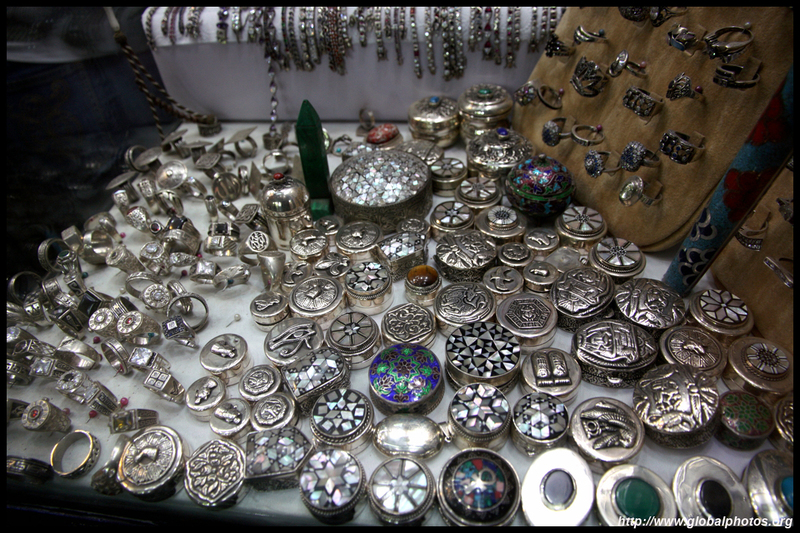 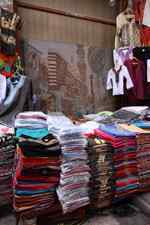 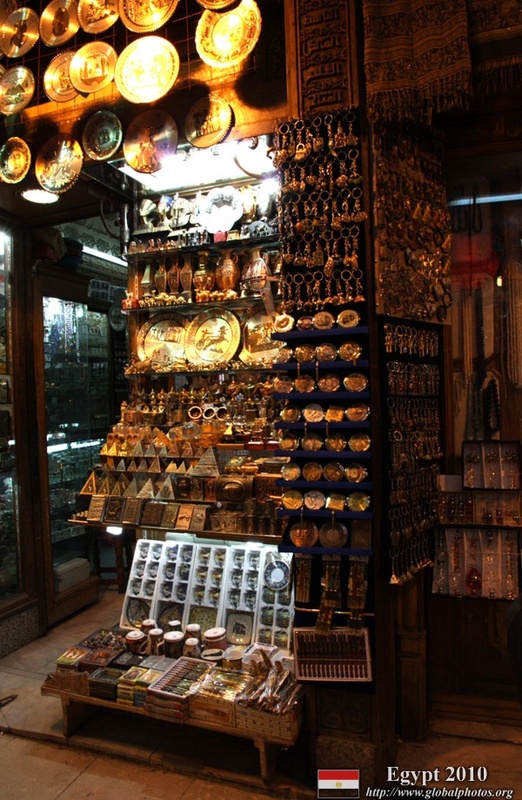 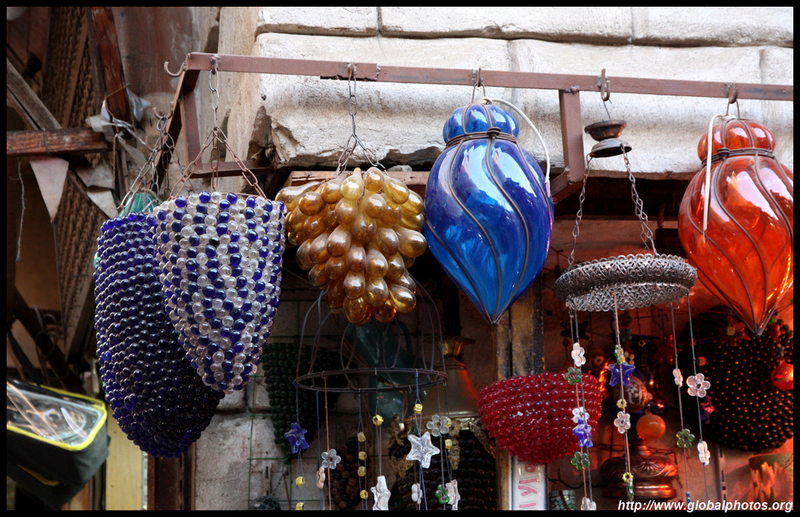 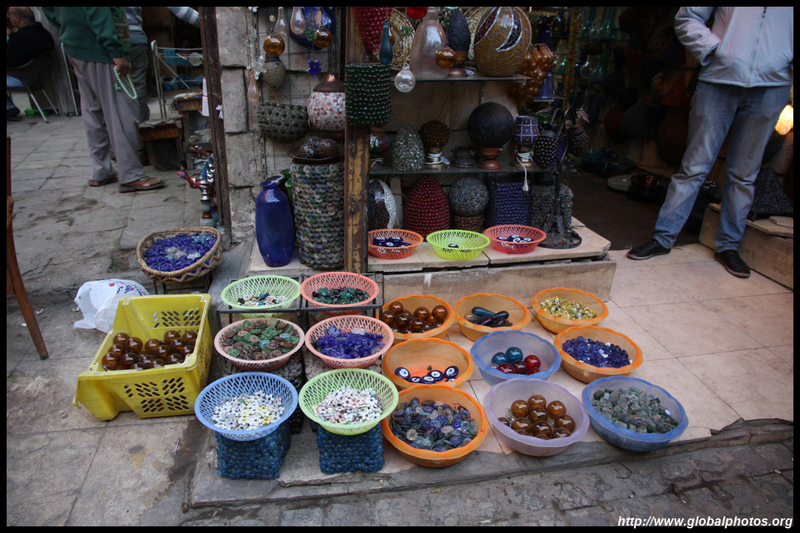 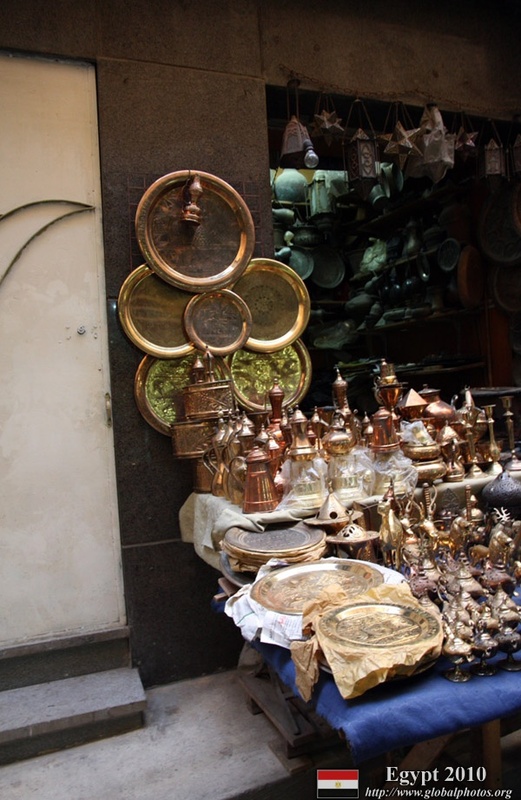 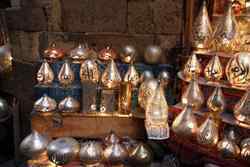 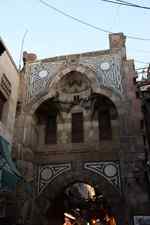 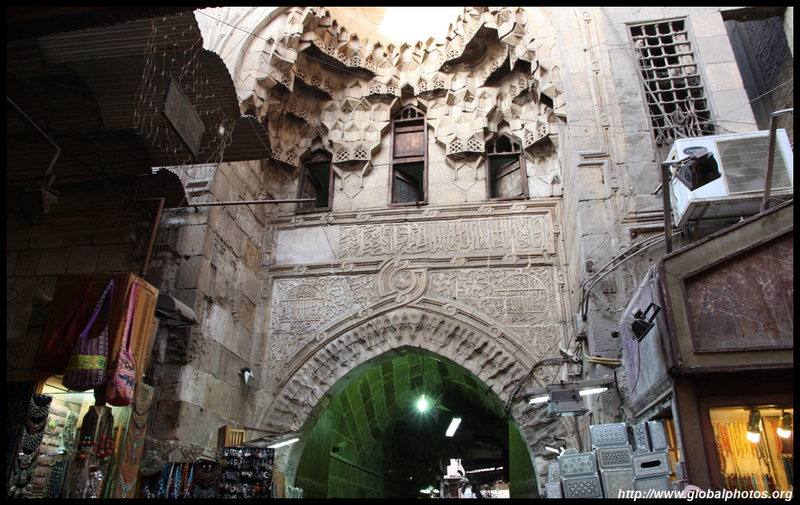 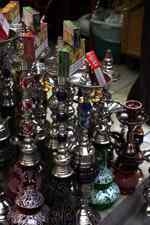 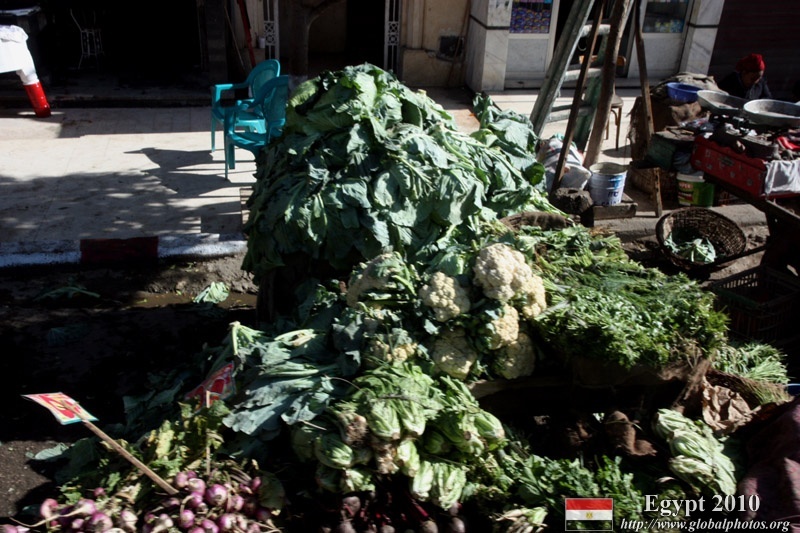 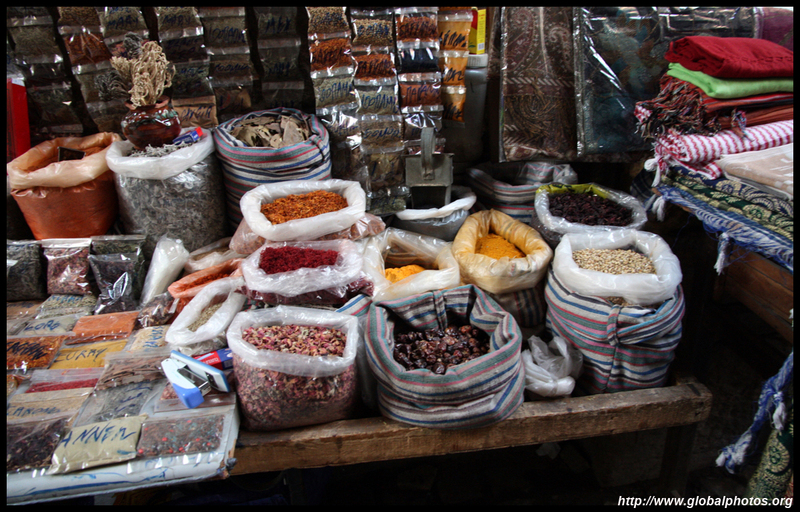 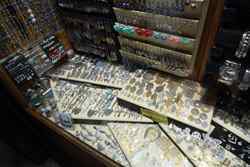 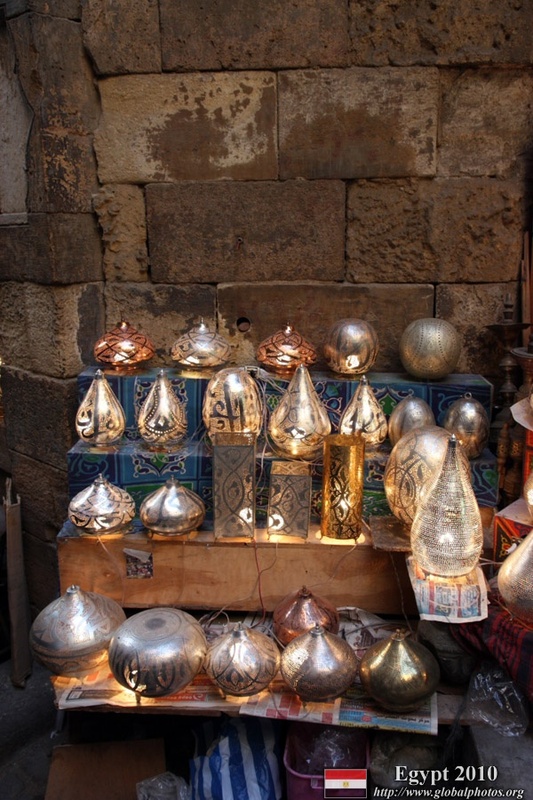 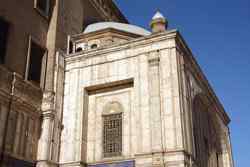 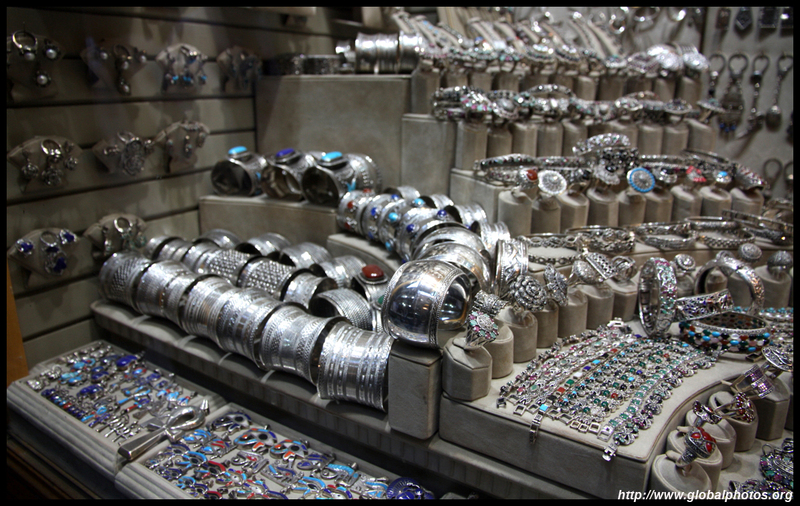 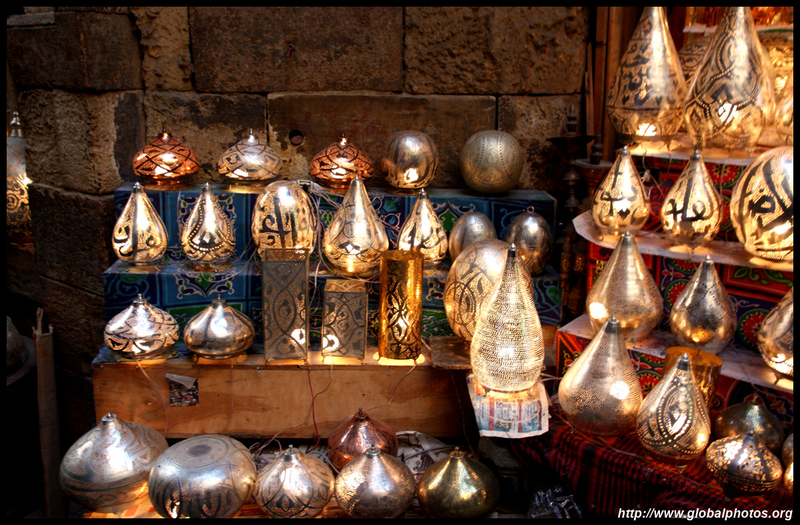 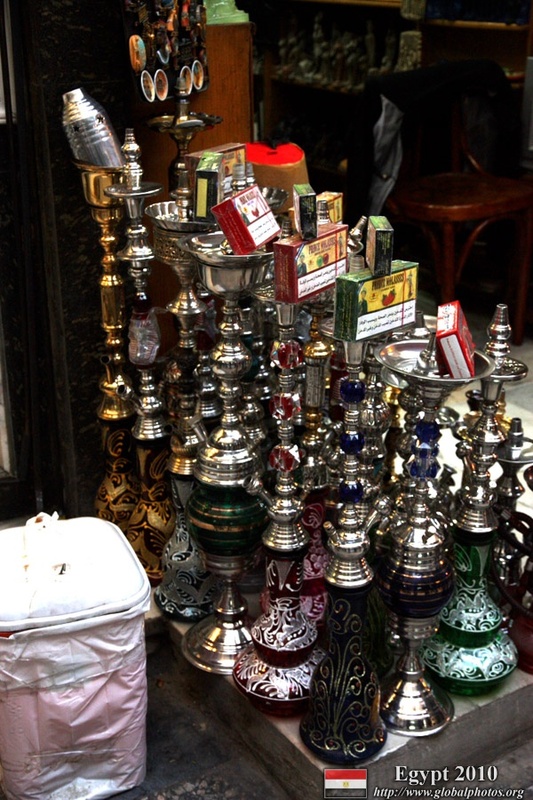 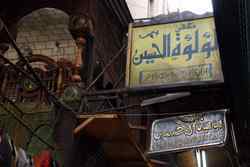 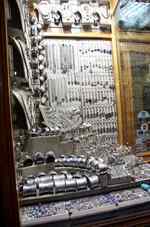 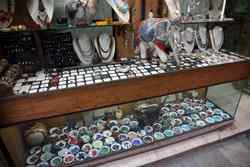 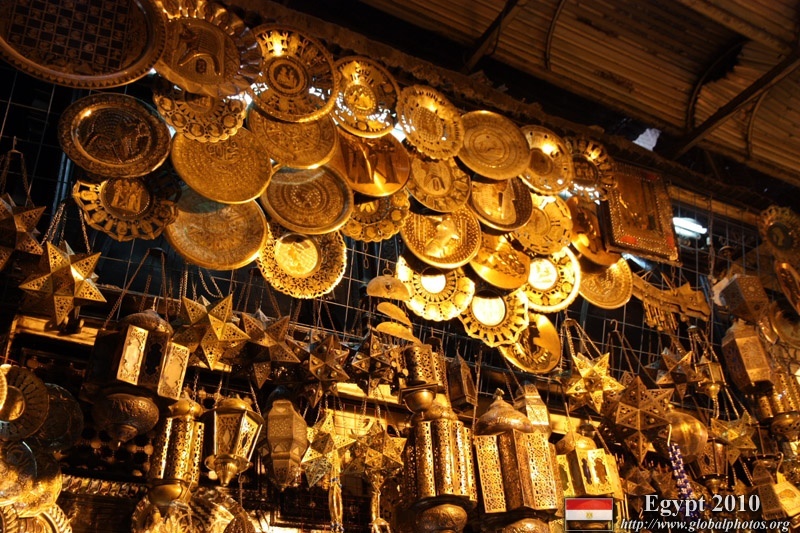 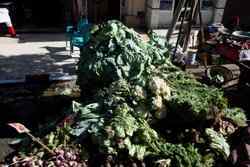 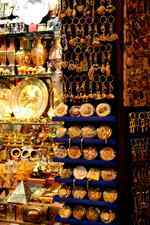 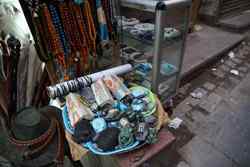 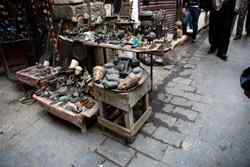 However, nowadays it is more a tourist market than a genuine souk. 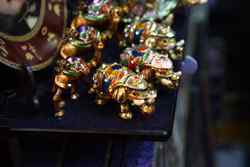 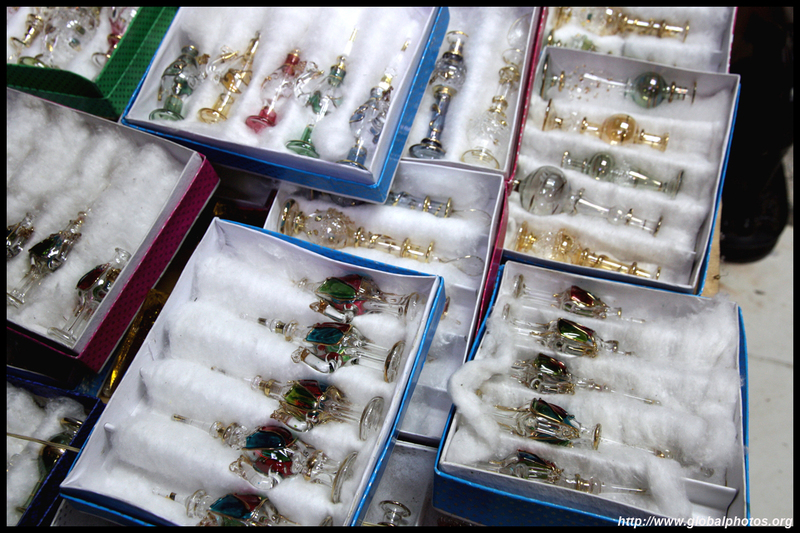 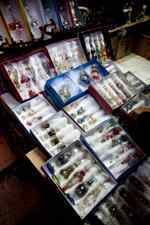 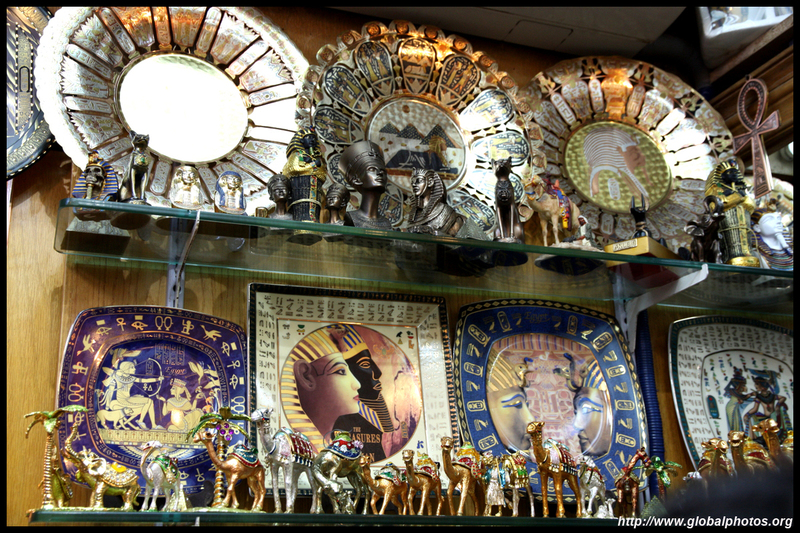 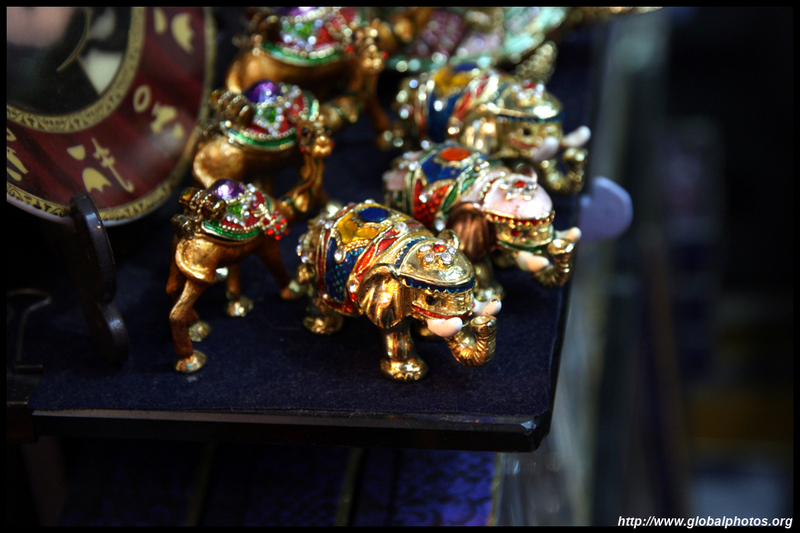 There was no shortage of camel-shaped perfume bottles and iconic figurines.